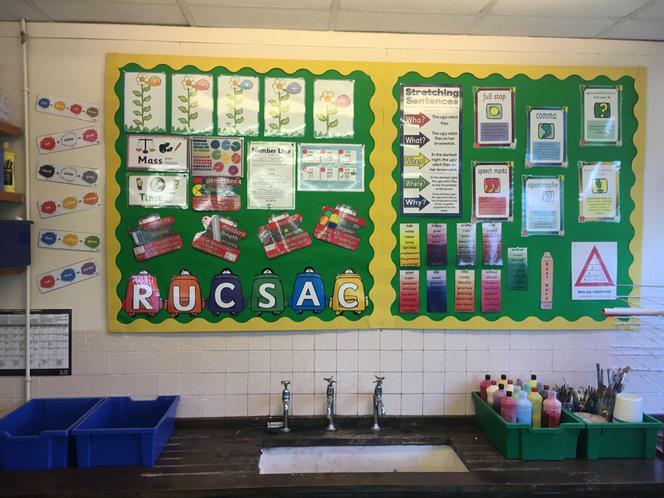 PPA: Mrs Bastable teaches R.E. for always being calm, cool and collected! I cannot believe we have reached our final week of Spring Term! 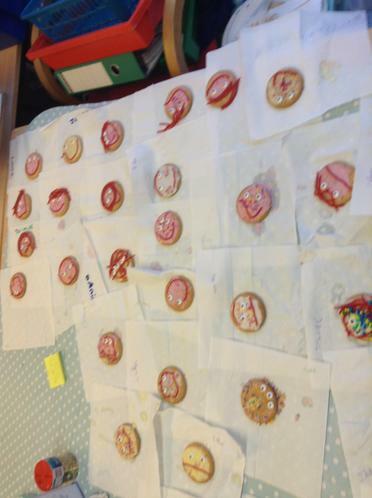 The children have been working really hard and deserve their upcoming break! Maths this week is all about multiplicative reasoning thinking about multiplying and dividing different numbers. This week will focus on doing this by 10/100 using different methods and equipment. In English we will finally plan and write our play script. We will also be making a card, all about ourselves to send to our link school in Tenerife which Madame Lawson will deliver for us! With Mr Lao in Computing we are going to be introduced to how to use 'Sheets' on the Chromebooks. Wagamamas Trip on Tuesday. We will be leaving at 8:45am promptly so please try to be in school on time. Heritage Boxes/ Easter Raffle/ Easter Art all due this week please. The art competition will be judged on Thursday. Y4 final Swimming is on Thursday. I will contact those children who are going to continue in Summer term. Awards Assembly on Friday- Congratulations to Jaabir, Louis and Ashleana! 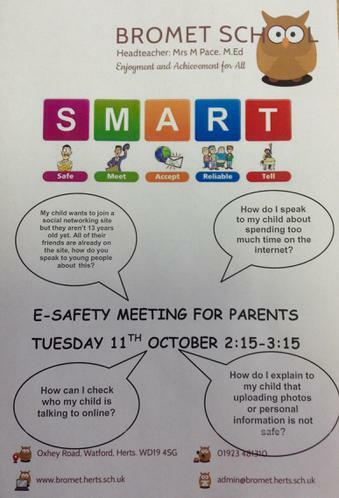 Parents/Carers please come along for 9am. Mrs Chandoo will teaching Friday morning. END OF TERM on Friday. Pick up at 1:30pm. 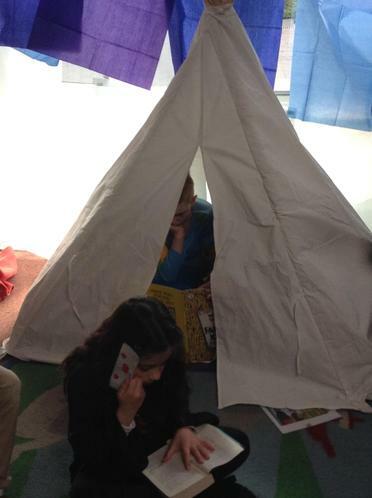 Please bring in a photo of the children reading in an interesting place. We want to create a fantastic display in our library! Water bottles in school every day. Remember homework is in on Monday and is returned on Wednesday. If you have lost any of the documents they are on the class page. Please ensure the children are wearing the correct school uniform. Jewellery is not allowed apart from small studs in ears. for always being kind and a good friend to others! A very busy week this week! In Maths we are learning how to find the area of shapes, looking at different strategies to make this quicker than counting squares. We will be applying our times tables knowledge to this as well as we multiply 3 numbers together. In English we are revisiting some grammar- thinking about clauses and punctuation. We will also create some work to send to our partner school in Tenerife. In Science we are going on our sound walk and making string telephones, exploring how sound travels. With Mr Lao in Computing we are going to make our own branching database on the Chromebooks. I am on a course on Tuesday and Wednesday. Mrs Doonan will be teaching in the morning on Tuesday and a supply teacher is in on Wednesday. 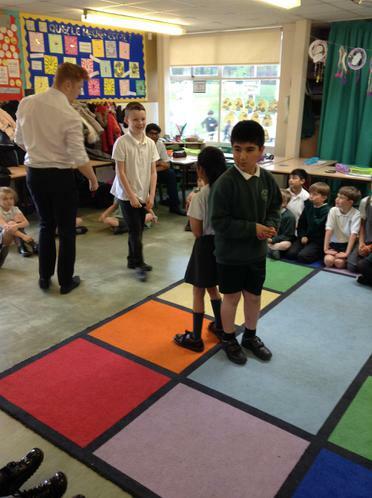 Maths Games Morning on Wednesday. Please come along from 8:45-9:30 to join in some maths fun! 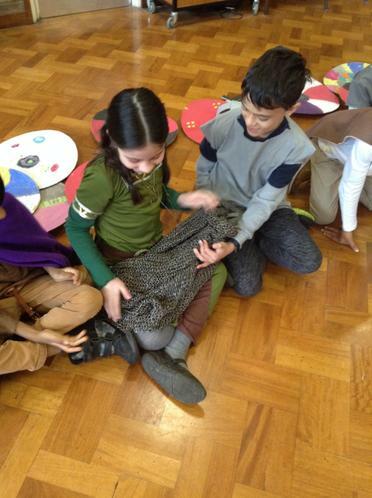 On Wednesday afternoon the children are having a cultural workshop led by some of our own parents! Thursday is Spanish Breakfast (8-8:30am). The children will also be learning some Spanish on this day! On Friday is our Mothers Day Sale. Easter Egg Raffle is still happening! £1 per strip for the chance to be our class winner! Easter Art and Heritage Boxes due next week please! Y4 Swimming is on Thursday. for always making the right choices! In Maths we will be learning about data handling, looking at different graphs/charts, interpreting them and creating our own. We will have a focus on bar charts. In English we are writing up our news paper reports and then will move on to finally planning and writing our own play scripts. As we ran out of time last week, we will also be having a Sound Day- complete lots of different investigations to do with sound and vibrations. 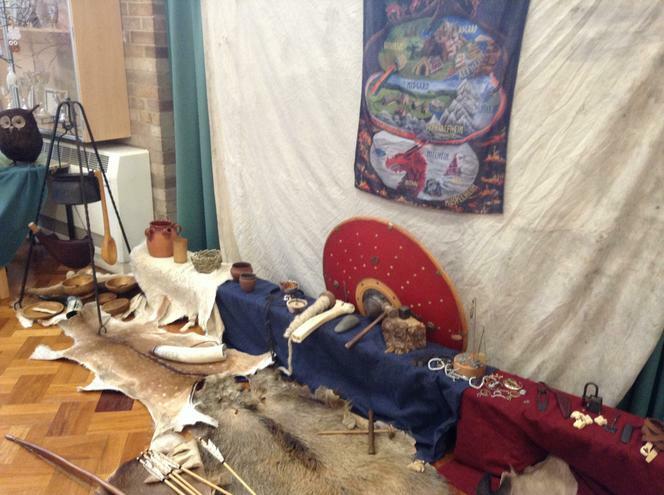 We will also be learning about Anglo-Saxon homes and what a typical village looked like. 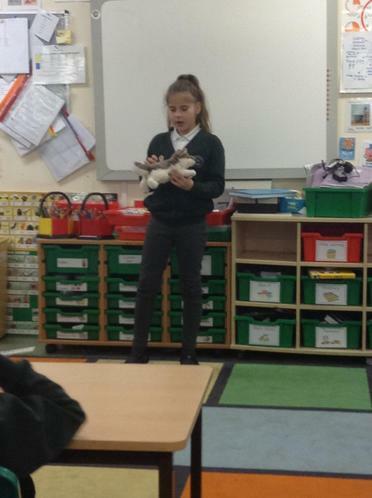 On Tuesday the children will also take part in a special workshop led by Dog's Trust thinking about how to be safe around dogs. Look out for our class trip to Wagamamas letter coming soon! Also some children will be getting their pen license this week! for always giving her maximum effort during our Daily Mile. 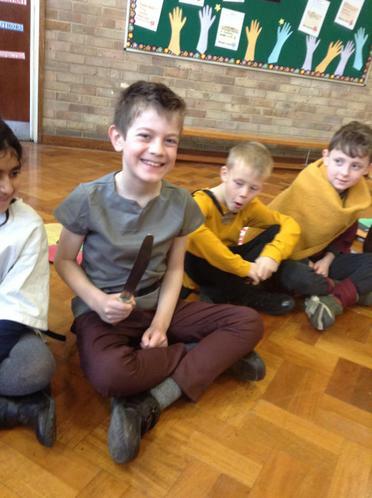 We had great fun on our Anglo Saxon Day! Here are some of the highlights!! This week in Art and Curriculum we will be completing our cloud artwork inspired by our book ‘Flood’ and John Constable’s work. We will be going through our Maths and Reading papers to look at areas that we need to continue to develop. In English we will be planning, setting the scene and writing our own play scripts based on The Adventures of the Dish and the Spoon. In Maths we will be learning about data handling, looking at different graphs/charts, interpreting them and creating our own. 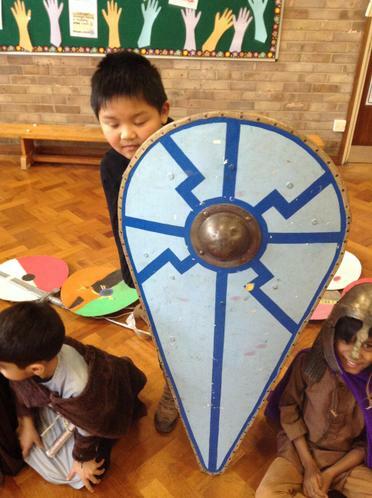 Topic sessions will tie into our Anglo-Saxon Day on Wednesday and we will be creating our own Anglo-Saxon shields in preparation for this. 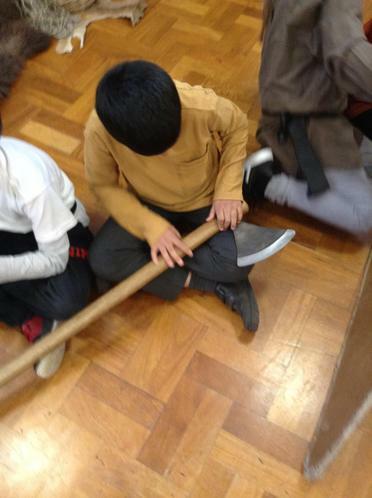 We will also be having a Sound Day- complete lots of different investigations to do with sound and vibrations. 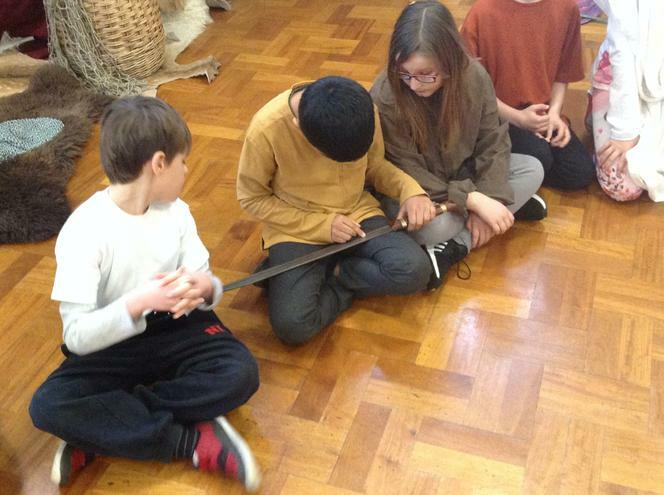 Anglo-Saxon Workshop on Wednesday. 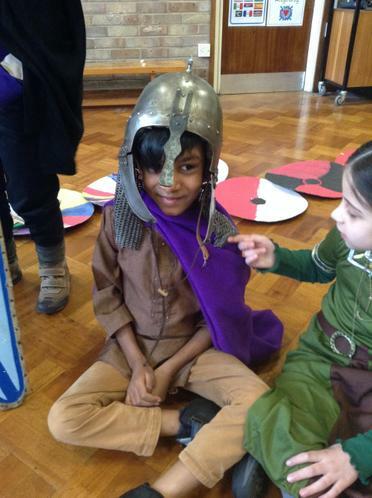 Come in your best Anglo-Saxon outfit! 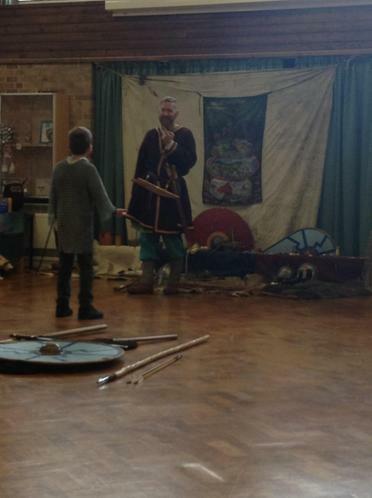 If you haven't done so already, please pay for the Anglo-Saxon Workshop. If we do not have enough funds we will have to cancel. Parents Evening on Wednesday and Thursday. I look forward to seeing you all and the children sharing their excellent learning with you. Y4 Swimming is back on Thursday. Comic Relief is on Friday. Please dress in something red and bring £1 donation. for working hard during a Fitter Futures work out, pushing himself even when he was tired! We will shortly be selling raffle tickets for our annual Easter Raffle! School Council will be selling the tickets and the children will be able to buy these to be in with a chance to win themselves some Easter eggs! Also our Easter parade assembly is on the 4th April where we will be judging KS1 bonnets and KS2 artwork. Prizes for the 1st, 2nd and 3rd best artwork! Any entries for the artwork competition need to be in school by April 1st. 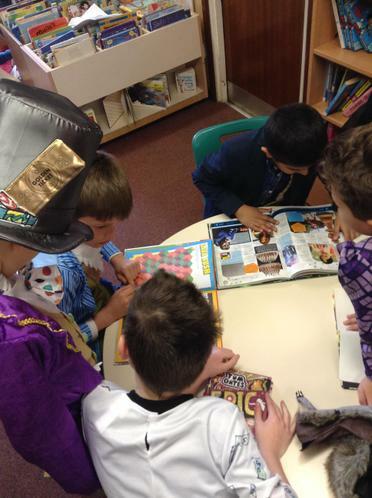 This week is our Book Week. 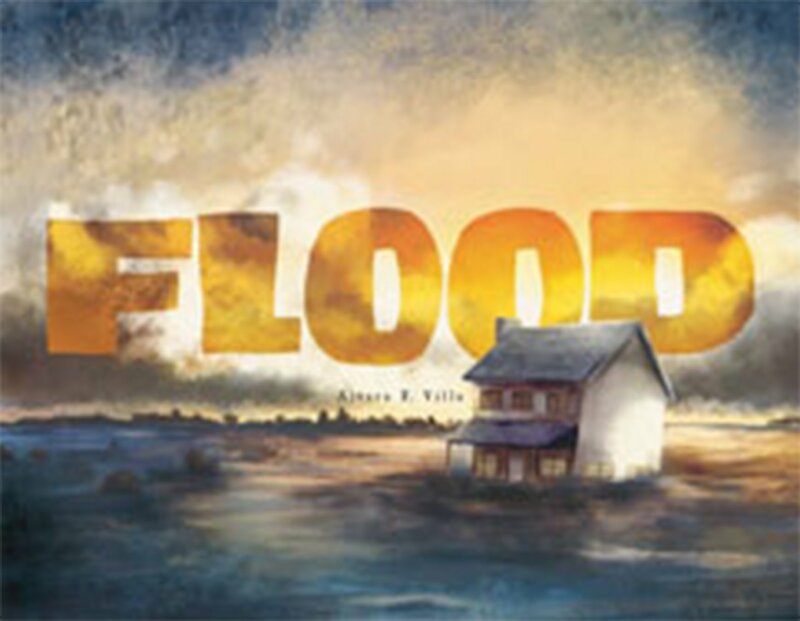 We are going to be studying the book 'Flood' by Alvaro F. Villa, a story book without any words. 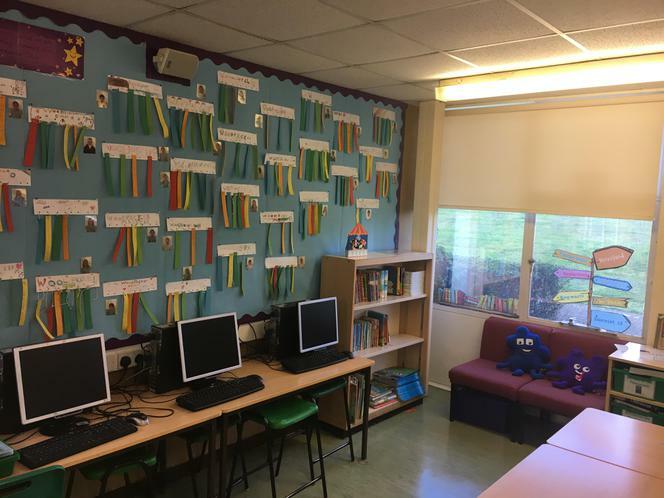 In English we will be describing settings, using powerful vocabulary, writing our on diary entry as though we are one of the characters from the book affected by the flood as well as working in partners to write our own class version of the story. As the story features a storm, we will be looking at the water cycle and the different types of clouds that are formed. Art will be inspired by some of the illustrations and we will be looking at the work of artist John Constable, creating our own cloud painting. In Computing we are looking at data loggers, linking it to weather recording. For Maths we will be completing our Spring Term assessment as well as looking at data handling. Book Fair will be taking place throughout this week. 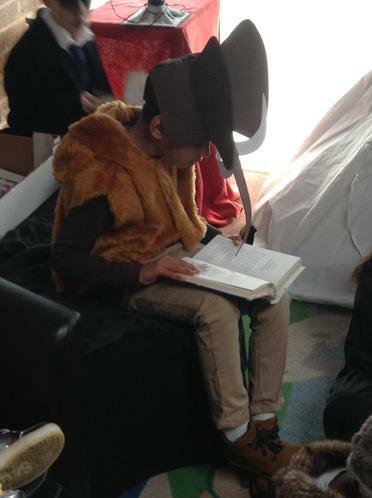 Thursday is World Book Day. Please come dressed as your favourite book character. Prizes for the best dressed! NO Y4 Swimming on Thursday. 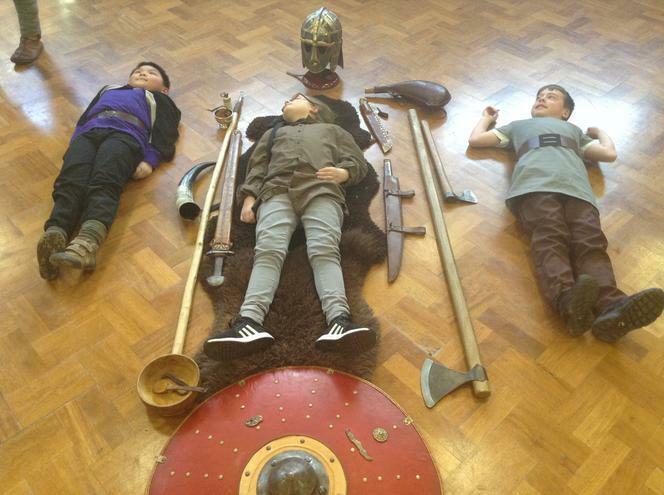 If you haven't done so already, please pay for the Anglo-Saxon Workshop. If we do not have enough funds we will have to cancel. for his excellent effort during swimming lessons! Welcome back! I hope you all had a great half term and enjoyed the lovely weather this weekend! In Maths we are learning about perimeter and will be working out the perimeter of different shapes. In English we are finishing writing a persuasive piece based on our visit to Vicarage Road and will continue to look at play scripts. We will be turning a poem into a play script and planning for our own play script. In Jigsaw we are going to work in groups to make our own garden ornament ready for our garden of dreams display on Friday! In Science we will be going on a sound walk around the school. As attendance winners we get to wear non-uniform on Friday! Well done everyone . Parent Positive Mental Health & Well being Workshop on Wednesday 2:30pm and 6:30pm. Garden of Dreams Display on Friday from 2:45pm. Please come and see our creations! for working hard improving his subtraction skills! Talent Show - Congratulations to Ibrahim who was Overall winner 2019 and well done Ave-Rose! In Maths we are learning about formal column method for subtraction. In English we are looking at pronouns and our comprehension skills. We will also be writing a persuasive piece based on our visit to Vicarage Road. In Jigsaw we are going to work in groups to design our own garden ornament ready for our garden of dreams display later this term. Thank you to those of you who donated on Friday for Place2Be! It is a really good cause that you have supported. 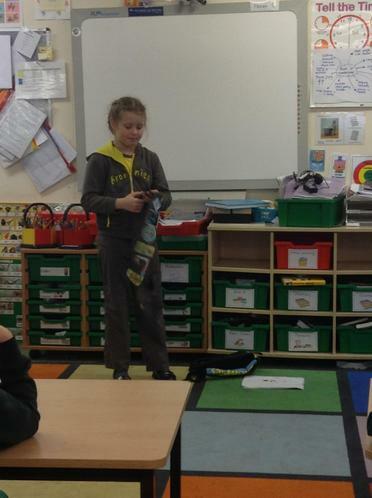 Well done to all the children who took part in our Feel Good Show and Tell. It was wonderful to hear how their objects made them feel good and was brave of them to share something personal with us all. Last auditions for Talent Show will take place today and we will be voting for our class winners! We are visiting Vicarage Road on Wednesday Morning. Fingers crossed for no snow this time! Talent Show Final on Friday. for supporting others in her group during drama! In Maths we are learning about formal column method for addition. 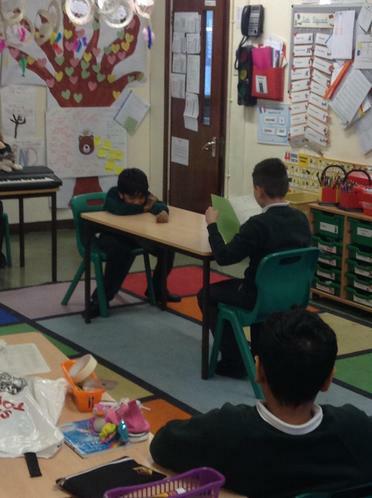 In English we are continuing to look at play scripts, thinking about their features and comparing narrative, play script and a live performance. For Computing this week we are thinking about internet safety as we are celebrating Safer Internet Day on Tuesday 5th Feb! Feel Good Show & Tell on Friday. Please bring in £1 donation for the mental health charity Place2Be. Talent Show auditions on Friday- We are ready to be amazed! for always looking on the bright side of things! for being a wonderful work partner and supporting her class mate. In Maths we are continuing to learn about fractions. We will look at word problems including fractions and then move on to equivalent fractions. In English we will be practising our speaking and listening skills for our class assembly and will be also completing some persuasive writing linked to our Vicarage Road visit. In Jigsaw we are going to think about our dreams for the future and create our own dream catcher ready for the garden of dreams. 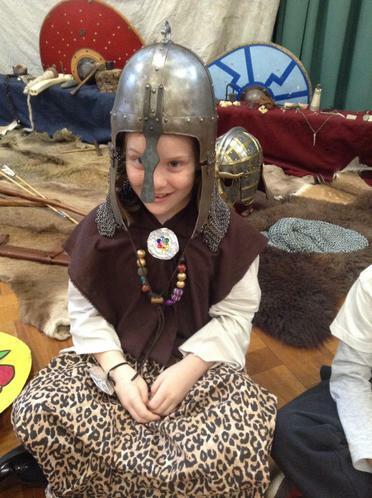 In Curriculum we are going to introduce the Anglo Saxons, thinking about who they were and when they were around. In Music we are going to look at notation and learn about crotchets, quavers and rests. Class Assembly lines are coming out on Monday. Please practice at home. Our Vicarage Road trip is on Wednesday. Please give your permissions through ParentPay. Children need to be in full school uniform. Helpers please come at 9am. 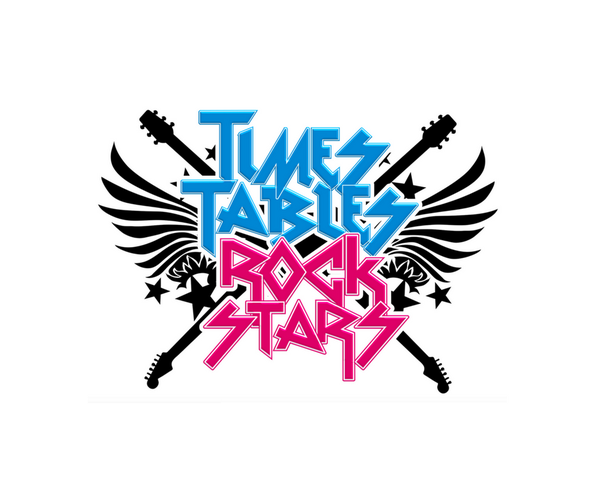 Please set your Baselines on Times Table Rock Stars! Play 10 games to set your baseline. If you are not sure on answers have a guess. for not giving up and attempting all her tasks in our grammar lessons even though she found them really tricky! We are already on our 2nd week! The children have settled back in well so let's keep up the hard work! In Maths we are continuing to think about shape, looking at quadrilaterals. We will also move onto fractions. In English we are going to be thinking about the structure of a sentence, looking at what is a clause. In Jigsaw we are going to think about our dreams for the future and create our own dream catcher. 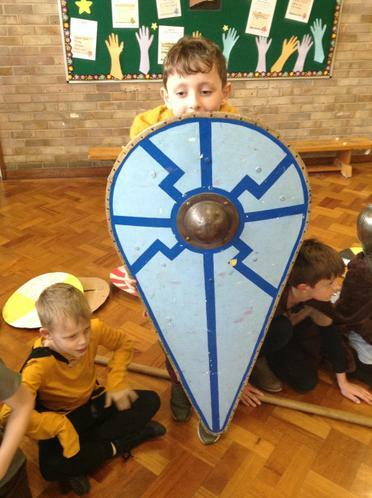 For Science this week we will begin our topic of Sound and for Curriculum we are going to introduce the Anglo Saxons, thinking about where in History they were. Y4 Swimming starts again on Thursday. A letter is coming out this week about our Vicarage Road trip. Please give your permissions as soon as possible. for staying motivated when completing her extended writing. Home Learning has changed slightly this term after listening to parents feedback. Home work consists of our Heritage Box Project, Mathletics, Times Table Rock Stars and Reading plus linked comprehension activities. Each week the children must complete one of the activities on the grid. Please sign and date these so we can check each week. Writing activities linked to comprehension are to be completed in the book. The comprehension task could be linked to the book bag book, a library book or a home reading book. If you are completing a project piece that week please write what activity you completed e.g. interview/recipe/ photos and sign one of the boxes. I do not expect to see any work in the book if this is the case. Mathletics should be completed weekly, with some weeks having more activities than others dependant on what we are learning. Please do use this resource as it really reinforces our mathematics learning and shows the children test style questions! Times Tables Rock Stars every week! We need to continue to become much quicker at our recall of multiplication and division facts. Home Learning is due in on Monday and will be given out on Wednesdays. Children are back in Tuesday. This week we will be recapping our class rules as well as updating our network hands. In English we will be recounting our break and practising our use of proper nouns. In Maths we are thinking about 2D shapes and using lots of different vocabulary to do with shape properties. We will introduce our Science topic of Sound and think about what we already know. For Music we are beginning to look at notation- introducing crotchets and quavers. In Jigsaw we are beginning our unit of Hopes and Dreams, thinking about our goals for 2019 as well as our dream for the future. We will also talk about how to make our goals S.M.A.R.T! Water Bottles should be in every day please. Please make sure you are wearing the correct uniform- no big hair bands or jewellery. Application Forms for Play Leading will be coming out this week and need to be in by Friday. New Home Learning is being set. I will post this up on the website too! Glad to have you all back! I hope you have all had an enjoyable Christmas break and are ready and raring to go for 2019 and Spring Term!!! Once again on behalf of all the adults that work with the children thank you so much for your generous gifts and I hope you were spoilt too! If you can spare any ‘Cup a Soup’ or ‘Instant Porridge’ please drop it in to school as the New Hope Trust can use it for those staying at their emergency winter night shelter. Each night, up to 15 people will be given a bed in the safety of local churches, away from the freezing temperatures and dangers of the street. A hot cup of soup will bring comfort to those in need of support and porridge will give them energy and warmth the next morning. Thank you. Year 6 will collect from our classroom! Muhammad Mahdi, Dexter and Nabeelah! for giving lots of compliments and making others feel good! Well done everyone for your excellent performance yesterday! You were fantastic and should be very proud of yourselves! Monday PM- KS2 Dress rehearsal at the church. We will be leaving school at 1:15pm and back by the end of the day. Lets make sure we have our words known perfectly! Tuesday Evening is our Production day. Please be at the church by 6:20pm ready for our performance at 6:30pm. Mrs Whittingham will be teaching on Wednesday Afternoon. It is our last Relax Kids session. Thursday PM- Our John Lewis Carols. We will be performing at 1:30pm in John Lewis, ususally by the escalators. 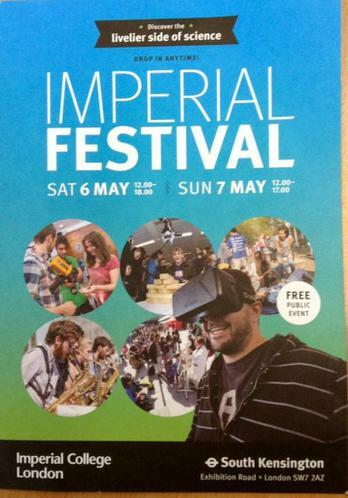 Please come and watch us if you are free! Friday- Flu Vaccinations for those children who signed up for this. The disco is also after school. We will also be in Christmas mode making calanders and cards as well as watching the dress rehearsals of KS1 productions. for always being polite to others and giving compliments that make us smile! Well done to our A Team who came 6th out of all our Partnership at Speed Stacking Finals! In Maths we will be going through our Maths paper to see where we could have improved on our scores. In English we are learning about adverbs and are learning the spelling rules around these. We are completing our Science experiment this week into tooth decay. We will be planning and observing the changes that happen to egg shells in different liquids that have been suggested by the children. More practice is going on for our Christmas Production. Pleas keep practising your lines. On Friday we will be having our annual Christmas tree assembly so the children will be creating their own decorations ready to hang on the tree. Last swimming session this week. Please return any permission slips for Relax Kids or for our dress rehearsal. Thank you to all of you that offered to help with the dress rehearsal! Please be at school for 1:15pm to walk to the church with KS2. Please spread out along the line. for being very caring and thoughtful about others' feelings! for always being supportive and inclusive of others and making good choices. 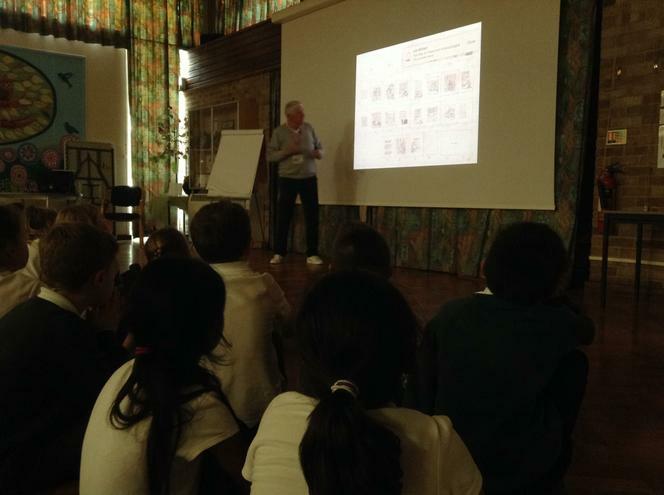 Yesterday we were very fortunate to have a special visit from Ian who has lived in Watford for around 50 years. He talked to the children about his life and how things were back when he was a child. We couldn't believe you weren't allowed to write with your left hand, food was rationed, people didn't have phones as well as how people went on bikes their holidays. 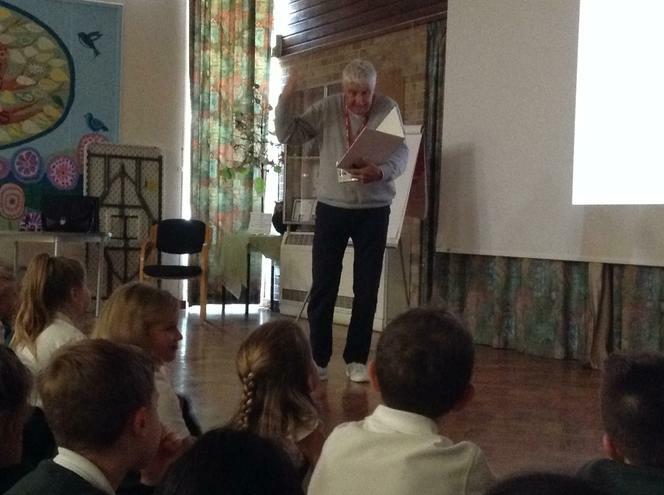 The children particularly enjoyed his stories about the pranks at school and finding out about the smog! 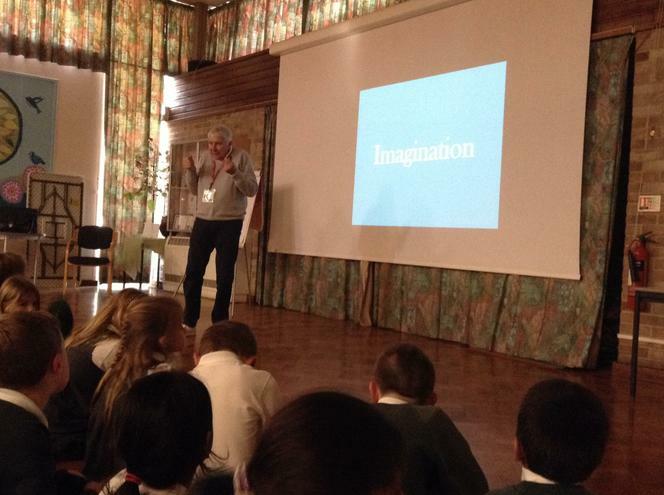 Huge thank you to Ian & well done to the children who Ian described as "delightful"! for her thoughtful questions for our special visitor. 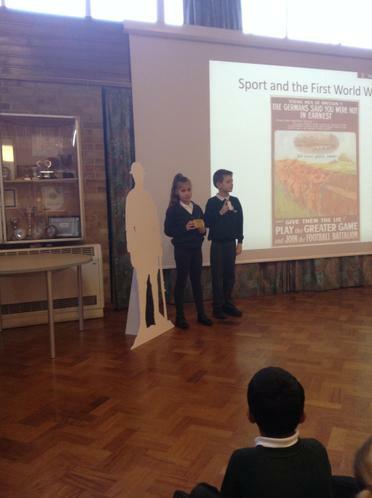 Our workshop with Helen from Historic England celebrating Sportsman from WW1. 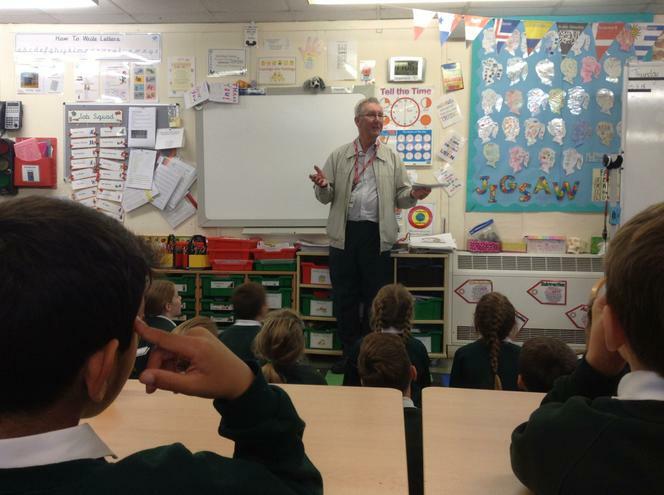 We were very lucky to have the Mayor of Watford, Mr Peter Taylor who came and gave an assembly and then visited our classroom for some extra questions! 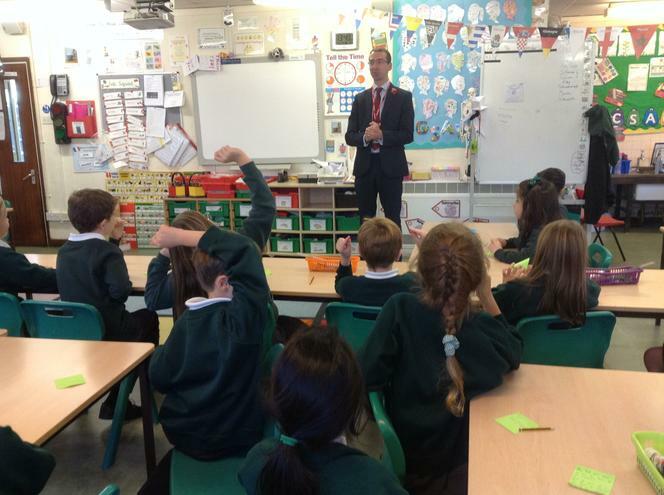 We had some excellent questions from the children as well as Mr Taylor asking us what we would do to make Watford better. 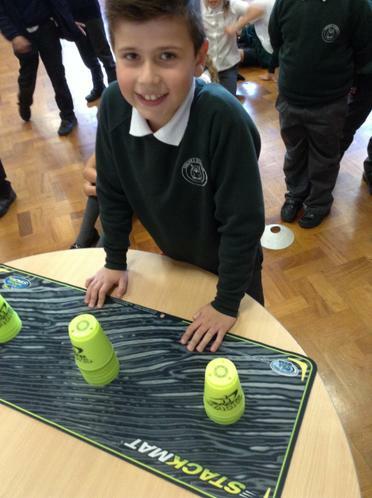 Yesterday we took part in a Speed Stacking Competition against 5 other schools. 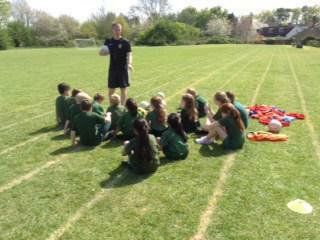 The children were fantastic and had very speedy hands, determination and fantastic sportsmanship. They were certainly the loudest at cheering on their team mates! All 4 teams did excellently and especially well done to 'A Team' who came 1st! and B Team who came 5th! This means A Team move onto the Partnership Final later on this term! A HUGE well done to all the children!!! I was a very proud teacher! 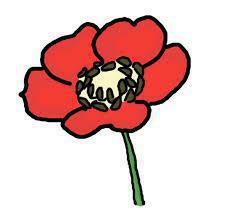 for being different from everyone else in his poppy design and being determined until the very end! Our "First Relax Kids" Session with Natasha. Some very chilled children! Thank you to all of you who came to Maths Games Morning! 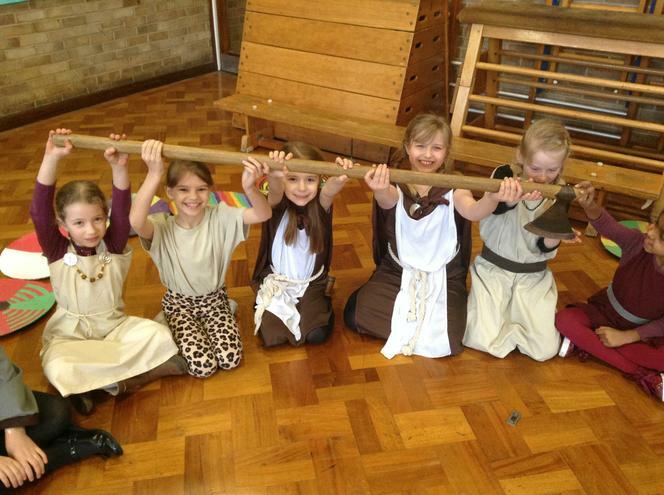 The children really enjoyed themselves again! Reminder: Y4 Swimming tomorrow and we will be taking part in a Speed Stacking competition before! Welcome Back! I hope you had a wonderful half term and enjoyed the week off! Wednesday- the return of Maths Games Morning (8:45-9:30am). 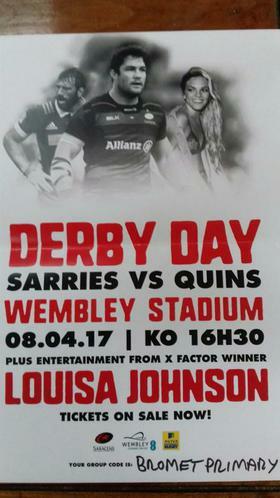 Please come along and join in the fun! Thursday- Year 4 Swimming restarts. We are also taking part in a speed stacking competition 1-2pm. Friday- Visit from the Mayor in the afternoon. 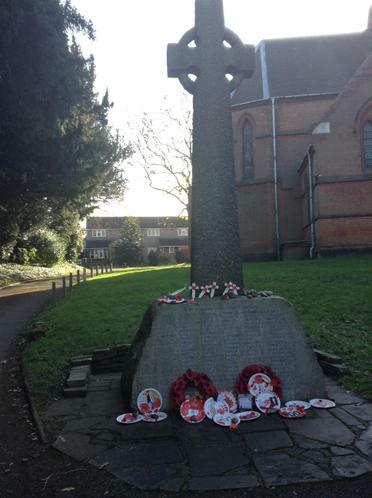 Poppy Display from 2:45pm. In Maths we are looking for patterns in times tables and then moving on to division using equipment to help us. In English we will be keeping with the important dates this week, looking at comprehension skills, grammar and reading instructions with the theme of Bonfire Night and Remembrance. 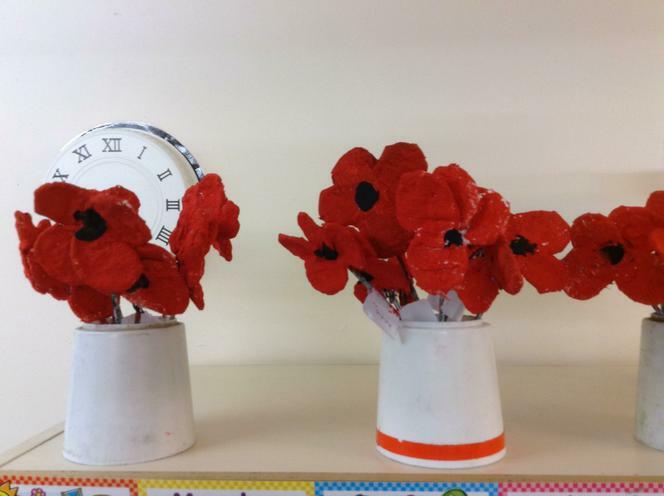 We are getting arty this week, making our poppy display as well as a fireworks inspired picture. Lots of practice for our Speed Stacking competition. We are learning 3-3-3 and 3-6-3 stacks! On Wednesday we are taking part in our first Relax Kids session. We will be working on self-esteem as well as doing some yoga! Kindness Afternoon- Kindness is Cool... A slice of nice makes a mile of smile! Inspiration from Oxhey Rocks...kindness rocks! 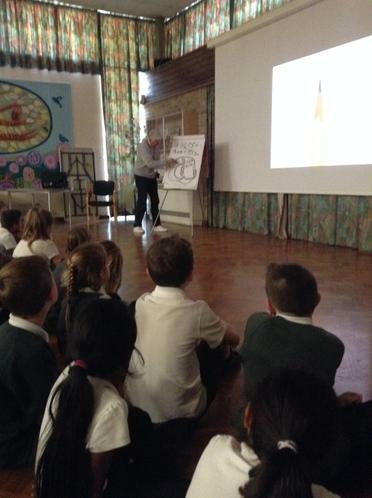 Nick Butterworth Visit- It all starts from a doodle! It was lovely to meet so many of you at Parents Evening this week. You should be very proud of how the children have settled in and worked hard these past 8 weeks. I hope you have a wonderful half term and a well deserved rest! 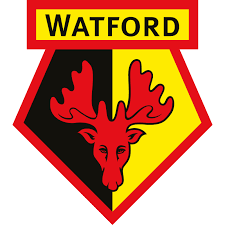 Our Curriculum and English lessons will be joined this week as we continue to look at the history of Vicarage Road Stadium whilst thinking how we can be persuasive. We are very lucky to have Nick Butterworth visiting on Wednesday so we will also be reading and sharing some of his books throughout the week. In Maths we looking at multiplication and will be searching for patterns within our times tables! Our focus will begin on x6 tables. In Jigsaw we are going to be acting out scenarios and discussing what options we have as well as thinking about who makes decisions in different situations. We are having a Kindness Assembly on Thursday with Home Start. 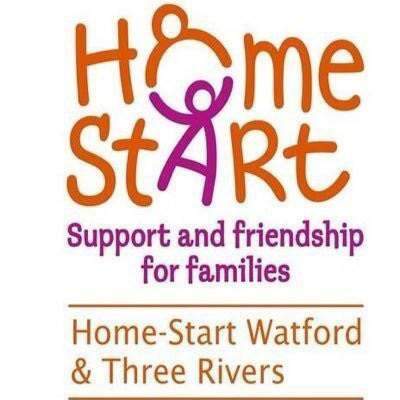 This is a non- uniform day to collect £1 for Home Start! We will then be planning ideas for our kindness afternoon on Friday. Please bring in a stone/pebble to decorate! 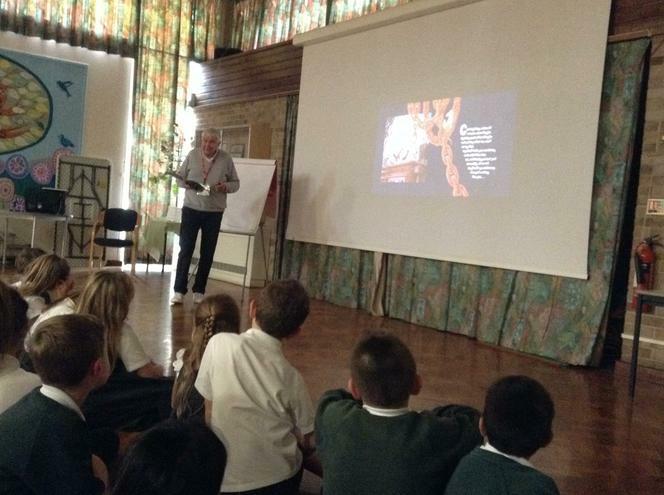 Nick Butterworth visiting on Wednesday. There is a chance to buy and have some of his books signed by the author himself! Parents Evening on Wednesday and Thursday. Please sign up through Arbor. 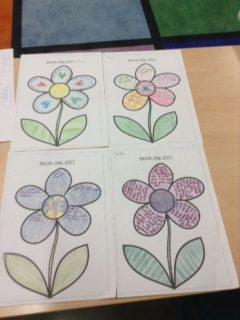 I will put the times up on the evenings as a reminder and please visit the classroom to have a look at their work. 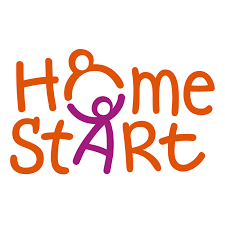 Non Uniform on Thursday collecting £1 for Home Start. No Swimming on Thursday! We start again on 8th November. Friday is kindness afternoon. Please remember your stone/pebble! Book bags are in on Monday and Thursday and will be sent home on Tuesday and Friday. Home Learning is handed in on Monday. Water Bottles must be in school every day. Please check that jumpers/cardigans are named. HALF TERM starts Friday- See you on the 5th! for always following our school/class rules and demonstrating excellent behaviour for learning! In English we continue with our persuasion unit. This week we are focusing in on our topic of our persuasive writing which is going to be convincing people to visit Vicarage Road. We will research the stadium, linking to our curriculum and potentially plan some ideas for writing, using a structure from a modelled piece. In Maths we are still looking at mental subtraction. This week we will cover equal difference and will complete some problem solving activities linked to subtraction. In Curriculum this week we are thinking about our local area and are going to look more at the history of Vicarage Road, thinking about it's location and how it has changed over the years. For Science this week, we are making our own human skeleton using the scientific names for the bones. KS2 Children's University Assembly at 9am- any interested parents are welcome to come and watch the assembly. Swimming for Year 4 on Thursday. Please practice putting on swimming hats. NO EARRINGS TO BE WORN ON THIS DAY OR PLEASE PRACTICE TAKING THEM OUT. for his fantastic effort in his swimming lesson! Please remember any money for Tuck Shop tomorrow. Any orders that aren't paid for means less profit for our school and you will not be included in future ordering! We are starting a new topic in English- Persuasion. We will be listening to the story- 'The Day I Swapped My Dad for Two Goldfish' and discussing how we can be persuasive, beginning to look at and use techniques. In Maths we are moving on to think about how we can use our knowledge to solve mental subtraction problems. We will be revisiting some of the strategies we have learnt last week but using these with subtraction. In Curriculum this week we are thinking about our local area and are going to look more at the history of Vicarage Road, thinking about it's location. 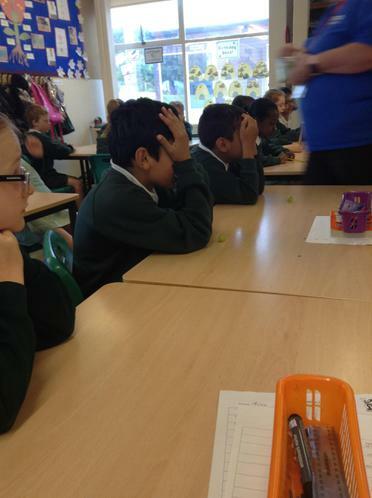 Maths Morning on Wednesday. (8:50-9:30am). Please come along and play some Maths games with us! 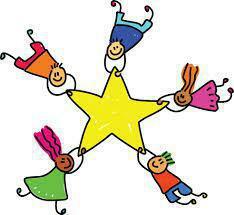 Erasmus parent meeting on Wednesday at 6:30pm. This is a very exciting opportunity so please come along to find out more. Film Night on Friday after school. (3:15-5:10pm) watching Peter Rabbit. Swimming for Year 4 on Thursday. Please practice putting on swimming hats. In English we will continue to focus on our vocabulary choices in our unit of poetry. We will be using all our learning over the past few weeks to draft and write our own version of 'A Small Dragon.' In grammar we are learning about determiners. In Maths we are developing our regrouping knowledge even further and will be Thinking 1000! We will discuss equal summing and do some problem solving with this. 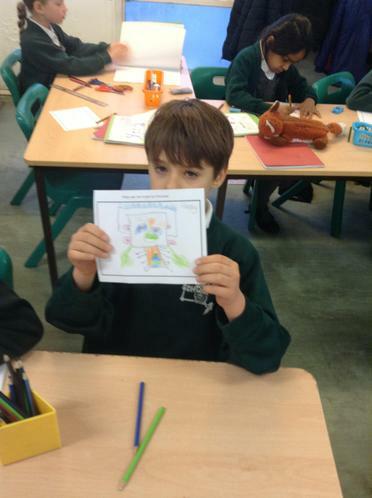 In Science think week we are going to discuss the different types of skeleton we can have. We will sort vertebrates and invertebrates out even further by endoskeletons, exoskeleton and hydrostatic skeletons! For Jigsaw we are revisiting the topic of Children's rights and responsibilities. On Wednesday we have garden time again. Book bags are in on Monday and Thursday and will be sent home on Tuesday and Friday. Sorry for any confusion with this. for always being ready to learn and for his positive approach to his work. Our spellings for this week: Using long /a/ sound with 'ey' spelling. In English we will focusing on our vocabulary choices and continuing our unit of poetry. We will be rereading our poems of 'Overheard on a Saltmarsh' and 'A Small Dragon,' writing our own reviews. As well as this we will begin to think of ideas ready for our writing of our own poem next week. In Maths we are learning how to use the 'Think 10' and 'Think 100' methods. We will develop our knowledge of regrouping numbers. In Science we are thinking about the food groups and nutrients, discussing why we need these things for our bodies. Have a look at the food you are eating this week! Friday feeling hit us this afternoon- we all forgot the book bags! Our apologies and these will come out on Monday. We had lots not handed in so these will get changed ready to come out too. for her enthusiastic approach to being a school council rep.
Our spellings for this week: Using 'ei' for a long /a/ sound. In English we will focusing on our vocabulary choices and beginning our unit of poetry. We will be performing different poems including 'Overheard on a Saltmarsh' and 'A Small Dragon,' thinking carefully about the characters. In Maths we are continuing to work on our place value knowledge. We will be adding and suctracting 10, 100 and 1000 from different 3 and 4 digit numbers as well rounding and ordering these numbers. In Science we are introducing our topic and thinking about questions we would like to answer throughout the unit of 'Animals and Humans'. Meet the Teacher on Monday straight after school. Tuck Shop Orders to be in school for Wednesday. Orders will be ready on Friday break. 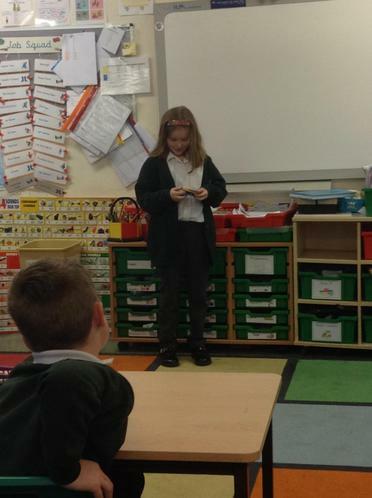 Mathletics logins will be sent home as soon as they have been allocated to our new class. for settling in well to Bromet and making lots of new friends. Please remember swimming kit including towel, costume/trunks, goggles and hat. Please return your permission slips by tomorrow. We will return to school at approx 3:30pm. Year 4s will begin their swimming lessons this Thursday (13th Sep). The children will be leaving school at 2pm and will return at approx 3:30pm. They will each need a swimming kit bag, ideally a drawstring, containing their swimming costume/trunks, a swimming hat, goggles and a towel. They will need these items every week. 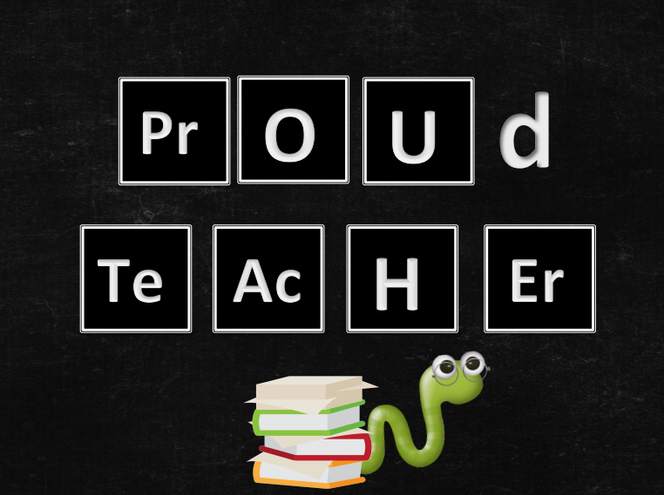 Meet The Teacher on Monday 17th September straight after school. I won't keep you too long and will attach my PowerPoint to our class page if you can't make it. A warm welcome back to all the children and it is lovely to have them joining Woodpeckers for this year. I hope you all had a wonderful break and are ready for the year ahead! If you ever need to contact me please go to the office before 8:45am or wait after school and once the children have all been collected I will be available then. 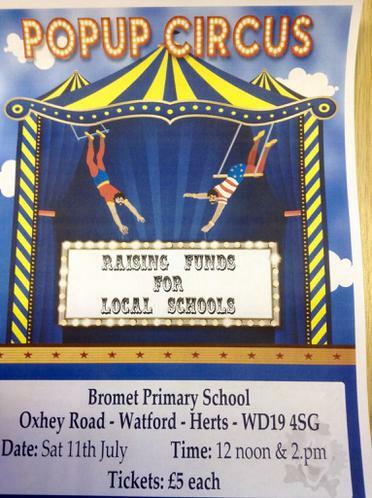 Alternatively please email admin@bromet.herts.sch.uk and they will forward any messages on to me. Please check our class page regularly for updates and reminders. Named Water Bottles in school every day. These are returned on a Friday. PE kits must be in school, fully named. We will be doing occasional PE sessions on Wednesdays. The Daily Mile will take place everyday. Year 4 will be swimming on Thursday PM and Year 3 will be joining Nightingale Class at this time. Please note that we return from Swimming at around 3:30pm. School uniform needs to also have names, especially cardigans and jumpers. Small pencil cases are allowed in school but they must be able to fit into the children's tray. Thank you for the tissue donations! They will be very much appreciated, especially in the coming cold months. We are very excited to be working with the children and I am sure it will be a learning-filled fantastic year! I cannot believe we are on our final week of term! I hope you enjoyed reading your children's reports. They should be very proud of what they have achieved this year. Please return your report reply slips ASAP. Any library books also need to be returned. Writing letters to our next class teacher, writing about our year in Woodpecker Class, taking part in maths investigations, exploring light and designing/ making a torch and circle times about change. Thursday- Awards Assembly, Class Party and games afternoon! Remember we break up on Friday at 1:30pm. for being more willing to ask for support in class when she needs it. Another warm week- please ensure the children have their hats and water bottles in school. In English we are we are finishing off our Poem based on 'A Small Dragon'. In Maths we are learning about the properties of triangles, coordinates and translation. I will not be teaching on Thursday- Mrs Michaels and Mrs Sullivan will be taking the class. On Friday it is Year 6 Enterprise Afternoon- Please come along from 3pm and help them raise some money! Please note Year 4 will be watching our PSHE Living and Growing Video during this week. 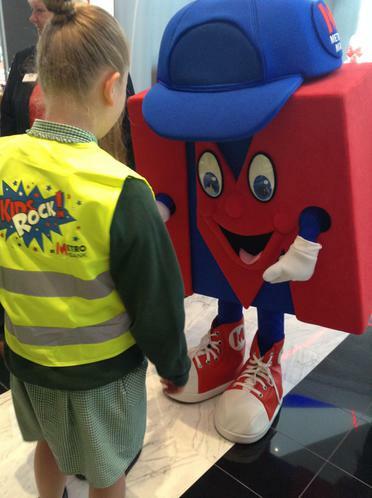 A group of Bromet children attended Hertfordshire Big Hit celebration day award ceremony at Hatfield university. They had their boxing assessments followed by awards given out by Hertsfordshire area mayors and boxing champions John Conteh MBE and Ted Cheeseman (the big cheese) super welterweight WBA international champion. Well Done Tommy! Duolingo Here is the website that you could log on and learn some Portuguese for free! for being an excellent and respectful buddy to our new classmate! for settling in to Bromet so well! We are collecting items for the Summer Fete. We will also be completing the Sponsored run in the afternoon! Roman Numeral Song Here is the link for our Roman Numeral song- Can you keep up?! Next week is assessment week so the children will be completing their end of term assessment checks. In English we will be continuing to learn about poetry, thinking about writing our own review. We will also be thinking about synonyms and antonyms. Roman Numerals is our focus is Maths next week. For Science we will be looking at the results of our cress growing experiment to decide which condition is most needed for healthy plant growth. On Monday we are completing some World Cup activities - Our focus will be Group E! On Friday you are receiving a special World Cup Challenge Sheet to complete. Monday Afternoon is our rearranged Sports Afternoon. Children need to come in their house colour. Please join us from 1:30pm. School Trip Meeting is on Wednesday at 3:30pm. On Friday we are having a well-being day. 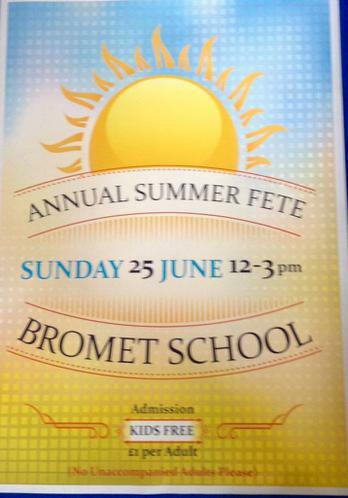 The children are also invited to come in non-uniform collecting for the fete. We will also be taking part in our sponsered run in the afternoon. SPAG mats are now going to be stuck into the home learning books. Please complete Home learning and bring in for Monday. 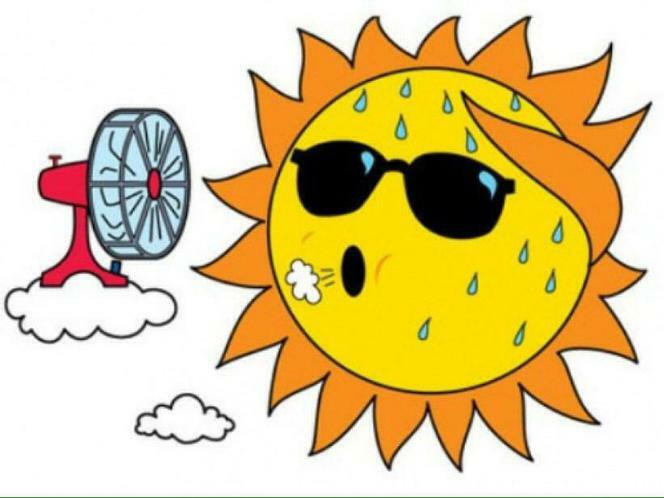 As the hot weather hopefully continues all the children need to have their water bottles and a sunhat in school. If they would like to bring sun cream they can do so but this must be applied themselves. Year 4 Swimming on Thursday- You must have a swimming costume/trunks, towel, goggles and swimming hat! PLEASE PRACTICE PUTTING ON YOUR HATS. 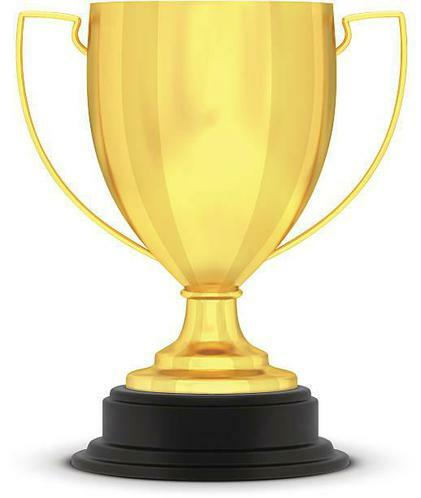 for his improvement in dealing with situations in a calm and mature manner. Science Week- Bug Hunt and Mad Science Assembly! This week is Science Week and we will be learning lots of in different scientific activities. 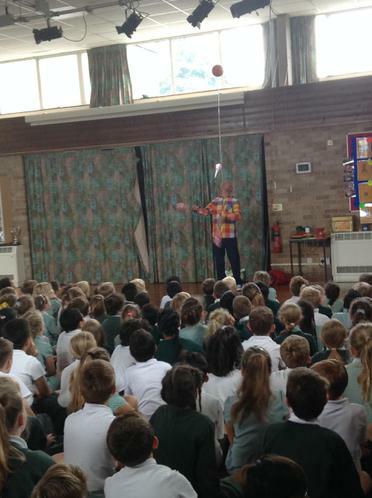 On Monday we are have a special assembly from Mad Science in which we will learn about different reactions in Science. We are also taking part in the Great Bug Hunt 2018 as well as thinking about how we can save the bees! On Tuesday we are learning how to make our own rockets with Eagles and on Wednesday we are having a workshop on antibiotics as well as a special Night Bird assembly. Mrs Gibbs is also going to do some computer science with us on Friday! If you wish to watch the Year 4 PSHE video this is on Wednesday 13th June at 2:30pm. for being accepting and inclusive of others. Congratulations Woodpeckers on winning the attendance cup! Keep it up! 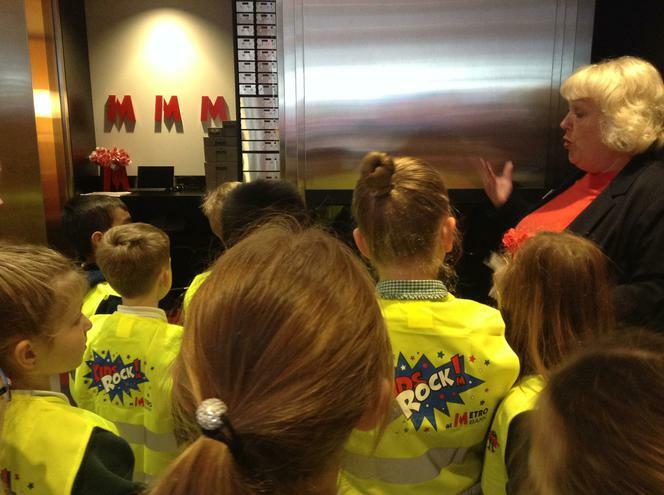 We have really enjoyed our Metro Bank Experience. 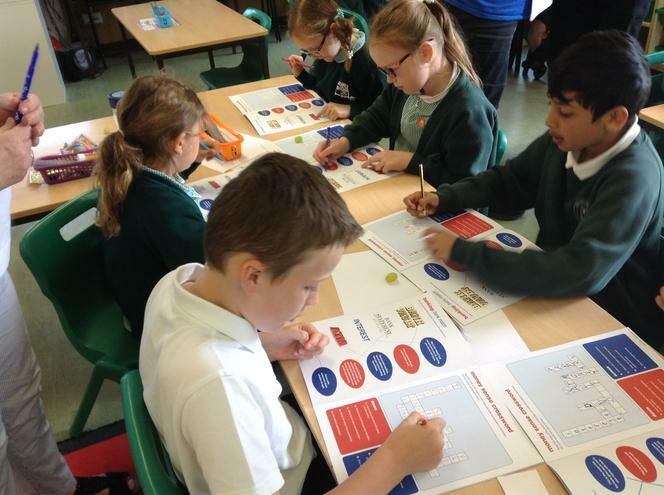 On our workshops we discussed what a bank does, what are savings and how can we achieve them as well as budgeting- we even saved £80 instead of £50! 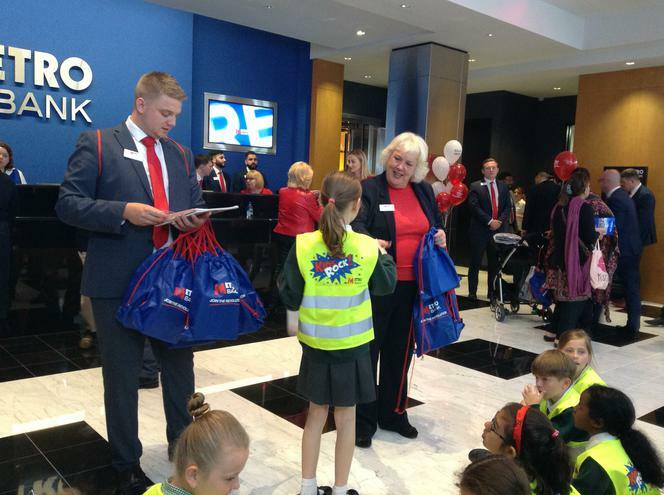 The highlight was definitely our visit to Metro Bank Watford's Grand opening today. 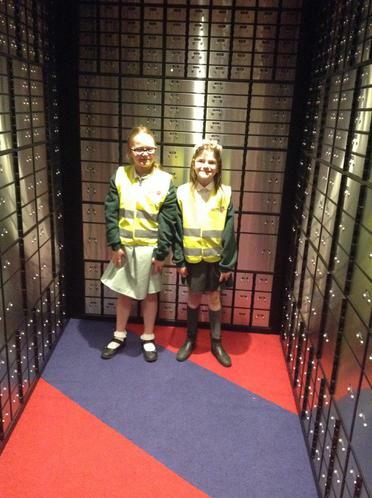 The children got to use the Magic Money Machine, go inside the vault, open safety deposit boxes with a surprise inside as well as meeting Metro Man and all the wonderful staff! Thanks to Mrs M, Mrs H, Mrs A and Mr B for your help! 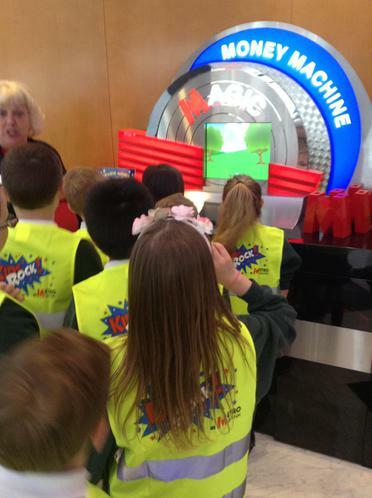 Metro Bank Visit tomorrow morning- We are leaving at 8:50am so please be in on time. Helpers please go to reception and we will meet you there. Thanks again! 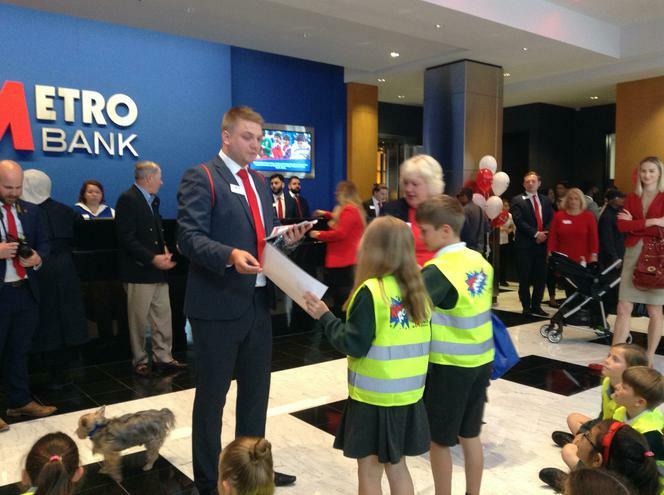 Metro Bank have asked for permission to take photographs. Please return your slip or write a note on this to say you do not give permission. 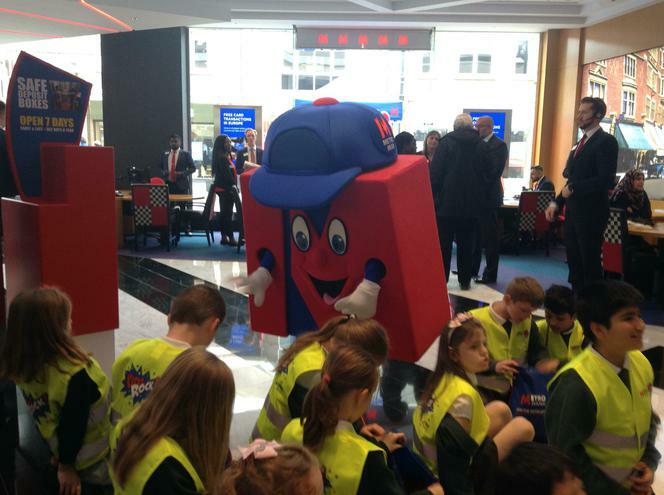 Any child without this permission will not be able to take a photo with Metro Man! 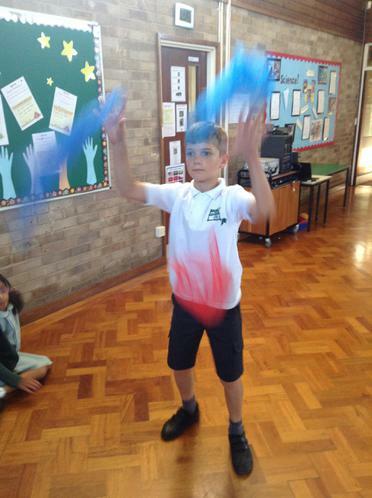 PE Kits must be in school tomorrow for our sport afternoon with Falcon Class. for always being supportive of others and is considerate of others' feelings. for making new relationships and showing the qualities of a good friend. Special Shout Out- Whole Class for their hard work on long division! Here is the grammar game that we were playing earlier! The children looked wonderful today and really enjoyed their tea party! Congratulations to Violet and Masroor who won "Best Dressed" for Woodpecker Class. In Maths we are moving on to learning how to use the formal written method of division. We will be discussing what remainders are, and how to set out these questions. In Science we will be setting up an experiment and planting some of our seeds. 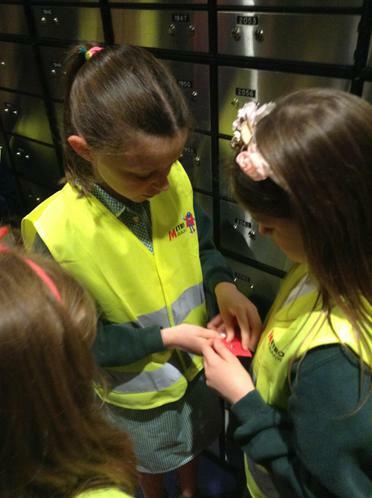 On Wednesday and Thursday we are fortunate to have Metro Bank coming in to do workshops with the class. 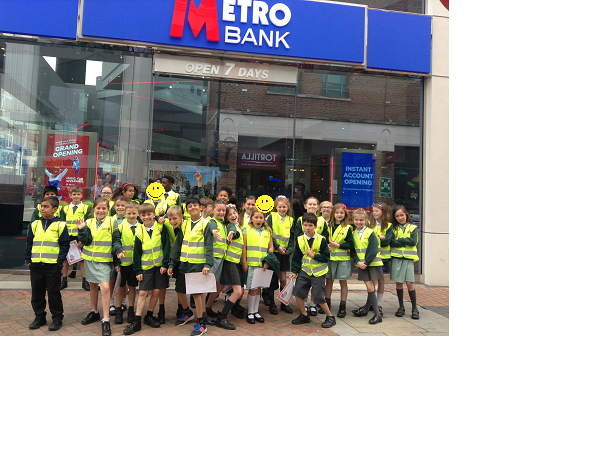 Friday we are going to Metro Bank. Please be in school on time as we are leaving at 8:50am. Mad Hatters Tea Party Menu on Tuesday. We will be have our last drama workshops led by students from Merchant Taylors School on Tuesday afternoon. Science Week is WB: Monday 11th June. If you have any Scientific skills or job please come and talk to me about how we could share this with the children!
. There will be prizes for the best dressed boy and girl. If you have designed a hat please also bring these in. for always being kind, thoughtful and respectful to others..
Special Shout Out- Violet for her improved handwriting! for always being willing to work in a group and include others. Special Shout Out- Max and Maya for their participation in the Music Challenge cup in which they came 3rd! In Maths we are being to look at multiplying using the formal method. We will begin by multiplying ten by one-digit numbers and then move on to how to use the formal written method. In English we are finishing or editing our explanation text about our own invention to do homework making sure to use conjunctions and prepositions. Again in Jigsaw, are looking at the relationship that humans have with animals and will be discussing and debating about vegetarianism. On Friday we will be celebrating the Royal Wedding. 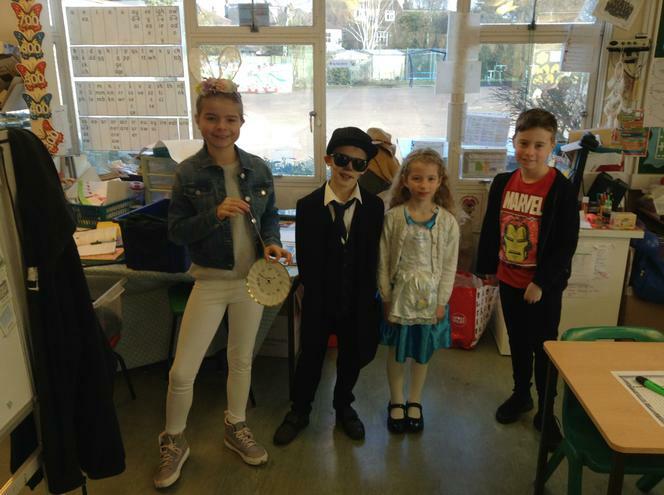 The children can come into school in their 'best dress' look. Remember any allergies for cakes, please bring an alternative in to school in the morning on a plate. Year 6s are completing their SATs next week so please remember not to walk through the hall. Try to be on time so we do not disturb them. We will be continuing our fun filled drama workshops led by students from Merchant Taylors School on Tuesday afternoon. for her excellent independent work on adding fractions and for always trying to play and include new children as well becoming more mature when dealing with situations. Special Shout Out- Masroor- for his awesome push and glide in swimming! In Maths we are continuing to look at fractions but will be moving on to scaling fractions and finding fractions of quantities. In English we will continue to read about Charlie Small's adventures and will be writing an explanation text about our own invention making sure to use conjunctions and prepositions. Jigsaw are looking at the relationship that humans have with animals and will be discussing and debating about vegetarianism. Monday is a Bank Holiday- enjoy your day off! I will be out of class all of Wednesday. 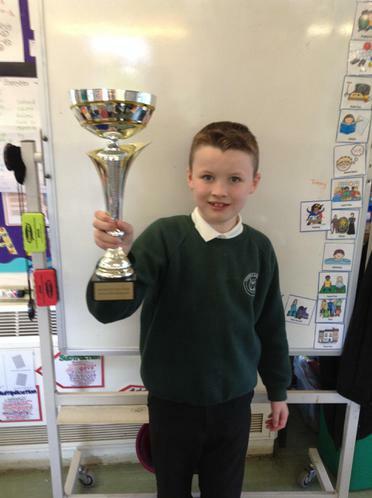 Congratulations to Tommy who won 'Boxer of the Week' at his boxing club. Today we had our first Drama session with some students from Merchant Taylors. The children really enjoyed taking part in a variety of games such as Zip-Zap-Boing, Splat and challenges for ordering themselves without talking. We are really looking forward to the next 3 weeks! Meet Lola Ogunsola our school family support worked on Wednesday 2nd May at 9am! Also- last week's home learning has an extension this week- 2 pieces need to be completed by Monday 7th May. for making lots of strong friendships since starting at Bromet and understanding what are the different types of relationships in our lives. 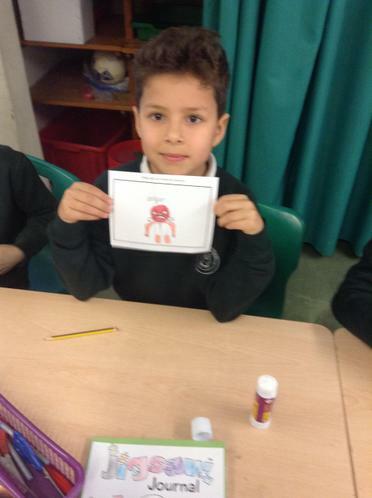 Special Mention: Ed-for his improved attitude to his learning! In Maths we are looking at fractions- recognising and calculating with them. In English we will continue to read about Charlie Small's adventures and will be working on our use of conjunctions and prepositions. In Science we will be dissecting a plant and looking at the different parts and what their roles are. Jigsaw will continue to think about loss but we will be discussing and thinking about memories. Violet and Leo took part in the PE challenge cup and came 1st out of 6 schools. Well done guys! Apologies for the delayed home learning books! There was a mix up our end! I am not expecting children to complete their home work by Monday however I do expect them to complete 2 pieces by the following Monday (7th May). SPAG mats are now going to be stuck into the home learning books. Thank you for your donations to the WWF on Friday. 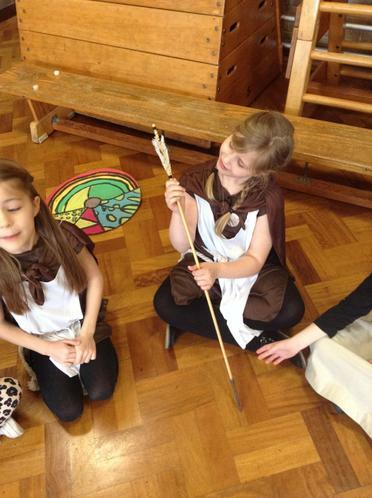 The children looked very animalistic! Our drama workshops led by students from Merchant Taylors School are starting on Tuesday afternoon. I hope you have enjoyed the sun over the weekend! In English we are starting a new unit: explanation texts. We are going to be reading two texts- 'Until I Met Dudley' by Roger McGough and 'Charlie Small: Gorilla City' by Nick Ward. We will begin to look at what is needed in explanation texts and create our own flow charts. In Maths we are continuing our learning of decimals. We will be adding and subtracting numbers with 2 decimal places and will be exploring this knowledge in the context of money problems. We will be revisiting our understanding of bar modelling also. 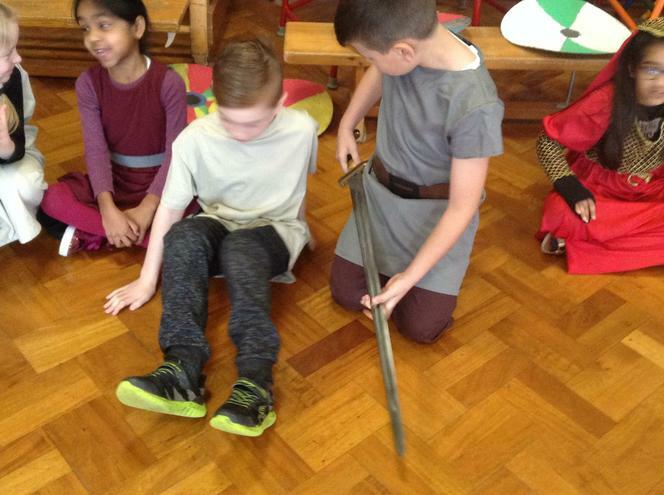 We begin our topic of Ancient Greece this week, discovering what the children already know and what they want to find out. In Jigsaw we are thinking about our relationships, deciding which relationships we have and putting them on a relationship circle. 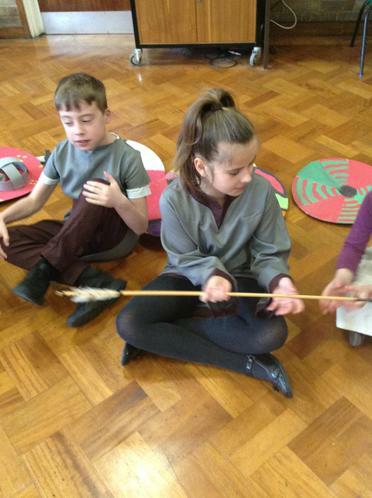 On Thursday Year 4 are swimming whilst Year 3 begin their Stone Age Projects. SPAG mat and Home Learning books due in on Monday. Friday is non-uniform day raising money for the World Wildlife Fund. Please come into school in non-uniform that has a picture of an animal and £1. Challenge Cup on Wednesday Afternoon for some of Woodpeckers. Year 4 Swimming on Thursday- You must have a swimming costume/trunks, towel, goggles and swimming hat. From next week we are fortunate to be taking part in drama workshops led by students from Merchant Taylors School. These will be every Tuesday afternoon for 4 weeks. I hope you all had a wonderful break (despite the not so great weather) and are ready and raring to go for our Summer Term. Please have a look at the Summer Term Overview to see what we are going to be learning this term. As always, I will update our class page weekly sharing with you reminders and updates about what we are up to in class. In English we are writing a recount of our Easter Holidays. We are also using our computing skills to turn our persuasive writing from last term into a PowerPoint Presentation. We will then present our work in small groups. Calculating with decimals is our topic this week in Maths. We are going to be adding, subtracting as well as multiplying and dividing by 10 and 100. During our Maths lessons we are going to recap what 'complements to' means and use lots of equipment. This week we have started our daily mile! We will be running 3 laps of the field every day aiming to improve our health and fitness. On Thursday we are lucky to be taking part in an Earth Day workshop! Thursday is Year 4's first swimming lesson! All the children need to bring in a swimming kit bag with their swimming costume/trunks, towel, swimming hat and goggles. Remember this will be a slightly later pick up from school. Friday is Spring Term Award assembly. If your child won an award please come along for the assembly at 9am. Water bottles must be in school every day, especially now that the weather is heating up. PE kits, including trainers also need to be in school every day. Well done everyone for your hard work! Have a great Easter break and see you in 2 weeks! Rapid Fire Cricket County Finals! Well done Amy, Max, Bobbi, Ed, Ava, Luca, Maya & Adrian!!! Thanks Mrs M and Mrs T too! I was very impressed with the mature and thoughtful discussions that the children have been having during our Jigsaw lessons. In the past 2 sessions we have discussed smoking and alcohol, thinking about how to keep our bodies healthy. Woodpeckers have continued to impress us with their thoughtful and deep thinking, their ability to take risks in their learning and their independence! They have had a really fantastic term and I cannot believe it is nearly our last term together. Maths- Continuing with decimal numbers and exploring how to add and subtract them. English- We will edit and improve our persuasive writing and then turn this writing into a presentation using PowerPoint. Science- Investigation into different soil types. DT- Levers and Linkages to make a moving picture. Remember we finish next week on Thursday at 1:30pm. End of Term Award will be on the newsletter and the assembly after the Easter break. for making much better decisions in his learning to ensure he achieves his best in lessons. The KS2 Easter Art competition will take place on our special Easter assembly on 28th April. Please can all entries be in for Monday 26th April. This was a piece of your home leaning. Father David will be judging the entries and there will be prizes so get creative! Class Photographs are taking place tomorrow (Tuesday). Rapid Fire Cricket Team need to be in school for 8:10am on Friday. Maths- we will moving on to decimal numbers. English- Using our research we collected this week, we will begin to write our persuasive piece about our chosen local place of interest. Photographs will be on Tuesday 20th. At the weekend it is Watford Harriers Fun Run! 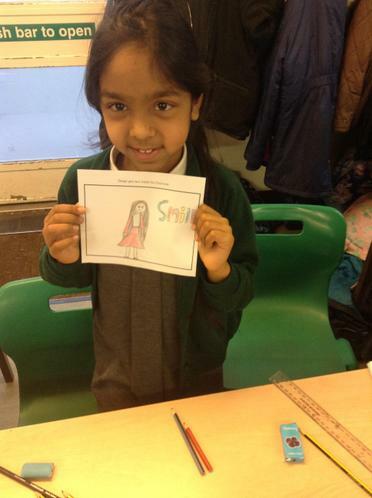 For her thoughtful and sensitive suggestions in Jigsaw about solving friendship problems. 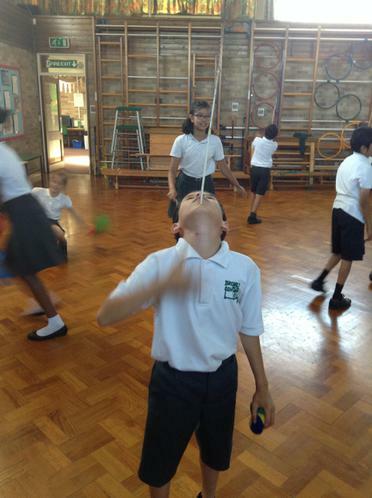 Well done to the children for their participation in our 6T Rapid Fire Cricket Practice! It was a great new fast action sport and we will definitely be playing again! I wish I could have chosen all of them but well done to the 8 children chosen for the finals- please return your letters ASAP and if anyone is able to help please let me know. 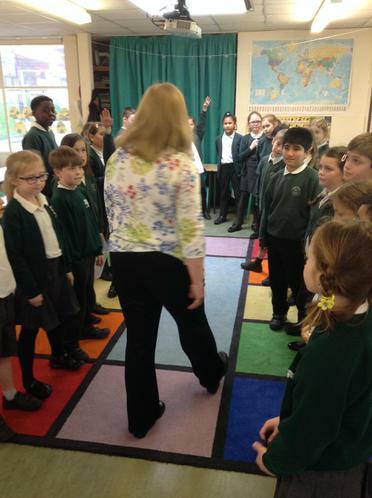 The children also took part in a conscience alley to persuade Captain Sullivan whether she wants to go off to sea in search of the treasure! We will then be writing postcards with our ideas! Please check your timings for Parents Evening and I look forward to seeing you all! Congratulations Woodpeckers on joint winning the attendance trophy last week! Keep it up! Maths- We are learning about symmetry this week. We will continue to revisit our shape vocabulary and will be investigating the number of lines of symmetry in regular and irregular polygons. English- We are returning to our topic of Persuasion this week. The children will be taking part in a conscience alley to decide if they will go on a pirate treasure hunt as well as beginning their research into a local place of interest which will be their focus for writing next week. In grammar we looked at determiners and will also revisit writing multi clause sentences. Science- An investigation into soils awaits us! PE- Lots of sports happening this week! On Tuesday we will be holding try outs for our 6T Rapid Fire Cricket tournament as well as having 2 sessions with Watford FC. Please ensure ALL kit is in school. Parents Evening on Wednesday and Thursday. Raffle Tickets sold by School Council for our class Easter egg raffle. School Council are selling raffle strips for our Easter Egg raffle. Each strip is £1! Mothers Day Sale on Friday afternoon! Sign up for Parents Evening on Arbor. Please remember PE Kits for every Thursday. For his pure determination and incredible speed during our Sports Hall Athletics which won his events! We came 4th in our Sports Hall Athletics!! The children were competitive, determined and showed excellent sportsmanship throughout, clapping and cheering on their team mate. Thank you to all the helpers that came along! 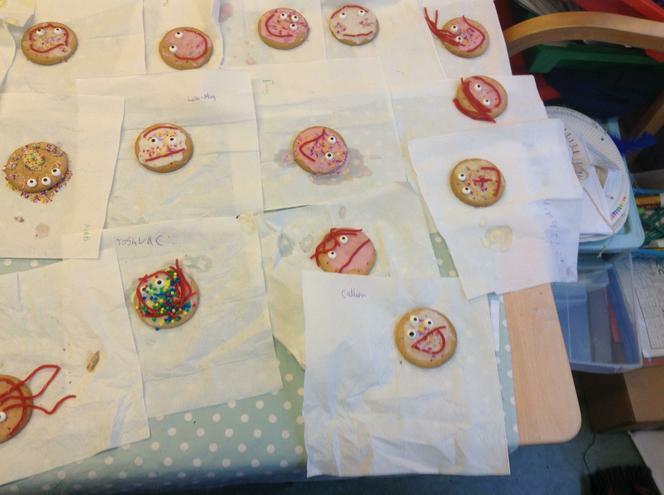 This week is assessment week so the children will take part in a variety of assessment activities. In Our English we are finishing writing our own poems using rhyming based upon the poem 'Preferences' by our visiting poet Stewart Henderson. In Maths we are recapping our shape vocabulary, comparing and contrasting properties. We will also be celebrating World Maths Day and completing a special challenge set on Mathletics. Our topic in Jigsaw of 'Healthy Me' will also begin this week. For his dedication during a double Fitter Futures even in the snow! Please sign up for Parents Evening through Arbor. Thank you to those who have already done so. Sports Hall Athletics on Tuesday. Remember to come in kit. Mothers Day Sale on Friday. for working well in her group and leading them to create a great Garden of Dreams design. She worked hard to achieve her goal. Hot Choc Friday winner is Varali- for her fantastic helping this week. Our Woodpecker Finalists- Super proud of you all. Huge congratulations to Luca on becoming the Talent Show Overall Winner!! We have been finishing our play scripts to make final edits and then peer assessed our work. In Maths we have been learning all about perimeter and played Dicey Perimeter! 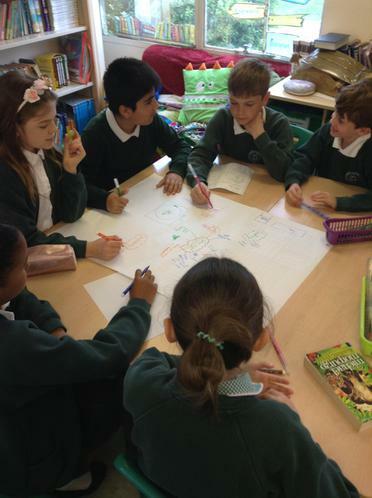 We have also been working in our groups showing cooperation and compromise to design our garden of dreams items which will be displayed in the hall on Friday after half term. Good Luck to Luca, Tommy & Leo who are entered into the Talent Show Finals Friday afternoon! Mrs Sullivan and I wish you a happy half term. Have a good rest and we will see you back on Monday 19th for our second part of Spring Term. Garden of Dreams Designing- Great Teamwork shown by all! For being positive about other's ideas and helping others to achieve their goals. Hot Choc Friday- Maya for making me smile lots this week! for always being happy and smiling plus she always has a positive, can-do attitude! Hot Choc goes to Leo! I am so incredibly proud of Woodpeckers and their fantastic assembly this morning. You all did amazingly well, speaking loudly and clearly and with enthusiasm! Well done all. Talent Show Heat is next Friday Afternoon! Any Watford FC consent forms to be handed in please. For always being happy and positive which allows you to work well with others no matter the task. Please remember to come along to our class assembly tomorrow! The children have worked really hard and we are looking forward to sharing our learning with you! Come to the hall after drop off. Assembly begins at 9am. 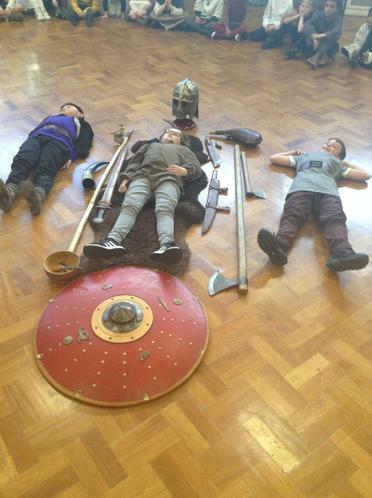 We've had an excellent and informative Viking Day! 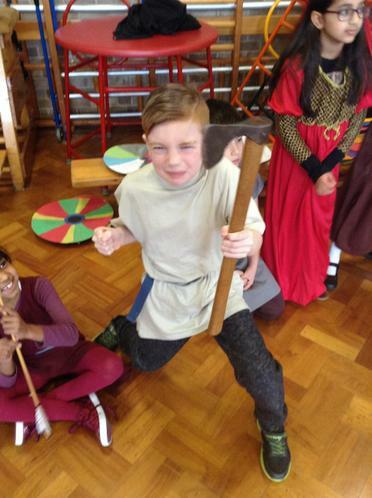 Viking Workshop on Wednesday. I'm looking forward to seeing your costumes! Class Assembly on Friday- Please come along for 9am start. Keep practising your class assembly lines! Practice the Viking Rock song- lyrics are on the link below. Please return the Watford FC consent form as soon as possible. If you need a new copy let me know. English- Play scripts- learning the features, turning play script into narrative and poems into play script. We have really been working hard on our language and our use of adverbs. Our words of the week include indignant, meekly and curious. Maths - Measurements- we have been learning our conversions between different units and have begun to compare and explain the difference between units. On Friday we will be comparing and estimating mass & capacity in an investigation! Science- Rocks- This week we have studied different samples of rocks and drawn observational pictures, thinking about their properties. 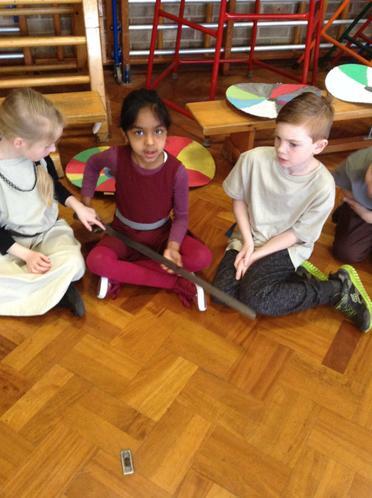 History- We looked at the home lands and settlements of the Vikings and have started to learn a Viking song! For her improved and risk-taking attitude to learning and for not giving up when she finds things difficult . for staying motivated in our challenging converting measurements lesson. Congratulations to Caleb on earning his Level 5 Swimming Badge! We are very proud! Please remember to have outdoor PE kit in school ready for our first training session with Watford FC tomorrow. It was great to see everyone back and the children came in with a positive and ready to learn attitude! I have enjoyed reading their letters that they wrote with Mrs Austen about their holidays. Mrs Sullivan and I want to say a huge thank you for all our gifts and vouchers! Your generosity is overwhelming and they were much appreciated! 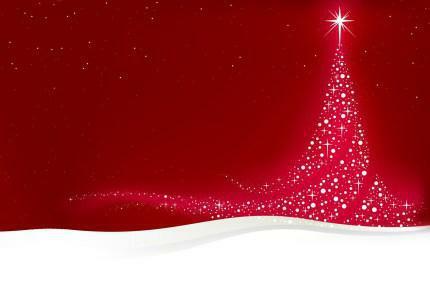 We hope you all had a fantastic Christmas and New Year. 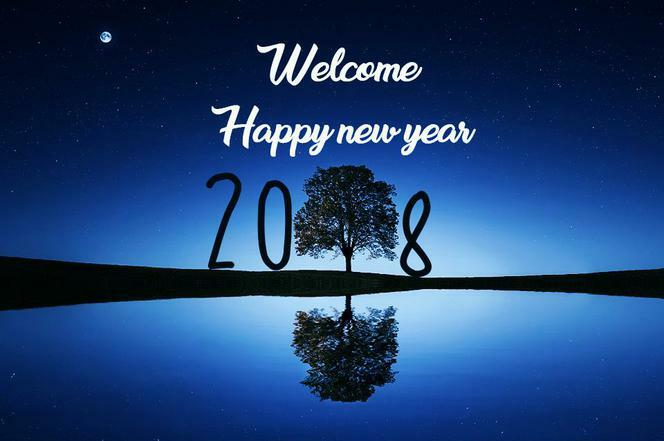 Bring on an exciting 2018!!! Please keep checking the Class Page weekly. I will continue to put weekly messages, reminders and updates about things happening in class. Woodpeckers love their Christmas Present! Mas and Millie being expert builders! Enjoying our new air hockey game! Beautiful Carol singing from Woodpeckers this morning! Thanks all that came to support us! John Lewis Carols taking place inside the shop at 11am. Helpers please be at school at 10am! Class Party Monday afternoon! Please bring food and games! End of Term is 1:30pm on Tuesday! If you are able to help with our John Lewis Carols please let me know. Thank you to those who have already offered! On Monday afternoon we are going to be having our Christmas Party. The children can bring in some food and toys/games if they would like to. Christmas is here! We enjoyed our Christmas lunch and booing the baddies at the Pantomime Aladdin! I hope you all enjoyed your snow day and kept yourselves safe in the snow! Wednesday- Christmas Jumper and Christmas Lunch day. I look forward to the amazing festive outfits! Thursday- We will be watching the Panto. Mrs Michaels will also be teaching in the morning. Friday- It is our Christmas Fair after school! Please come along and support the PTFA! As we were unable to perform at John Lewis today we are hoping to rearrange for next Monday! I will keep you updated. For always being supportive and positive about others and their work. Hot Choc Friday goes to... Ed! Our practising for the speed stacking competition has begun! Check out the videos on the link below for some tips and instructions! for always being inclusive and for making others feel welcomed. She always allows others to join her games on the playground. I wanted to say a HUGE congratulations to the children that took part in our (slightly wet) cross country competition this afternoon. All the children completed the 1500m course and represented the school fantastically, showing good sportsmanship to the other runners. I was incredibly proud! We did very well, with Zoe coming 3rd in the Girls race and Ben coming 2nd both winning medals! They, along with Rosie and Tom, will be taking part in county finals soon! Once again, WELL DONE to all of the runners! 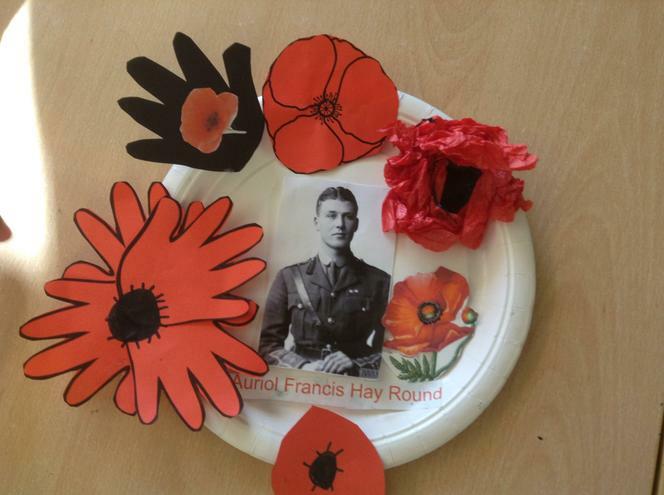 The children have already been busy this week preparing their Remembrance display items. 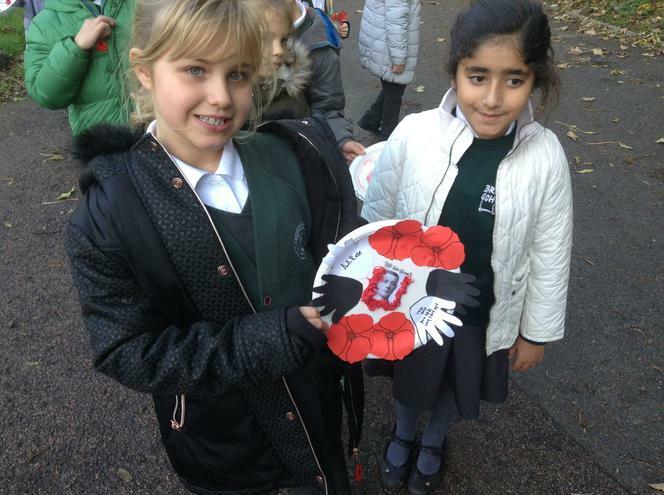 Please remember to come along to the hall from 2:45pm to view the Remembrance displays each class has made. 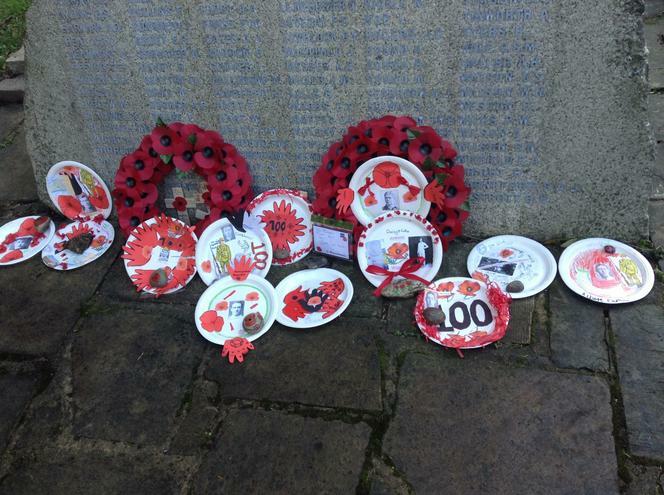 The children have written some Remembrance themed poems, created clay tiles as well as decorating poppies-pictures to follow! In Maths this week we are learning all about factors and correspondence problems. 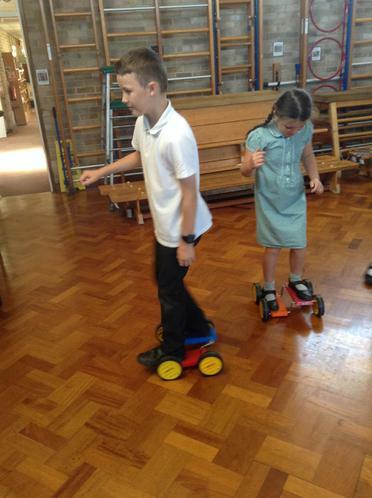 Later in the week we are going to be testing our home learning cars that we made in a friction investigation! for accepting that everyone is different and respecting these differences. for making good choices in his behaviour and following our class charter. Hello, if you are intending to make space for Santa to drop off toys before Christmas Kingfisher Class would be very grateful for any unwanted construction (Lego , Knex etc) We have a small box at the minute and even though they are very good at sharing the children would like some more. None is so rich or mighty that he can get along without it, and none is so poor but that he can be made rich by it. and is nature’s best antidote for trouble. To celebrate World Smile Day we each designed our own smile and then wrote a message to a class mate to make them smile! We had a mixture of compliments, well wishes and jokes! 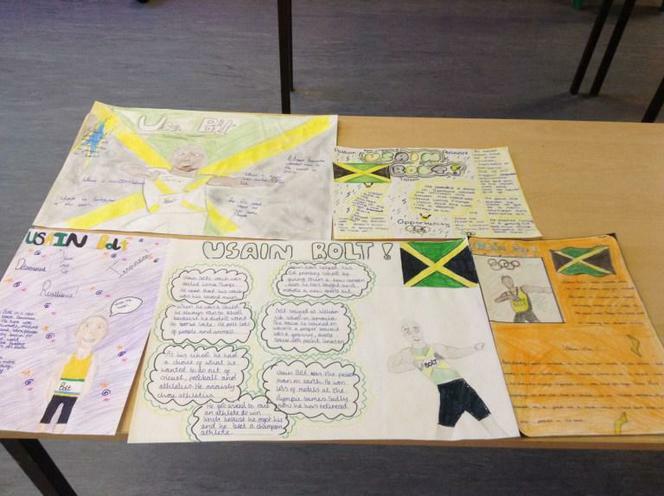 Eagle Class your posters are fantastic I can see how much detail is in the posters. Well done! Well done Sparrow Class your posters are fantastic, you have learnt loads. 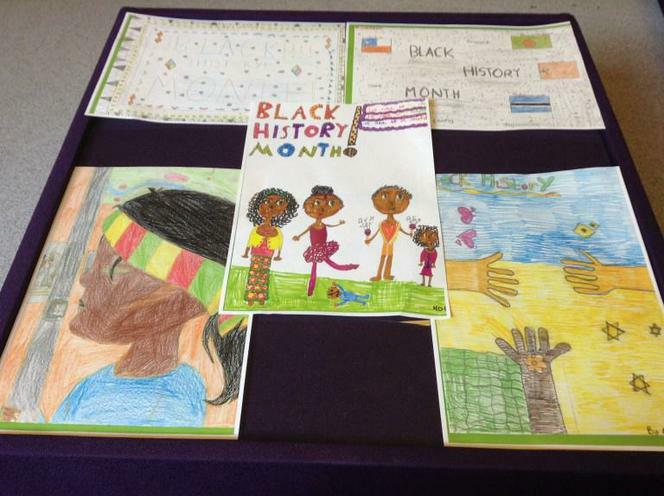 Well done Falcon Class your ‘Black History Month’ posters look really fantastic and I can see how much detail you have added. For always being kind and caring to everyone! She is always caring of other people’s feelings and brightens up our day! 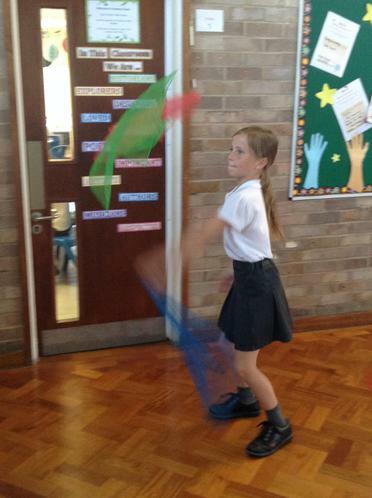 Over the last two weeks we have been learning all about forces and how they make things move. This week we worked in groups of 4 to plan and conduct an investigation into how the size of a windmill blade will affect the speed or amount of time it will spin for. Celebrating Black History Month Poster! 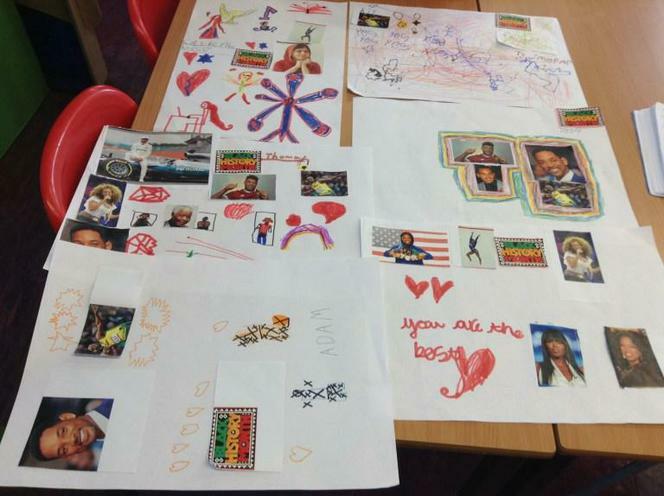 Kingfisher Class have started their learning to mark the start of ‘Black History Month’. 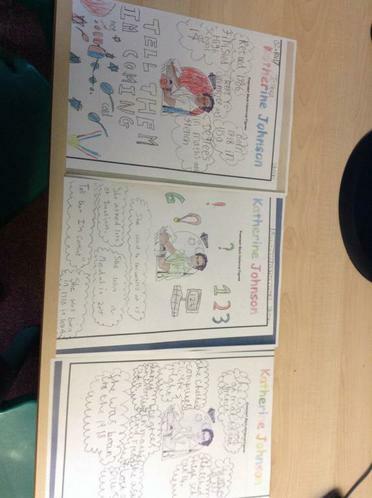 I am really impressed with your research on ‘Katherine Johnson’ keep it up! 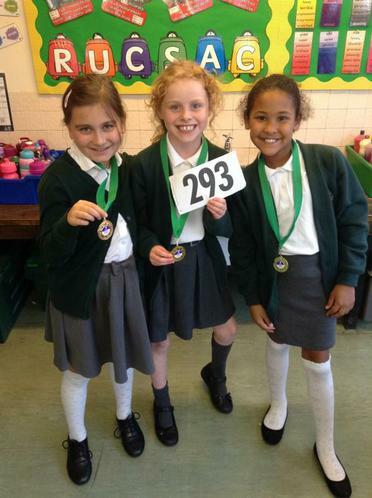 Well done to all the children that took part in the Moor Park run! We are very proud of all of them! Jessica, Ellie and Maya all with their medals & Leo too! For being a fantastic talk partner and supporting others to edit and improve their writing thus respecting everyone’s right to learn! Today we visited the garden for the first time. It was great fun! Please bring cakes in Thursday or Friday for our Peace Hospice cake sale. Children need to come to school in their PE kits with a coloured top of their house colour (the colour they sit in at lunch) on Friday. If they do not have a top in that colour their teacher will give them a coloured sticker. Please come and watch Sports Afternoon from 1:30pm. We will be having a parent and teacher race at the end of the results. The children will return to their classrooms at the end of the day and you will collect them from the playground as normal. For her great representation of our class at school council and for respecting and listening to other people’s ideas about how to improve our school. We been continuing our map skills today by exploring some Ordnance Survey Maps. Many of the children located our school and their houses. We then talked about the different symbols that you can find on the maps! Have an explore and see if you can find any more symbols on the maps! Thank you to all of you that came. It was lovely to meet you. Just to clarify- One Home learning task needs to completed every week. Some will have specific dates whereas the others are free choice for when you wish to hand them in. Please sign each completed task. Please come along to the classroom straight after school. He is someone that always includes other children and makes them feel welcome! Today we were beginning to learn about map work and our focus was using a compass. We identified the different points on the compass, read directions to find different locations and then wrote our own directions. After this we used the Ipads to play different direction games! We have been working really hard in our first 2 weeks! We tested our creativity and worked as a team to think of as many ways to use a paper clip as we could! 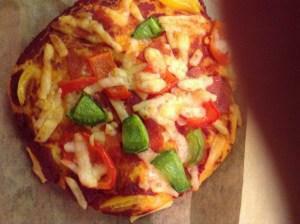 We wrote about our summer holidays, creating recipes to follow to have a great time. 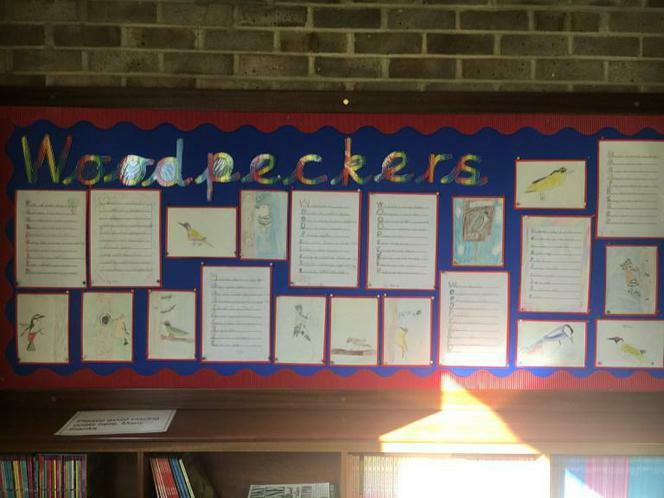 We are proud of our new class name and learnt a little about the beautiful birds, woodpeckers. This inspired us to write an acrostic poem about the hopping, knocking, noisy little birds! We then drew some woodpeckers, looking closely at details. Check out our classroom display! 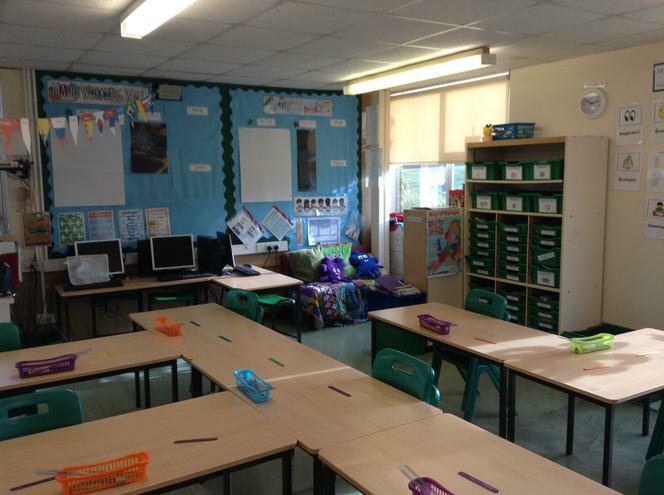 Take a look at our classroom…. The walls are starting to fill up! Who always makes others feel welcome and included! Do you know a child aged between 5 and 11 years old who has a brilliant idea for a bedtime story? Would they love to see it published as a fantastic picture book? Book People, in association with Little Tiger, are on the lookout for the nation’s best storyteller! One winner will be selected from each age category and one overall winner will be chosen to have their book illustrated by Alison Brown, published by Little Tiger and sold exclusively through Book People! Here are some events at local Hertfordshire Libraries. Click the link to find out about different events and activities on offer. Weekend Stories are story time sessions in the library aimed at children under 8 years old. Come along to Saturday Stories or Sunday Stories and enjoy listening to old favourites and discovering new stories too. This is a family event and all ages are welcome. 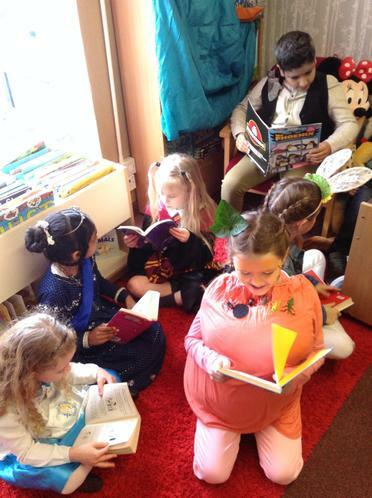 Whether your child is already an avid reader or needing some inspiration, joining Chatterbooks is a great way to encourage them to have fun with books. If you take part in any of these activities please let us know at school it would be great to share experiences at the Library. I hope that you all had a fantastic summer and enjoyed the sun (what we had of it). The time has whizzed by! I know Mrs Sullivan and myself are looking forward to hearing all about your time off and the exciting things that you have been up to. In our first week we will be deciding on our class rules and thinking about out Jigsaw charter; creating some Woodpecker inspired art; writing all about your summer; exploring some investigations in Maths and beginning our times table challenge as well as plenty more! 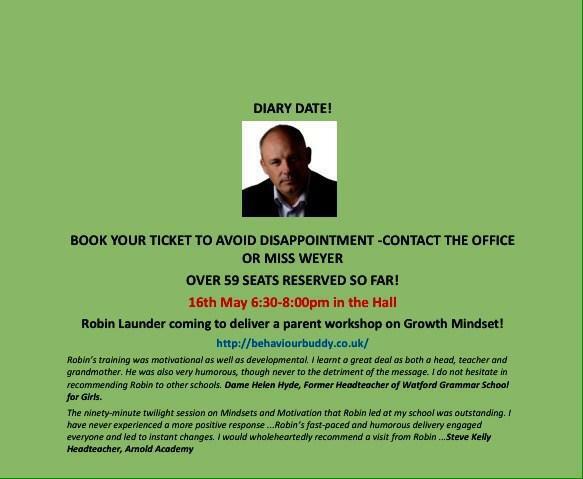 I hope you are ready and have got your growth mindsets switched on! English– Through our study of fiction, non-chronological report writing and poetry we will develop our writing skills, including the use of correct grammar, spelling, punctuation, vocabulary choices and text layout. Maths- In Maths we will be looking at the place value of 4 digits numbers as well as thinking about decimals. We will study addition, subtraction, multiplication and division methods. We will develop our reasoning and mastery through problem solving and mastery challenges. We will begin to explain the different methods we could use to reach an answer. Times Tables and division facts up to 12 x 12 will be practised each week. 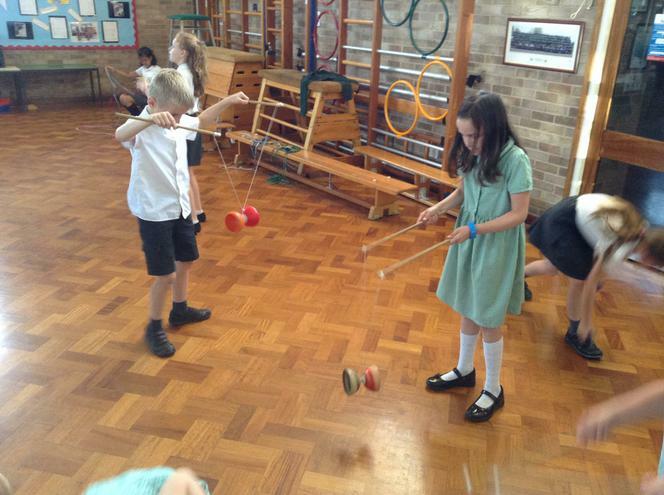 Science– Our topic in Science this term is forces and magnets. We will learn how to identify pushes and pulls as forces and explore how things move on different surfaces. We will find out about attraction and repulsion by magnetic forces and which materials are magnetic. Look at compasses and uses of magnets. Also we will carry out some enquiries using magnets. 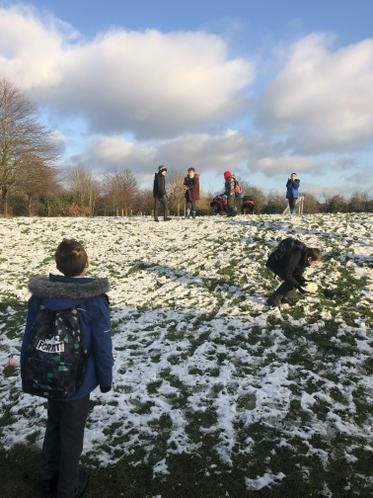 History– In History we will be learning about our local area of Bushey and will be considering how the local area has changed over the years using a variety of sources as well as going on local walks. Geography- This term we will be learning about the different points on a compass and using this to help us think about the geography of our local area of Bushey. Computing- We will be learning how to select, use and combine a variety of software(including internet services) on a range of digital devices to design and create a presentation. Art- In Art we will improve our mastery of art and design techniques, including drawing, painting and sculpture with a range of materials (e.g. pencil, charcoal, paint, clay). In addition to learning about great artists, architects and designers in history. PE: In games we will develop our skills in athletics We will use Yoga to allow us consider our core strength breathing and balance. We will be learning the game of Tag Rugby. We will also be taking part in Fitter Futures challenges to help improve our fitness. 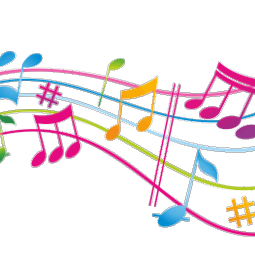 Music– In Music we will develop skills relating to composing, performing and listening. 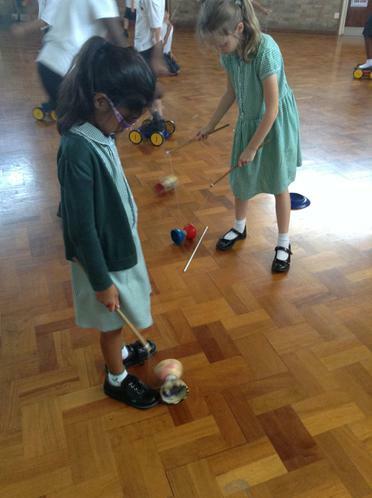 We will be exploring sounds and rhythmic pattern. We will be learning a variety of songs and using these to enhance our musical skills. D&T – In DT we will be considering what a healthy diet is, looking at The Eat Well plate and what a balanced, healthy diet means. We will learn some ways to prepare ingredients safely and hygienically whilst using equipment and utensils to prepare and combine ingredients to make a product. 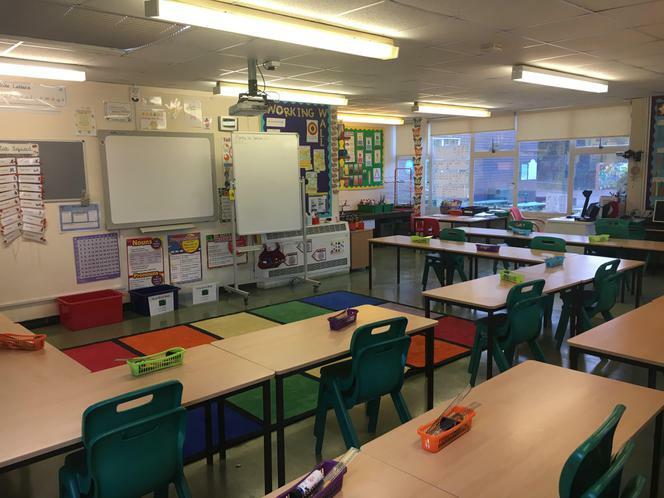 RE– Mrs Bastable will be teaching RE this year. She will be teaching about Sikhism including understanding further about the sacred book for Sikhs, the Guru Granth Sahib, linking it to the beliefs and practices of Sikhs. French– Madame Lawson will be teaching French. 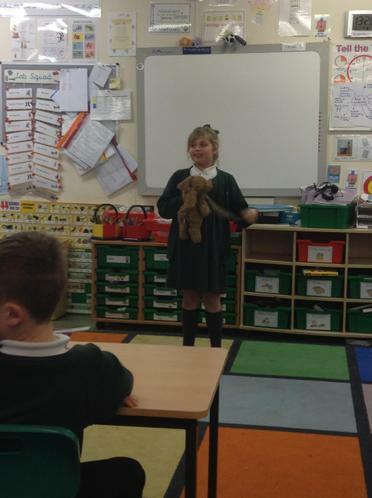 Her topics will include: my town and school, local area, simple directions, transport and school. Remember school starts on Tuesday! See you all then. Thank you all for your gifts and good wishes for the summer. It has been such a pleasure teaching you all. Stay safe, have fun and relax! We have made it to the end of a very busy, happy year together! 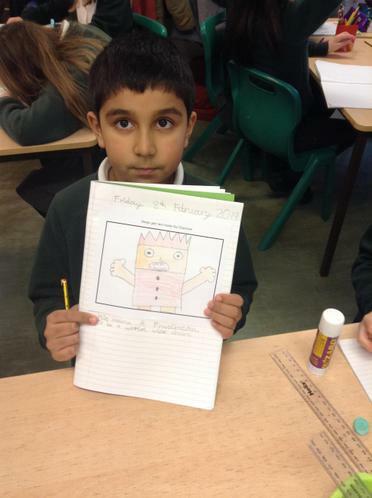 English: writing to persuade- advertise your friend! PE kits needed for Wednesday, then home for a wash! Last garden visit is Wednesday, bring a hat! Mrs Sullivan and I will make you a slice of toast and a cup of squash! Have a safe, happy and relaxing summer! It has been such a pleasure teaching you all! We have really enjoyed our 2 minute teacher presentations and hope to complete these on Tuesday after French. On Wednesday you are invited to come in to look at your children’s’ books 3.15-4.00. 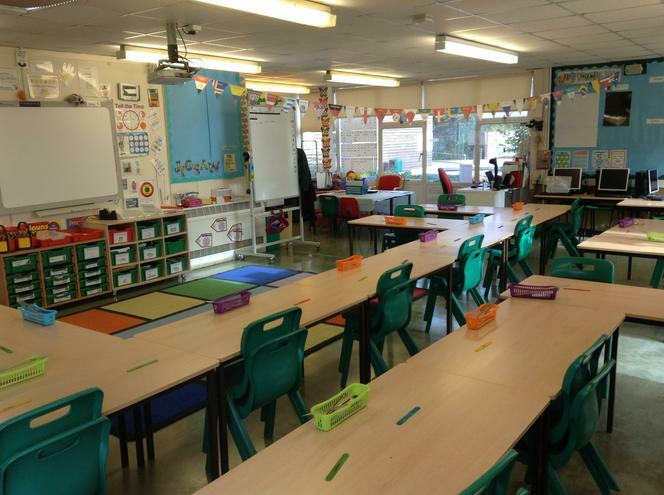 On Thursday children will be spending time in their new classes, with their next teacher and teaching partner. I cannot believe our time together is nearly over- it has been such a pleasure! What a heartfelt 2 minute teacher presentation. It made us all think about how we would feel! 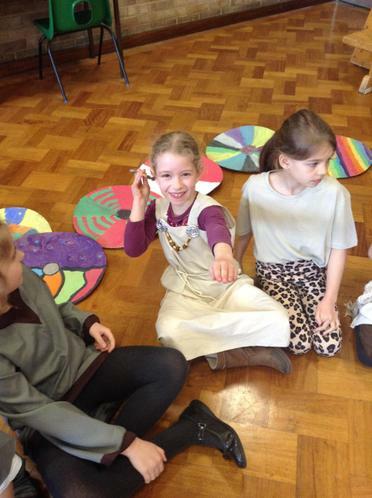 What a lovely time had by all for Round the World Day! Next week- don’t forget packaging due in Monday and your 2 minute teacher presentations. We will share these on Wednesday. Friday: Maths, English, Jigsaw and DVDs in the afternoon. Well done to this week’s Star! It’s going to be a hot week. Please have your water bottle and hat in school. JIGSAW: Changing Me, beginning to look at what we can do now that we couldn’t do when we were smaller. It looks like summer is here so please remember water bottles, hats and suncream tomorrow (if they don’t have all day suncream at home). Thank you to those who attended the Maths Workshop on Tuesday evening. Attached is a copy of the PowerPoint from the evening. We have already been enjoying a problem solving afternoon. We are looking at capacity in maths and reading and comprehension in English before we get back to the brilliant Iron Man. Don’t forget the maths workshop is tomorrow evening, come and join us to find out what we have been up to and how you can help your children. Garden on Wednesday- a bug hunt. Any Jazzy Jars still welcome, please bring them carefully to the office. A person who celebrates friendships and accepts people for who they are. This coming week is Maths Problem Solving Week. All the children will be completing activities in their class rooms. Reception up to Year 4 will also be taking part in a Problem Solving Workshop run by The Happy Puzzle Company. After school, in the hall from 3.15pm, on Monday only, you will have the opportunity to purchase games and puzzles for as little as 75p. Please see the web link below for a voucher to use when making your purchase on Monday, you can print it off yourself, to claim the Happy Puzzle Voucher, or alternatively collect one on arrival at the school hall on Monday. There is a Problem Solving workshop of Parents only on Tuesday at 6.30pm, please complete the return slip on the letter sent out previously to indicate your interest so that we are able to cater for the numbers. Jazzy Jars are due in tomorrow. There will be tables in the playground for you to put them on. As part of our fun today, we spent the morning creating clay mini- beasts! Congratulations to this week’s star. Someone who has worked hard throughout this half term’s Jigsaw Unit and understands the importance of relationships. Woodpeckers- we have nearly completed our school year. Just one half- term left! I have attached an overview of our timetable for after the holiday. Have a lovely holiday and a rest. School ends at 3.15 as usual tomorrow and we are back Monday on 5th June. Please may we remind you to send in a sun hat for your child for play times – this does not need to be a Bromet sun hat, one from home will be fine, please ensure it is named! You may also wish to apply sun cream to your child before school, or if they are able to apply it themselves, they may bring some in with them, for their use only. Please make sure your child has a water bottle in school every day and if they suffer with asthma, that they have an up to date inhaler in school at all times. Thank you, let’s hope it lasts! Another busy week has ended, we are ready for the next! Friday is our Well-Being day, the children will be participating in a variety of activities ending the day with a Mindfulness session with Mrs Pace. HALF- TERM We are back in School 5th June! Have a look there are some very useful resources on this site. Some great art work has been produced this week! For someone who is polite, respectful and hard working! For a real team player! Well done! We had a great time swimming and are looking forward to going again! ENGLISH: This week we will be planning and writing a sports report of our own. On Friday we will be studying the work of Hokusai in our ART lesson. See if you can research any of his paintings. HAVE A LOVELY, LONG WEEKEND! This person always tries to resolve conflicts- what a great friend to know! Enjoy your weekend, see you next week. For being a great friend and facing any challenge with a smile! I hope you have all had a lovely holiday. Maths: Time graphs and decimal fractions. English: New Unit, Most Incredible Sports. Science: Living things, food chains and habitats. 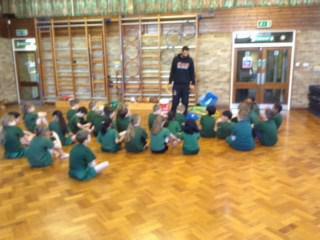 PE: All together until next week, then Year 4 will be swimming. Don’t forget to keep practising your time tables and division facts. Each week I will be updating Our Class Blog to give you information about the coming week and important dates to remember. This blog outlines the summer term ahead and what your children will be learning. GEOGRAPHY: We will learn to locate the world’s countries, using maps concentrating on their environmental regions, key physical and human characteristics. Describe and understand key aspects of physical geography, including:climate zones, mountains and volcanoes. ART: The children will improve their mastery of art and design techniques, including drawing and printing. They will begin to evaluate and analyse creative works using the language of art, craft and design. SCIENCE: LIVING THINGS,HABITATS AND FOOD CHAINS. 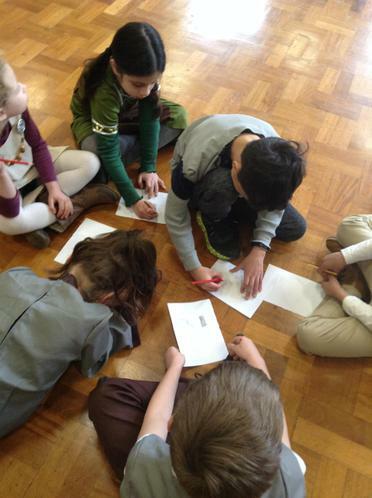 To construct and interpret a variety of food chains, identifying producers, predators and prey. R.E: We will turn our thoughts to: What makes a special book a sacred book? Why is the bible sacred for Christians? ENGLISH: Through our study of fiction, non-chronological report writing and poetry we will develop our writing skills, including the use of correct grammar, spelling, punctuation, vocabulary choices and text layout. MATHS:This term number will involve factors and square numbers. We will study addition, subtraction, multiplication and division methods. In measurement we will be looking at area and perimeter, mass and capacity. We will develop our reasoning and mastery through problem solving and mastery challenges. HISTORY: We will continue to develop a chronologically-secure knowledge and understanding of British, local and world history. We will use research and secondary sources to find out about the life and times of individuals in history. P.E: Year 4 will be swimming. 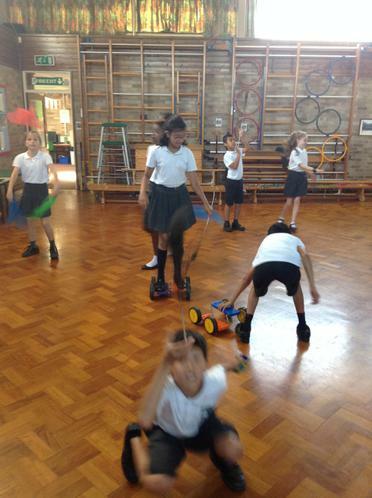 Year 3 will be joining Year 5 for P.E. Sessions. After half term we will have our weekly garden visits on a Wednesday. 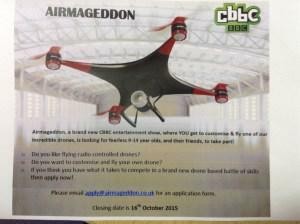 New school choir – sign up now! The choir will be open to all KS2 children with no auditions needed. Rehearsals will take place at school on Thursdays from 3.15 to 4.00pm with Mrs Williams and Miss Langley Higgs. The choir will provide a valuable opportunity for the children to develop their vocal technique and build confidence in their abilities, gaining knowledge of music theory and performance skills and, most of all, to enjoy singing together. Please sign up now on the School Gateway! Can you help with the choir? We are looking for a volunteer piano/keyboard accompanist for occasional rehearsals and termly concerts. We would also like to hear from any parents who want to help with the choir in other ways, whether by supporting children’s engagement during rehearsals, contributing ideas or helping to organise concerts – no musical experience necessary. If you are interested in any of these roles, or you know someone else who might be, please contact Miss Langley Higgs. WOW! WHAT A GREAT SHOW-Thank you to all who entered the talent show today.We know Bromet children are amazing, you were all so brave. 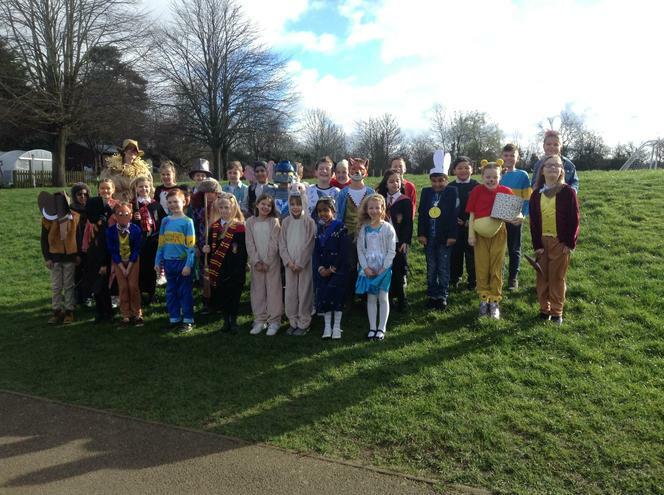 We raised over £240 pounds towards Comic relief- thank you for all your donations. It will be a busy week as usual next week just a few reminders. Easter Posters in on Monday- Easter Bonnets on Tuesday, in time for our Easter Parade. On Thursday we will be having an Easter Assembly and hold the Easter Egg Raffle. Friday is an assembly that includes the end of term awards, well done if it’s you. School finishes at 1.30pm next Friday. A great friend,to know and to have- Well done! We had a wonderful time learning about food origins and healthy eating on Wednesday. After which the children were able to make fruit kebabs and flavour their own water. No room for lunch as you can imagine. Thank you to all who walked with us. MATHS: Finishing off measure moving into formal methods of subtraction. 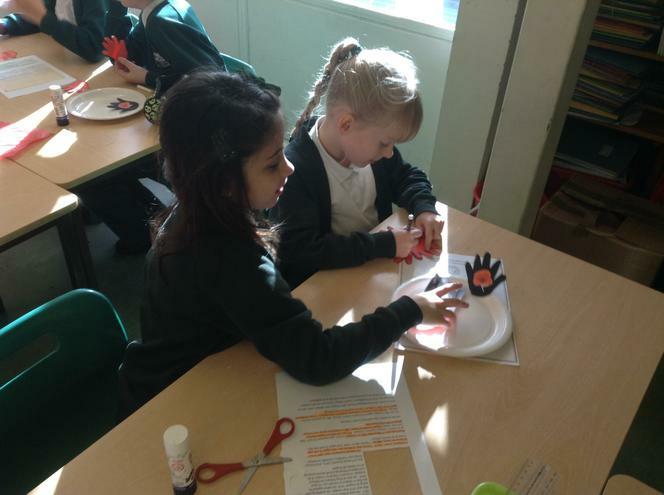 ENGLISH: Completing SPIDERWICK- next chapter, written by the children. SCIENCE: Separating solids and liquids. FRENCH: Last session for this term- directions. Pupil Progress Evenings Tuesday and Wednesday. KS2 Easter Posters due in Monday 27th March. Star of the week goes to a great tag rugby player! 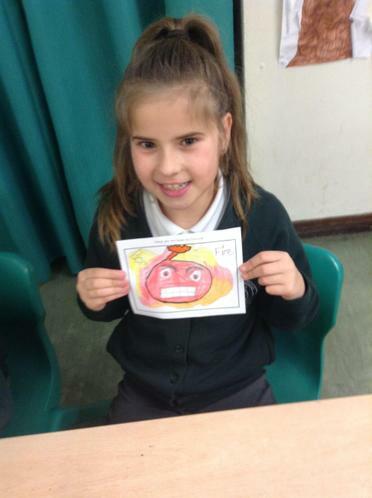 For a positive and healthy attitude to your learning- well done! Well done to someone who has listened carefully this week and used new ideas in their work! Another busy week ahead.Thank you for all you hard work this week I will enjoy reading your stories linked to our book week. English: Spiderwick and work linked to grammar skills. Science: Melting and cross- curricular writing. P.E. Tag rugby and Fitter Futures. As usual spellings and times tables and don’t forget…. TALENT SHOW HEATS on 6th and 10th March. Don’t forget it’s Thursday 2nd March! 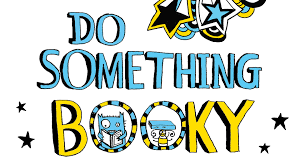 English: We will be doing lots of things ‘booky’!!! 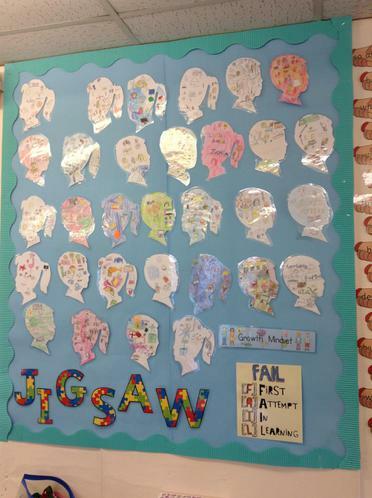 Jigsaw: The new Healthy Me unit begins. 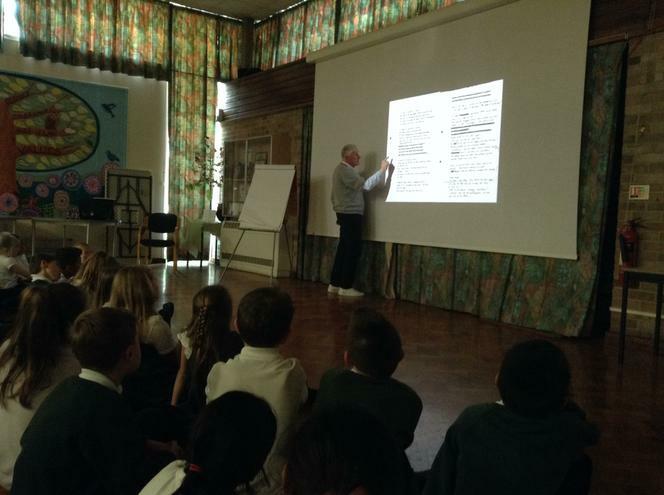 And of course….Spellings, Guided Reading and times tables! To someone who has been working hard to achieve their own goals. 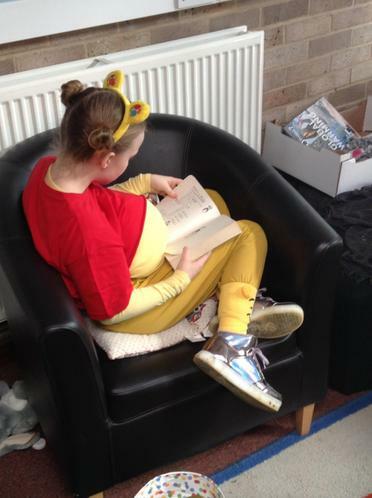 This year World Book Day is on Thursday 2nd March to celebrate reading books, authors and illustrators. It is held in more than 100 countries around the world. 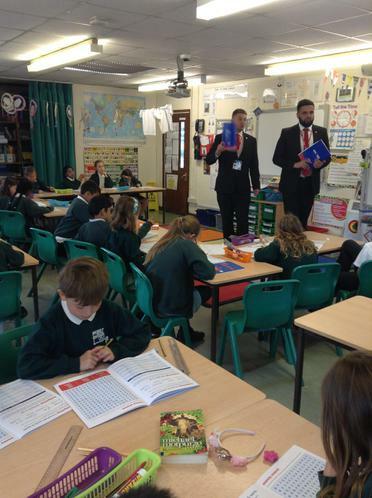 A key aim is to give every child in the UK a book of their own to keep. Every child is eligible to receive a £1 World Book Day Token which can be exchanged for one of ten exclusive £1 World Book Day Books, or if you prefer, use it to get £1 off any full-priced book or audio book. Tokens must be redeemed by the end of March 2016. We will be celebrating this great event on Thursday, 2nd March, by asking children to come dressed as their favourite book character. 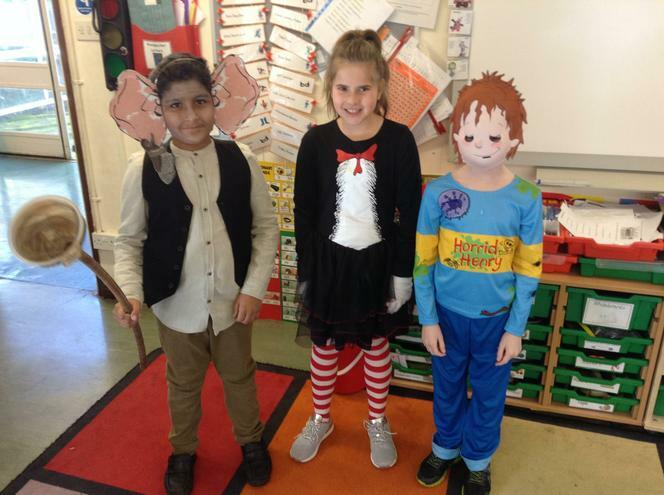 There will be prizes for the most original costume in each class and every child will receive their £1 World Book Token. 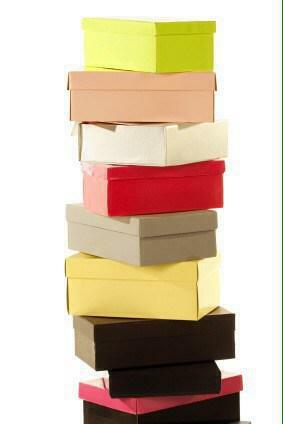 Hello, we are looking for empty shoe boxes for after half term. Any donations gratefully received! FOR A POSITIVE ATTITUDE AND A LOVE OF LEARNING! 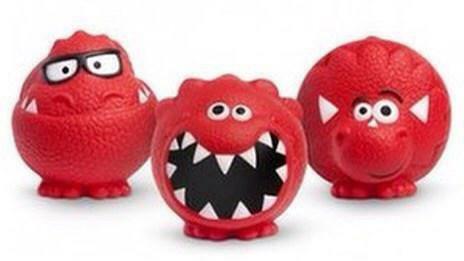 Wear something red next Friday and donate £1 to our local charity! Half- term begins Monday 13th February- have a good break! The children in Robin class are very creative! 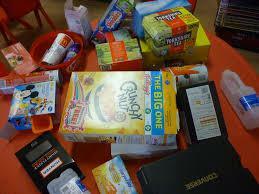 We need lots of boxes, plastic containers (not milk cartons), rolls of cardboard for our fantastic creations. 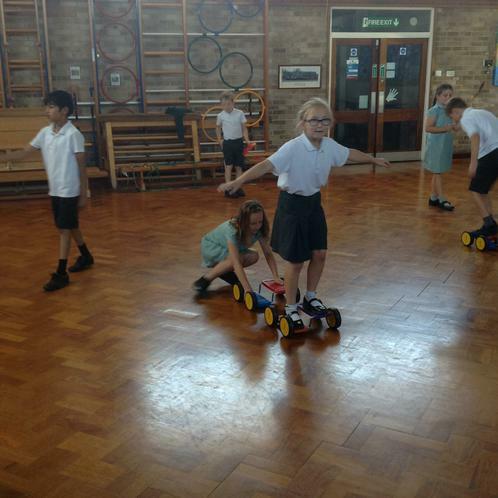 The children love to make and invent, last week we had Robots, Planes and many more inventive ideas! If you have any of these we would be greatly appreciative. Thank you to all of you that were able to attend our assembly on Friday. I am very proud of the children. English: Continuing the research stage of our report writing. Art: Story-boarding our textile design. Science:Solids, liquids and gases- linking to measure and volume. Don’t forget to walk to school on Wednesday- we will record our travel. Congratulations Woodpeckers, what a great example of working together as a group! A lovely assembly, well done! We are all looking forward to seeing you at our assembly tomorrow morning! 9am, please stay for a cup of tea or coffee if you are able. Our learning for the week ahead. SCIENCE: The difference in particles. Well done to someone who has worked really hard to understand different methods of multiplication. The Watford Junior Challenge Run, organised by Watford Harriers, will take place on Saturday 18 March 2017 at Cassiobury Park from 11.15am. There will be races for U8, U10, U12 and U14. Topic/Art: Looking at how pictures tell a story. 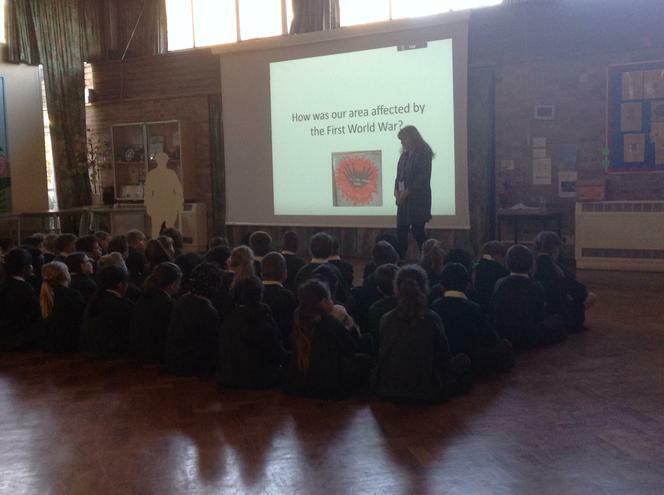 Assembly: The children are beginning to plan ideas, in preparation for our Class Assembly, on 27th January. Jigsaw: Thinking about our Hopes and Dreams. 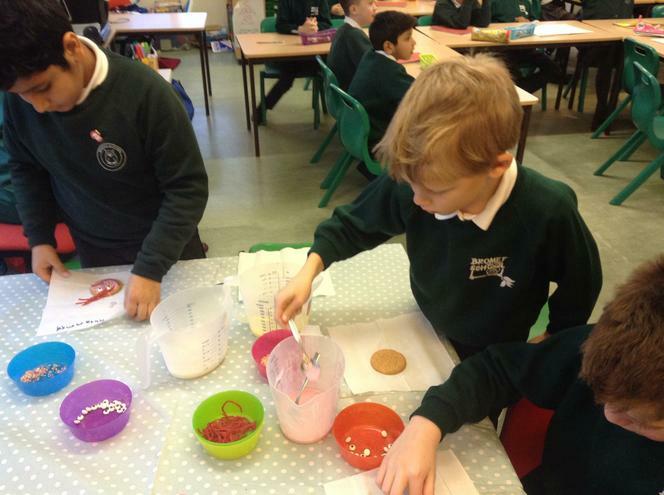 Science: Solids, Liquids and Gases and the difference in how the particles are packed. Spellings and Times Tables: Keep Practising! Well Done to someone who never gave up in Maths! Happy 2017 to one and all! Each week we will be updating our blog to give you information about the coming week and important dates to remember. Our first blog tells you about the term ahead. Your children will be learning. Maths: This term number will be finding factors and square numbers. We will study addition, subtraction, multiplication and division methods. In measurement we will be looking at converting units of time and using 12 and 24 hour clocks. English: Through our study of fiction, report text writing and poetry we will develop our writing skills, including the use of correct grammar, spelling, punctuation, vocabulary choices and text layout. Geography: To name and locate counties and cities of Europe, geographical regions and their identifying human and physical characteristics, key topographical features (including hills, mountains, coasts and rivers. Art: To improve our mastery of art and design techniques, including drawing, painting and textiles To learn about great artists, architects and designers in history. To begin to show an awareness of objects having a third dimension. Science: To compare and group materials together, according to whether they are solids, liquids or gases. To observe that some materials change state when they are heated or cooled, and measure or research the temperature at which this happens in degrees Celsius (°C) To identify the part played by evaporation and condensation in the water cycle and associate the rate of evaporation with temperature. Computing: To explore simulations, investigating the structure and exploring how they might be programmed. To decompose tasks, creating and debug algorithms and understanding how algorithms support the programming process. R.E. To understand why it is important to share food. To know how food is shared as part of Christian Worship. To know how Jesus shared his last supper. 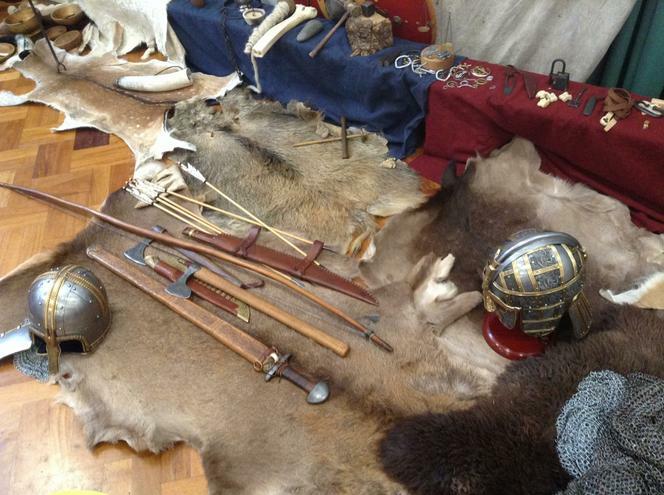 History:To use a range of sources to find out about the history of the Anglo Saxons. To discuss and understand the meaning of the terms ‘invaders’ and ‘settlers’. D.T: To select and use a range of appropriate tools with some accuracy e.g. cutting, joining and finishing. To select fabrics and fastenings according to their functional characteristics e.g. strength, and aestheticqualities e.g. pattern.To test their product against their original design criteria. Music: To develop skills relating to composing, performing and listening. To explore rhythmic pattern. Jigsaw: Hope and Dreams. to share our hopes and dreams and discuss and plan ways we can achieve these using a growth mindset approach to tackling a challenge. YOU ARE ALL STARS AND HAVE WORKED HARD AND NOT GIVEN UP. WE ARE LOOKING FORWARD TO NEW CHALLENGES IN THE SPRING. MONDAY: 1.45pm Church Performance. 6.oo pm, return to church in school uniform for 6.30pm performance.7.15 collection. Tuesday: Sandwich making- carrier bags needed for books. Wednesday: Awards Assembly. 1.30pm Finish for Christmas. WISHING YOU ALL A VERY HAPPY AND PEACEFUL CHRISTMAS BREAK. SEE YOU ALL ON 9th JANUARY. Week 14 – Nearly Christmas! Amazing art paying attention to detail! Next Week- Please return permission slips for Friday and Monday walk to church. What a busy Christmas- filled week ahead. Monday: Writing up our Spooky Tales for display and JACK and the BEANSTALK. Tuesday: Maths test on measure and making Christmas Cards in the afternoon. Wednesday: Christmas Dinner- Wear your Christmas Jumper Day! 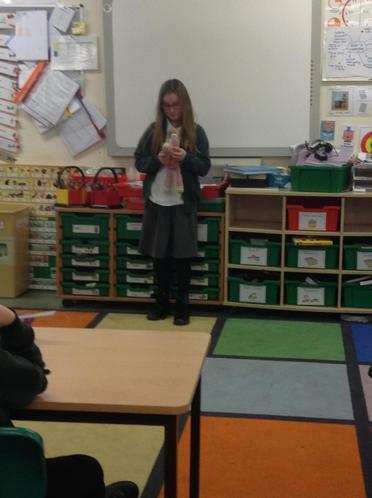 Thursday: DT – Sandwich making and watching KS1 Dress Rehearsal. Friday: Dress Rehearsal to school- Church rehearsal in the afternoon. What a great team effort at The Speed Stacking Event. We are through to the finals. Wishing our team of 8 GOOD LUCK on Tuesday. ENGLISH: TALK FOR WRITING- A SPOOKY TALE. X TABLES: SOME WILL BE STARTING DIVISION AFTER CHRISTMAS. WELL DONE! 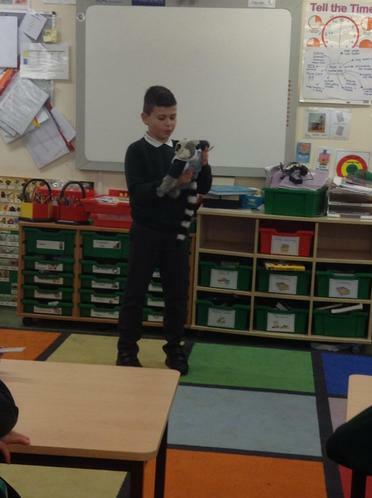 An enthusiastic learner during our Science week. What a great time we all had during Science Week. 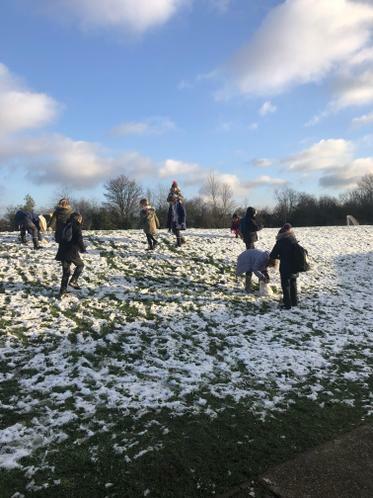 We were very busy and the children managed really well, when moving around the school to take part in a variety of activities. Well done! PLEASE RETURN YOUR PERMISSION SLIP ASAP AND LET ME KNOW IF YOU ARE AVAILABLE TO HELP- MANY THANKS. English: This unit will involve the children writing and telling a story based on a short story they have listened to in class. Art: We will be looking at the work of Hubert Herkomer the famous proprietor of The Herkomer Art School. Congratulations a great poet in the making! This week it’s our Science week with lots of additional activities and visitors linked to Science. On Monday we have Science workshop in the afternoon. On Wednesday a dentist will be visiting us to talk about their job and keeping our teeth healthy. 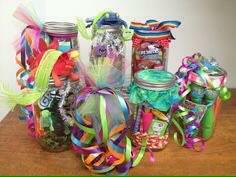 On Friday there will be a Recycle Workshop in our class for the afternoon. Another busy week ahead. Don’t forget school photos on Friday! Year 5 and myself off to Woodrow until Wednesday. The children thoroughly enjoyed The Drum Workshop on Friday and gave a fabulously loud performance at the end of the day! Well Done! Well Done! A times tables success. Computing: Welcome to the Web. For having a real Growth Mind-set and embracing the ‘I cant do it…..YET!’ approach, when facing a new challenge. We hope you have had a restful half- term and are ready for more learning together. English: Poetry- Wordsmith will be loaded at the end of the week. Times Tables: Challenges continue and get trickier for some- well done! 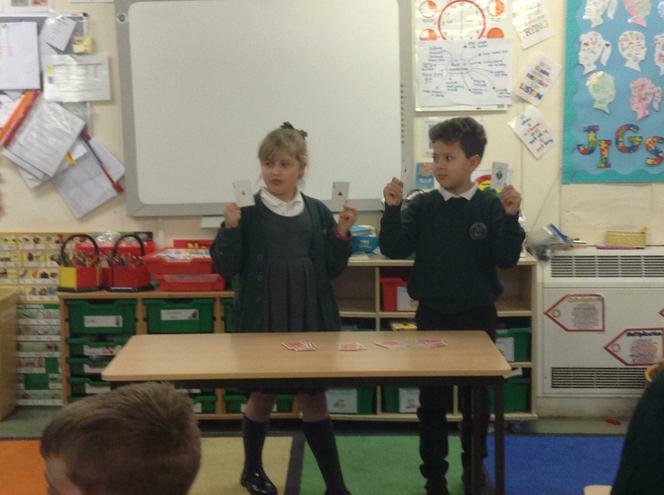 P4C: 4 of our Year 3 children will be taking part in The Challenge Cup next week- TBC. Thank you to all of you who came to parents evening, it was lovely to meet with you. 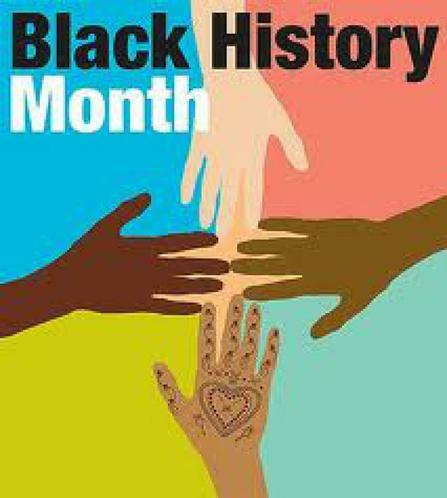 Special Event: On Friday we have been invited to take part in a Drum Workshop, linked to Black History Month. The children will all take part with their individual class groups and then be treated to a performance at the end of the day. GREAT WEEK AHEAD- WORK HARD! WEEK 7 Nearly half term! We are looking forward to meeting you on Tuesday or Wednesday if you are able to attend Parents’ Meetings. Well done to someone who is always striving to improve their work. 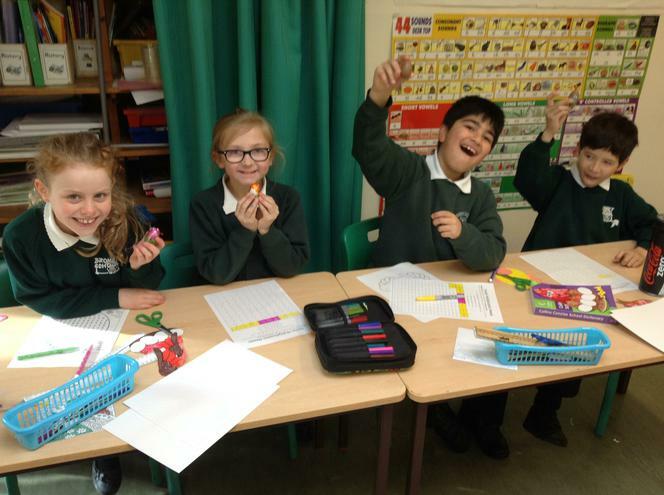 Maths: Finishing fractions and fun with Roman Numerals. English: Science writing and book blurbs. Science: Writing up our investigation. Computing: What is the internet? HALF-TERM- Stay safe and have a great break! For improved listening and helping others- Fantastic News! Thank you to those of you that signed up for Pupil Progress Evening. If you were unable to do so please come and see me so we can arrange an appointment. English: Grammar linked to Christophe’s Story- allocated chapter 1-4 is on Wordsmith. P.E. Speed Stacking and Gym- STOMP WORKSHOP! Times tables against the clock. Test yourself in 10 minutes. R.E. Different religious beliefs continued. Work hard and enjoy our week. Well done to someone who understands the importance of editing to improve a piece of work! Many Congratulations to Yellow House Team. A great day and thank you to all of you that came and supported your children and the school. We raised nearly £300 for Macmillan too- AMAZING! Week Ahead: There will be a work experience student with us this week. MATHS: X tables all week – focus 6 and 9. ENGLISH: We begin a new unit. The story of a boy who has come from Africa as an asylum seeker. A good link to Black History Week. BLACK HISTORY: Martin Luther King. 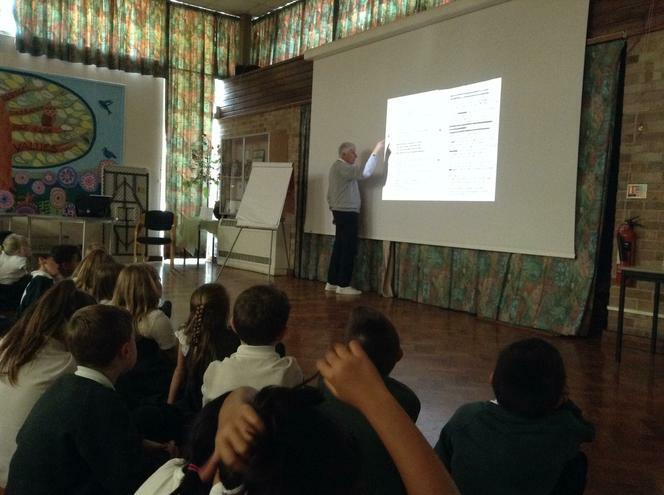 COMPUTING: Making rules to stay safe online. 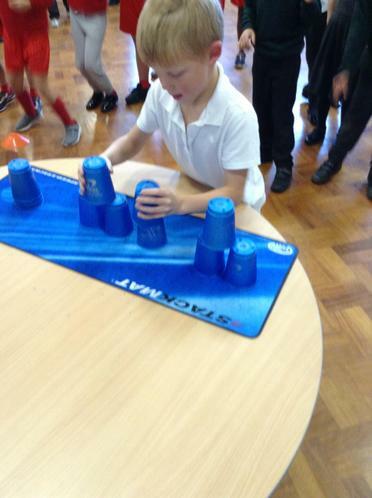 PE: We will be starting our Speed Stacking in preparation for a competitive event- more info to follow. RE: We continue to look at different Religious Leaders. SPELLINGS AND TIMES TABLES CHALLENGES CONTINUE. Keep working hard, challenge yourself and have a great week! 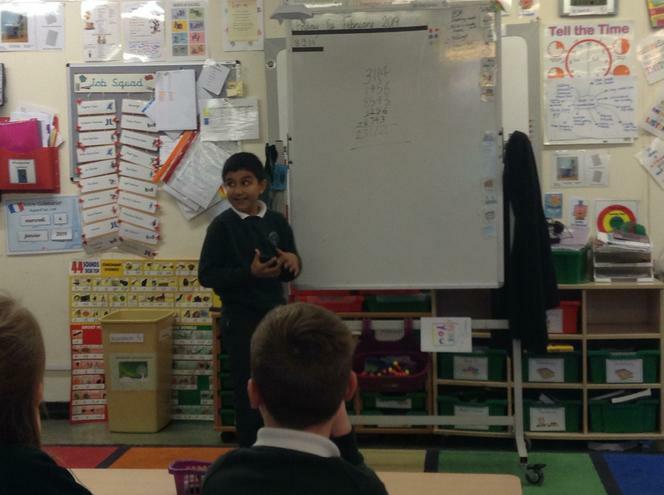 Great Maths explanation to the rest of the class- well done! Thank you for your donations- we had a lovely Harvest Celebration last Friday. REMINDER- Keep your fingers crossed that the weather stays kind. Sports Afternoon and MacMillan Coffee is on Friday 30th September. Please come along and support your children. English: We will be planning and writing a biography as this unit comes to and end. Congratulations- incredible effort across all your learning! Thank you to all of you that attended Meet the Teacher. If you were unable, a pack has been sent to you, via your child. Please come and see me at the end of the day if you have any further questions. HARVEST DONATIONS THIS WEEK PLEASE. MANY THANKS. Maths: Addition and subtraction skills- estimation and inverse. English: Planning, editing, re-writing and improving our work- A diary entry. Spellings: Dictation test on Tuesday. P.E and R. E: Continues with Mrs A.
Geography: Direction and co-ordinates linked to mapping skills. Times Tables: Speed Challenges begin this week- Good Luck. Have a great week- I hope you are having fun with your projects! 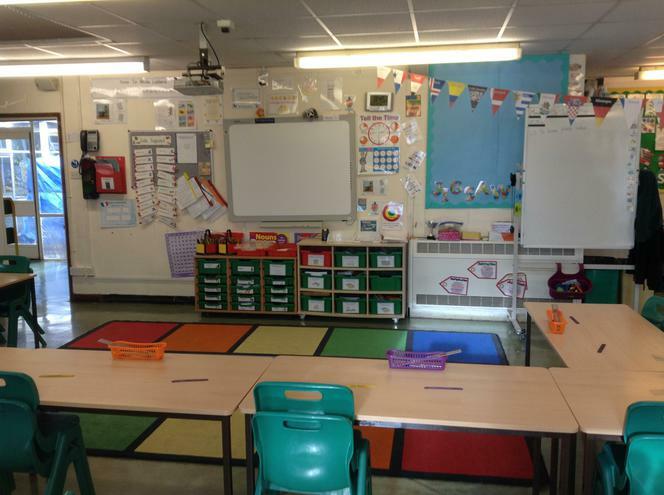 Meet the Teacher- Room 4 ( Woodpecker Class ) 3.30pm Wednesday 14th. 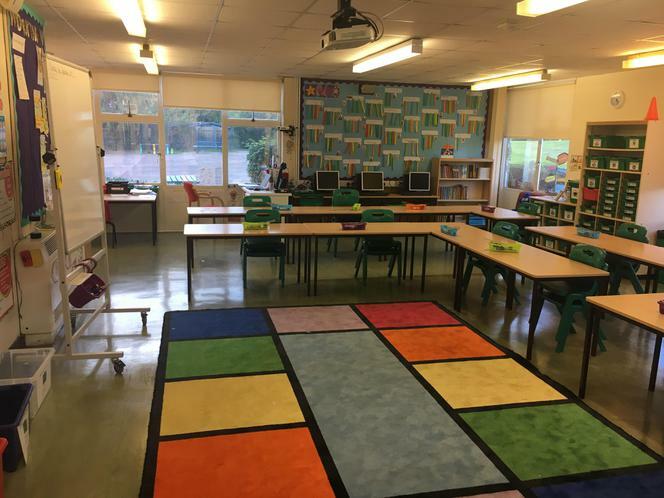 Welcome to our Class Blog. This is where you will find information about our learning and other messages that you may find useful. 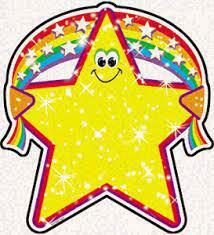 Great news, our first Star of the Week has been announced. 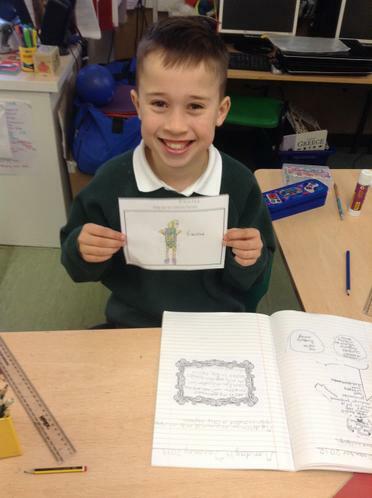 A pupil who has shown great resilience when tackling new maths concepts. Please provide an art apron for your child- this can be an old oversized shirt or tee- shirt. MATHS: Place Value, Addition and Subtraction – Reasoning. MENTAL MATHS: Place Value Problems. Times Tables. ENGLISH: Biographies and we will be celebrating Roald Dahl’s 100th Birthday on Tuesday. GEOGRAPHY: 8 points of the compass. P.E. Please bring in a plain pair of track suit bottoms, as the weather gets colder. ALSO: We will be visiting the garden on Wednesday afternoons this half term. Hopefully the weather will be kind to us. Only 2 weeks left- we cannot believe where this year has gone. D.T. Circuits- link to Science. Last swimming for year 3! Have fun. Geography: Human and physical features of Germany. Thank you for being a great school council rep! FANTASTIC SINGING AT ST ALBANS! OLYMPIC ATHLETE ASSEMBLY THIS FRIDAY. A GREAT BIG THANK YOU FOR COMING TO SUPPORT OUR FETE ON SUNDAY! Well Done! Lovely to see your hand up so much more! This week- lots to remember. English: Writing mini sagas for Young Writers Competition. Music: Rehearsal to rest of school. No swimming on Friday- double session again next week. 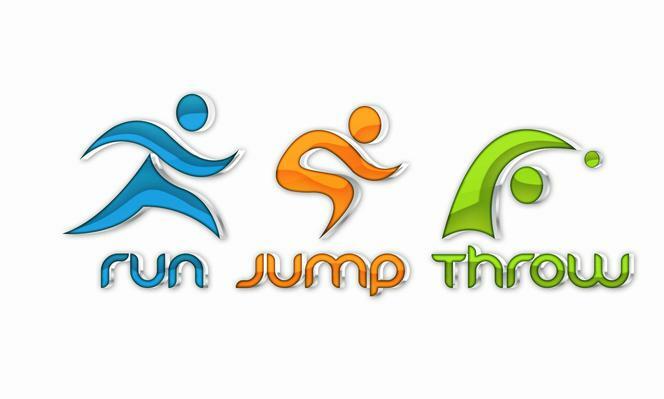 On Monday we will have an Olympic themed session led by the coaches from Game-on. Material for Greek morning due in. On Tuesday we will be practising and performing our singing to KS1 and KS2. Thursday is Chorister Afternoon: Depart at 1.30 return at 6.30- Please provide snack and drink. We look forward to seeing you there at 5pm. 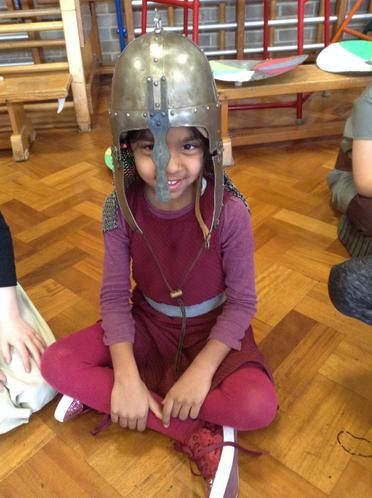 Friday is Greek morning, we will dress up, food taste and make thumb pots using Greek designs. Year 6 Enterprise day, this Thursday. English: Word detectives and letter writing. Art: Life cycle of a plant. Times tables and spellings of course! Game On- Euro Workshop on Tuesday- P.E Kit needed. WEEK 7. Our final half-term! A reporter in the making!! Welcome to week 7, the start of out last half- term of hard work and fun together. I hope you have had a lovely break! School starts Tuesday this week. 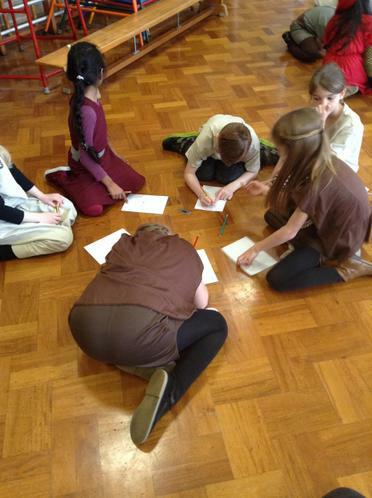 Maths: Multiplication and division, with Mental Maths and a problem solving challenge, added for brain exercise. 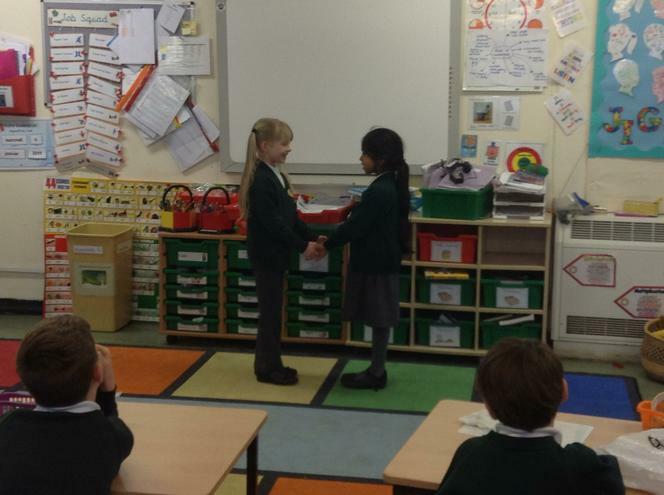 English: A newspaper report about our holiday, ending with a debate at the end of the week! Science: Pollination and life – cycles. History: Home life of Ancient Greeks. Music: Singing with The Chorister Event- letter this week. P.E: Team games. Hopefully the weather will stay fine! Good luck to all taking part on 27th May! Try this web-site, we will be too! We will be writing letters to send to a school in Italy- we hope to get some replies before they close for summer. On Monday we will also look at the work of an Italian Artist. On Tuesday Woodpeckers will be food-tasting French food with Madame L.
On Thursday we will learn some Spanish. On Friday we will look at flags and customs from some other countries. Throughout the week we will be practising our song to sing in Friday’s sharing assembly. Don’t forget non-uniform could be a national costume! A great week ahead and have a happy half- term! Reminder- Hats please, the sun has been shining! MATHS: Shape, reflection and properties. ENGLISH: Continuing with newspaper report features and writing. RE: Sikh beliefs and RAMADAN WORKSHOP ON FRIDAY. PE: Gaelic Football and swimming.- Well Done to all those representing Bromet in St Albans. HISTORY/ART: Painting clay theatre masks. SCIENCE: Writing up cress investigation. A maths problem solving superstar! Well done. This week: Good Luck to any brothers or sisters in year 6 taking their SATs Tests! Maths: Negative numbers,addition and subtraction of money. English: Looking at features of text types, Incredible Sports on Wordsmith and writing Greek Myths. 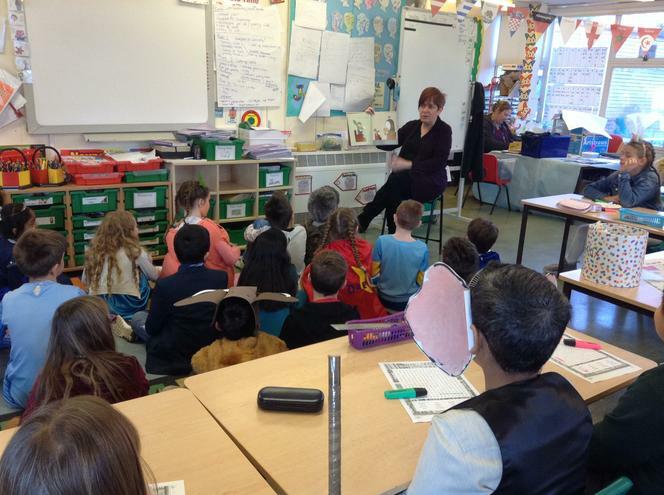 History: Recap of the importance of theatre and clay work to make our masks. Science: Recap and water transportation in plants; Checking how our cress and flowering plants are growing as part of our investigation. P.E. Swimming and Gaelic Football. Music: Singing with Mr Martin. Spellings and times table challenge as usual. Hopefully we will have plenty of sunshine this week too, so we can get outside and keep healthy, running our mile. Lovely Day for Gaelic Footie! Year 3 are enjoying swimming each Friday. Maths: Place Value and times tables. English: The Most Incredible Sport. A new unit that looks at the features of newspaper report writing. PE: Gaelic football and swimming. And finally – a great shape poem- Well Done! We really enjoyed all the celebrations for The Queen’s 90th Birthday. 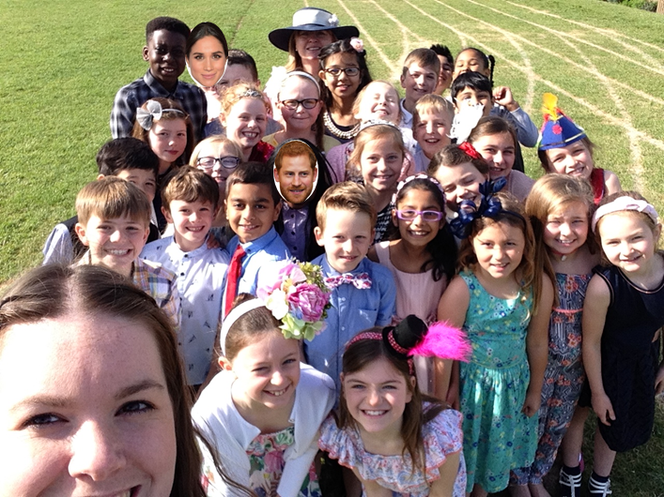 The children took part in Maypole and country dancing, then in the afternoon we shared a cake and drink and sung happy birthday to our very own cardboard Queen. 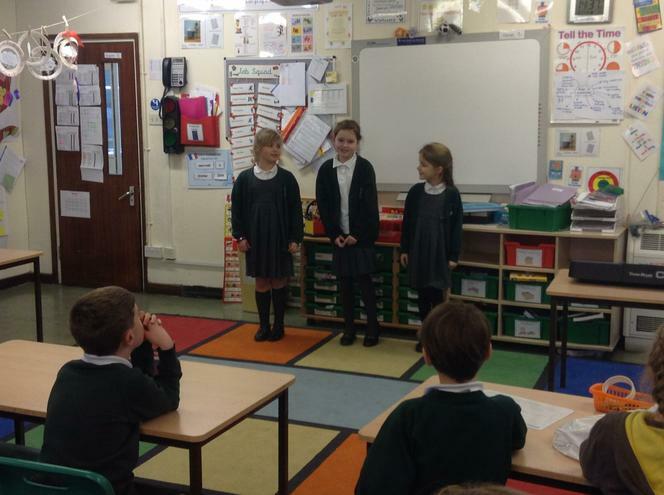 Woodpecker Class also began learning songs for The Chorister Event taking place at the end of June. More information to follow. Maths: Area and Perimeter. Nrich Maths Challenge. English: Poetry- children will be drafting, editing and improving their own poems. History: Athens and Sparta- Ancient Greece. PE: Swimming (year 3) and Gaelic Football. Garden visit on a Friday (year 4). We are nearly there! The end of our second term together. We have had a great term and I am so pleased with the children’s’ behaviour for learning. A big thank you to all of you for your support with home learning and reading with your children. Thank you for coming to pupil progress evenings, it was a great opportunity to talk with you. 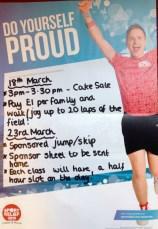 Your generosity has already raised over £350 for Sport Relief, with sponsorship money still to add. Next week, the last week of term, is a creative week at school, the children will be participating in a variety of creative arts. School ends at 2pm on Friday. 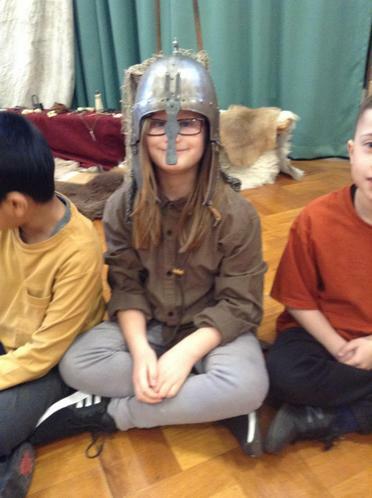 DONT FORGET Viking Day is WEDNESDAY, we are looking forward to seeing all your costumes. HAVE A SUPER EASTER WEEKEND we will see you back in school on Tuesday. Congratulations. A carefully completed oil pastel. Art: Linked to home learning- Gambian art. English: Iron Man. Book loaded on your Wordsmith logins. Maths: Statistics, including time line graphs. 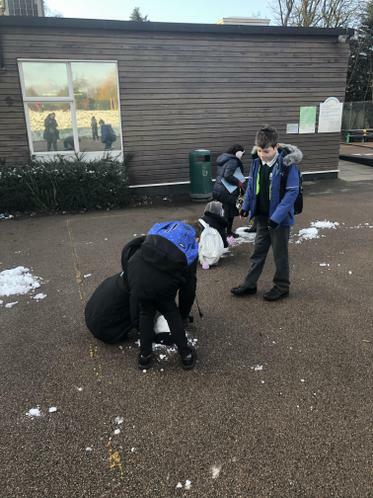 Science: Write up of our permeability investigation. Library Books, last week for this term. Viking Workshop return slips/ Year 3 swimming return slips. Keep collecting your sponsorships! Not long to go! A great week in Woodpeckers, well done everybody. 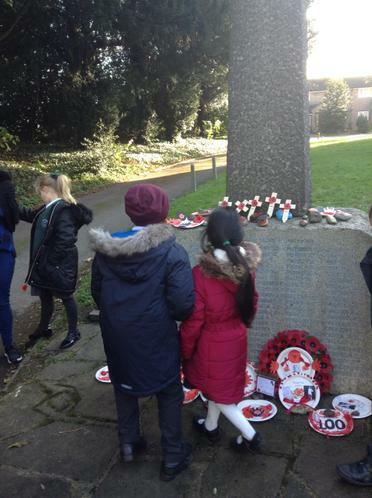 Thank you to those children from Year 3 who helped take part in Clean for the Queen on Friday. We were very lucky with the weather and removed bags of rubbish from Oxhey Park. Thank you to the staff from John Lewis too!! Maths: Addition and subtraction problem solving. English: New Unit- based on The Iron Man. Music: Notes B and A on the recorder. Congratulations to this weeks star! Everybody enjoyed the basketball workshop. 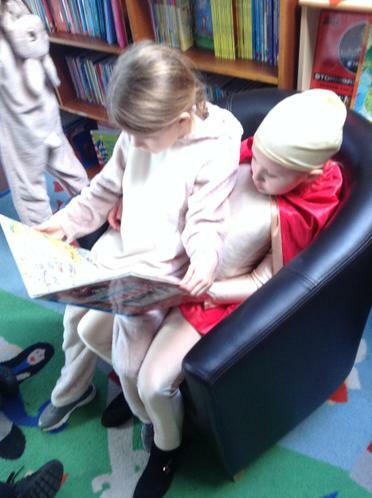 Don’t forget this week is World Book Day. Maths: Addition and subtraction- 4 digit numbers. 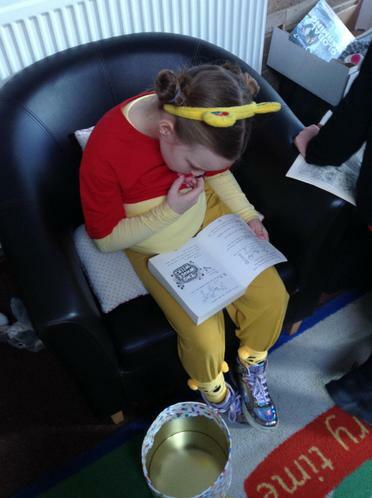 English: Activities linked to World Book Day. P.E. Rock and Roll/ Swimming. Music: Recorder and weekly song. Mothers day sale Wednesday afternoon. 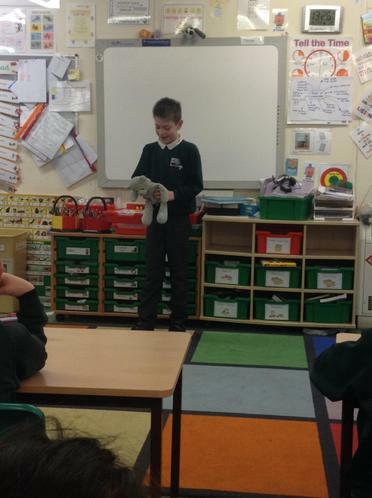 This weeks Star shared some great ideas for non- fiction writing- thank you. And finally…. 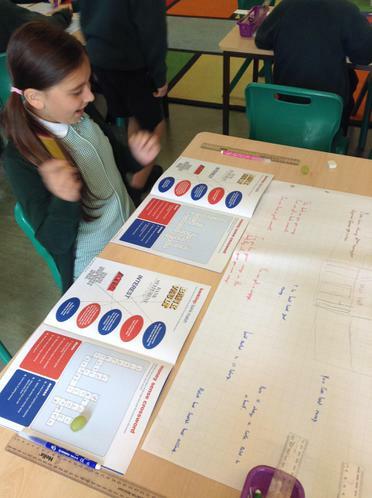 Year 3 designed posters to accompany their non- chronological reports. Maths: Measure: Continuing to convert and round lengths. Times Table Challenge: 8mins!!! Keep trying. English: Planning our report for Friday’s extended writing. Art: Sketching from different aspects. Music: Learning the parts of the recorder. Geography: Mountain posters to share our learning. Great use of vocabulary! Well Done! Have a great holiday – See you all on the 22nd February! A Week of Celebrations ahead. On Monday we will be looking at this year’s Chinese New Year Celebrations, followed by a discussion about why we eat pancakes on Tuesday! This week’s British Value is Diversity. Maths: Fraction problems and length. English: More information to support our report writing. 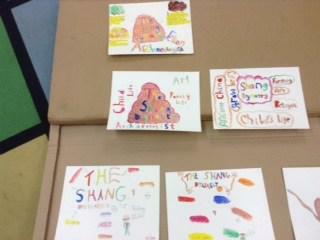 The Shang Dynasty. Geography: Mountain ranges in Europe. Science: An investigation into the hardness of rocks. History: Boats to Float!- This will be Tuesday. Watch out! The Vikings are coming. Mental Maths: 12 x 12 multiplication and division. – Congratulations to our fraction expert this week! And a great half term to you all! Congratulations- fantastic times table recall! Maths: Fractions and of course speed tables! English: New Unit, we will be using the history of the Shang Dynasty of China to develop a non- chronological report. History: Why the Vikings became settlers. 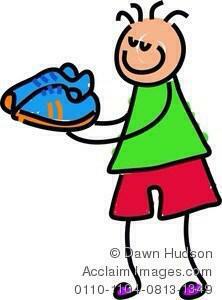 P.E: Handball, swimming- don’t forget your kits. SEAL: Setting a personal target and discussing how we might achieve these. 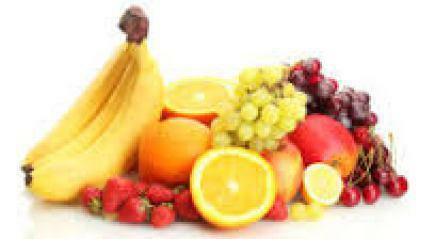 Don’t forget we will be taking part in The Fruit Workshops. Year 4 on Thursday and Year 3 on Friday afternoons. A CLASS FULL OF STARS- WHAT A FANTASTIC ASSEMBLY, WOODPECKERS. WELL DONE! English: A letter to the author, planning a setting and character for our own chapter of Spiderwick! Maths: Revision of Roman Numerals and multiplication skills, including formal multiplication. 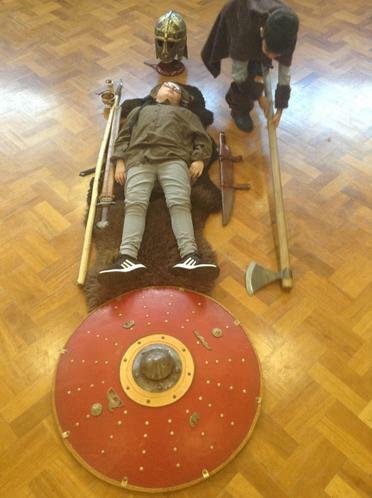 History: A bit of creative work to make a mini Viking. Science: Using chocolate to learn more about igneous, sedimentary and metamorphic rocks- wait and see! I hope you had a chance to have a little fun in the snow! Well done- excellent use of punctuation when writing direct speech! It was lovely to see all the children enjoy their swimming- whatever stage you are at in learning this important life – skill, it was smiles all around! Well Done! Maths- we will be looking at acute and obtuse angles. 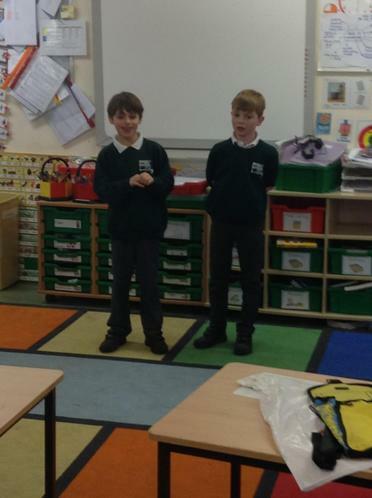 English- we will be looking at more grammar and punctuation and practising our assembly for FRIDAY 9AM! 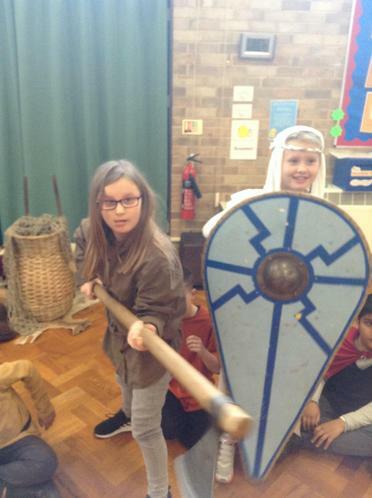 History- more sharing of homework and learning about THE VIKINGS. Geography- we will be learning more about how mountains are formed and begin to understand that there are different types of mountain forms. Science- to learn more about igneous rock formations, in other words volcanoes. Computing- developing our success criteria for our presentations. D.T. Cooking- Rock Cakes, of course! Spellings, x tables and mental maths. Please make sure you have your library book in for Monday and your slips for The Fruit Workshop and Spiderwick DVD are returned- Thank you. Monday: We will be looking at grammar skills and working with negative numbers in Maths. 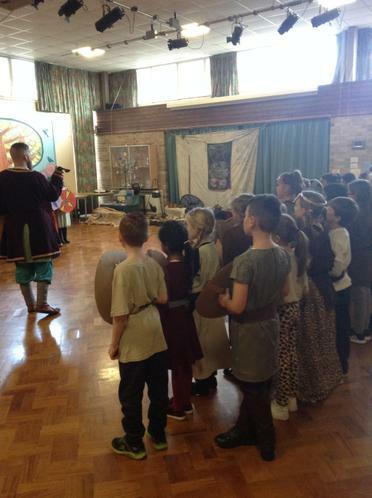 In the afternoon we begin the introduction to our Viking topic. Thank you to those of you that have already completed some research. Tuesday: French begins again for this term. In English we continue with The Spiderwick Unit. In the afternoon we will discuss the different layers of the earth and rock formation. Weather permitting we will take a walk around the school to look at the types of rock in our own environment. Wednesday: Maths involves estimation and using the inverse in formal methods of subtraction. Our English continues. In the afternoon we will be using an atlas to look at and locate mountain ranges of the world. Thursday: Computing will continue looking at making TV presentations, we will consider success criteria for good presentation. PE and RE in the afternoon- Don’t forget your PE kits need to be in school everyday! Friday: Maths involves estimation and using the inverse in formal methods of subtraction with numbers of up to 4 digits. In English we will compare The Spiderwick Chronicles to an extract of another book set in an imaginary world. Swimming in the afternoon. 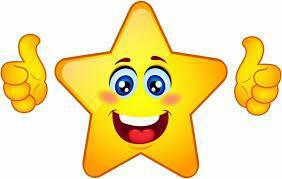 Finally, congratulations to our Star of the Week- excellent times table recall! Welcome back everyone we hope you all had a good break and a Happy New Year. Welcome back to all. We will be starting a new English unit and revisiting place value in Maths. Our Science, Geography and History Projects are new this term. Rocks, Mountains and Vikings respectively. Please remember to return your PE Kits and Water Bottles. You will also continue to need a coat for outside break-times. Swimming starts next Friday, January 15th, for all year 4 children. Year 3 will be completing tasks set in school. We would also like to welcome a new pupil to Woodpecker Class and of course our new Head Teacher to Bromet. We know you will both be very happy here with us. Congratulations – a great poet in the making! WE ARE THE HEAT CHAMPIONS- WOODPECKERS WON EVERY ROUND AGAINST ALOT OF COMPETITION! BOTH MRS Bs, MISS L and I are very proud of you all! Monday: Rehearsing and starting our ‘Sounds Spooky’ in English. Maths is revision of time. Wednesday: We will begin making our Christmas cards and calendars. It’s Christmas dinner and jumper day. Thursday: Dress rehearsal at the church- thank you to those who offered to walk with us. 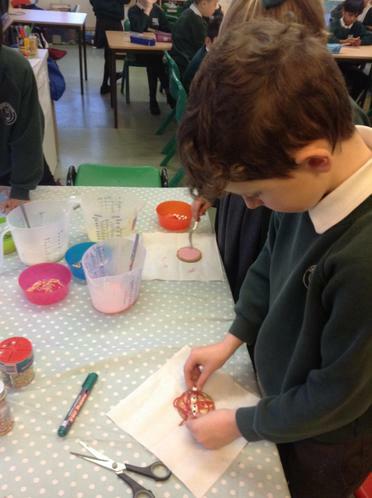 Friday: More singing and Christmas Creativity! Well Done- such a positive attitude to Maths from our Star of the Week! Monday: Singing,Speed Stacking practise, Maths= time and poetry composition. Tuesday: Singing, Speed Stacking Practise, Maths – time conversions and poetry writing! Wednesday- Heat 1 in the morning- GOOD LUCK TO ALL! 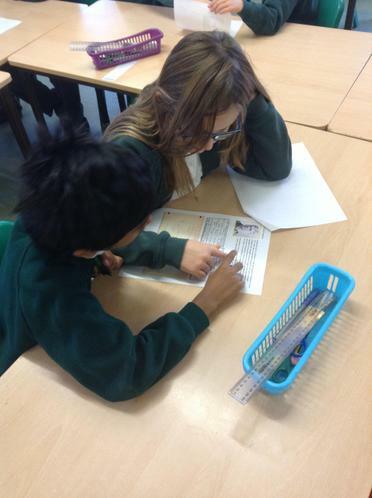 Thursday- More work on time in Maths- Editing and writing our poems in English. DONT FORGET! Year 6 Enterprise Event- from 2.30 pm. 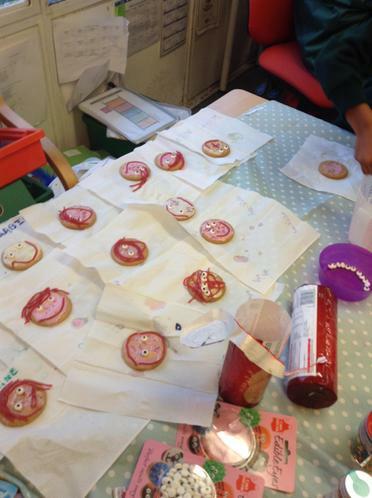 Ration Tea- Party- The children have been busy baking for you, it has smelt delicious all week. Friday- Final Poetry and maths for week. We will be practising for our Christmas concert too. If your child has a reading part please help them to rehearse they do not need to learn it off by heart but a loud , clear and fluent voice is needed! – Thank you. FINALLY- WE HOPE TO SEE YOU AT THE WINTER EXTRAVAGANZA THIS SATURDAY. Congratulations to our poetic star this week! 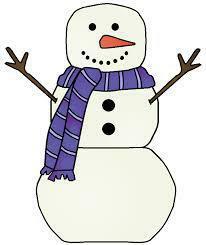 We will be busy learning our Christmas Songs this week, lets hope we are all in good voice. Thank you to all who came to our jumble on Saturday- don’t forget The Christmas Extravaganza is our next event. We have received your generous donations for our hamper raffle but please continue to donate if you are able. Woodpecker theme is Cheese and Wine. Maths: We continue to look at formal methods of multiplication and in English are coming to the end of our poetry unit, which we have all enjoyed! The Pizza making was a great success- I hope you were given a taste, the children demonstrated some of the skills they had been developing this term. Kneading, rolling, spreading, chopping, slicing, considering food groups and of course eating! A true Star of the week, who showed real determination when trying something new! 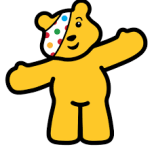 Thank you all- £272 for Children in Need. 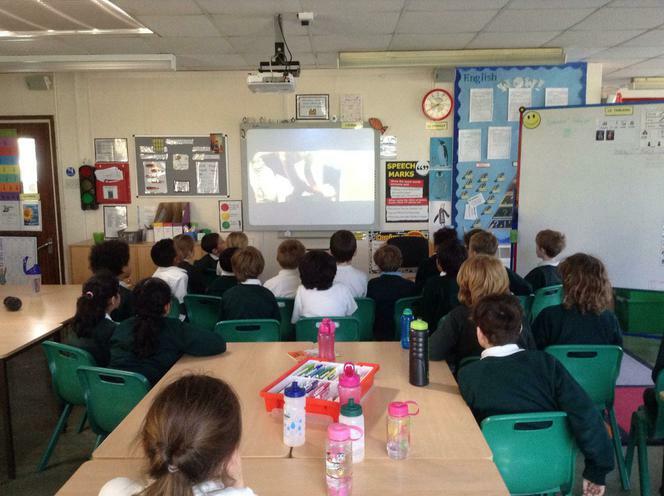 Film Night raised over £450. Week ahead, some things to look forward to. A fantastic Star this week who has such a positive attitude to all learning. P.E. Basketball , yoga and speed-stacking! Welcome back- We hope you all had a good half-term. We spent a great day at the museum. 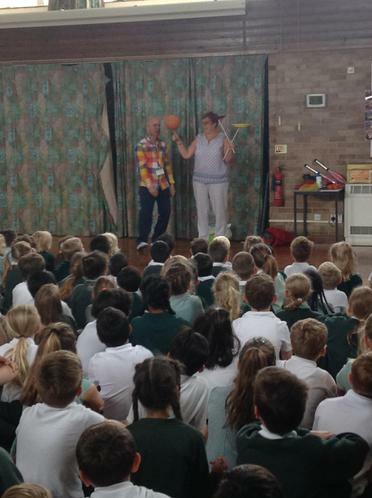 The staff commented on the behaviour and enthusiasm of the children. Well done to you all. Well done to our star. A great piece of homework. The posters were all fabulous and we had a good time evaluating each other’s work. Science- Forces investigation, write up next week. 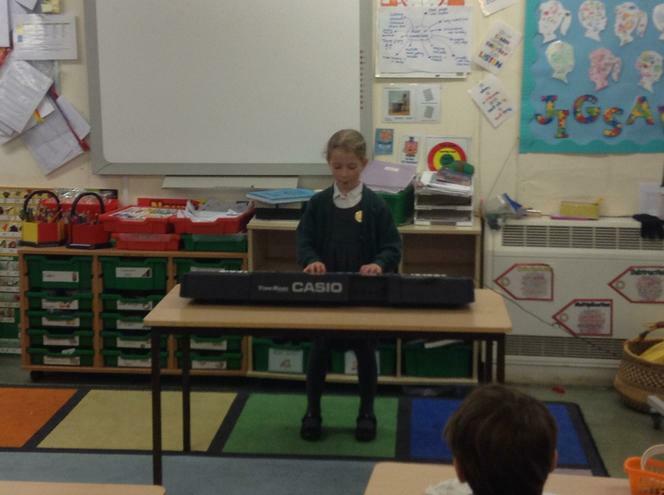 Music- Miss Lawson teaches music this half -term. P.E.- We will be learning the benefits of Yoga on our core strength and continuing our running, weather permitting! Topic- Local area study continues. Homework- As discussed at Pupil Progress, there will be an arithmetic and handwriting task included each week. Don’t Forget- PHOTOS 5th November. WOW! What a great event- you helped to raise over £450. Thank you! 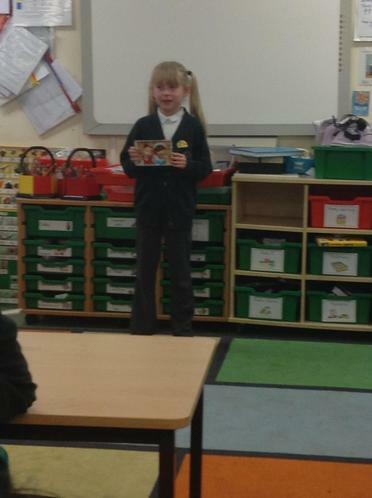 A well deserved award, to someone who has shown great confidence with their reading this week. English- Last week of Christophe’s Story, letter writing task to complete at the end of the unit. Geography- Weather permitting some compass/ orienteering fun! Don’t Forget- All single consonant spellings. 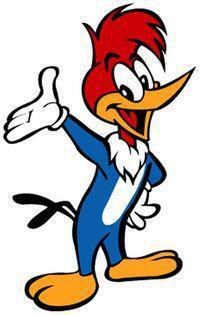 Have a great week Woodpeckers! We hope you and your families have a restful holiday. Mrs W and Mrs B! Congratulations to our Star this week. Someone who is always willing to help others and be a great friend! Thank you to all who managed to sign up for pupil progress evening.If you still need to book an appointment please let us know. Science- We continue our investigations into forces and magnets. Art- We are all designing a Christmas/winter card, to be entered into a competition. PE- I have seen some super gymnastics with Mrs B and we are having great fun building our confidence and developing our skills in rugby. History and Geography- Letter to follow our topic is local area- A possible trip to Watford Museum. The children have been running every day as part of our healthy life-style initiative. Well done! 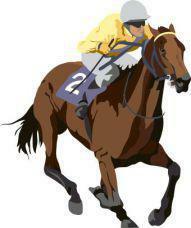 DONT FORGET RACE NIGHT 16th OCTOBER! Your projects and hard work were brilliant! Well Done to all of you. This weeks star drafted,edited and produced an excellent diary extract. We will begin a new unit in English- to be loaded to Wordsmith once introduced. Maths is looking at equivalent fractions and decimals. Equal parts of one whole! 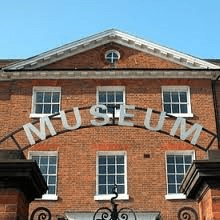 I am hoping to arrange a visit to Watford Museum, linked to local history, more information to follow. Science- we are learning more about magnets. Sign up for Pupil Progress in the hall on Friday. Thank you to everyone that bought cakes last week. You raised over £205 for Macmillan Cancer! Congratulations to our Star this week- A fantastic example of good manners! Don’t forget projects due in on Monday. We will be sharing them in the afternoon. From what I have seen so far, I am very excited by all the hard work and effort that has gone in to producing them. Library books also due in Monday please. Maths- we are looking at multiplication, focusing on 6 and 9 x tables. 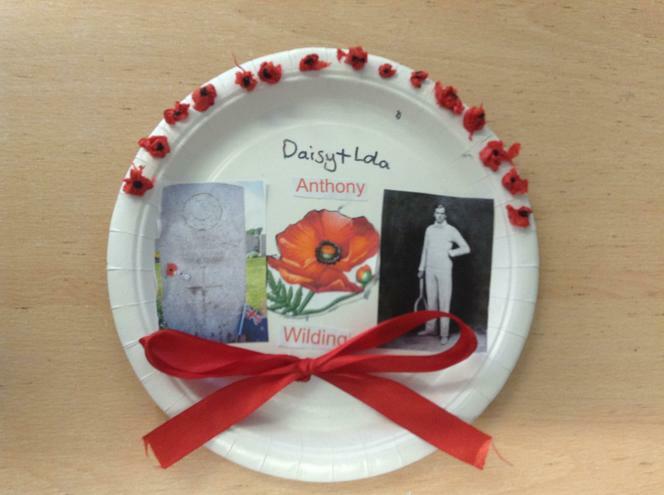 English- this is the final week of this unit- a diary entry and biography to be written this week. Wednesday is our class garden visit, please keep your eye on the weather and make sure your child/ children have coats.It can get chilly up there. 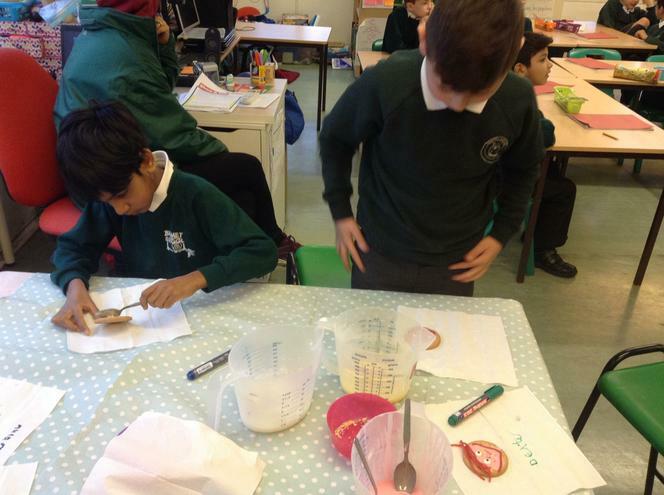 In DT the children will be bread-tasting and comparing tastes and textures of different types of bread. Homework is linked to this. Don’t Forget coffee morning this week. Congratulations to our Star of the Week and Neat Writers who received their certificates last Friday. 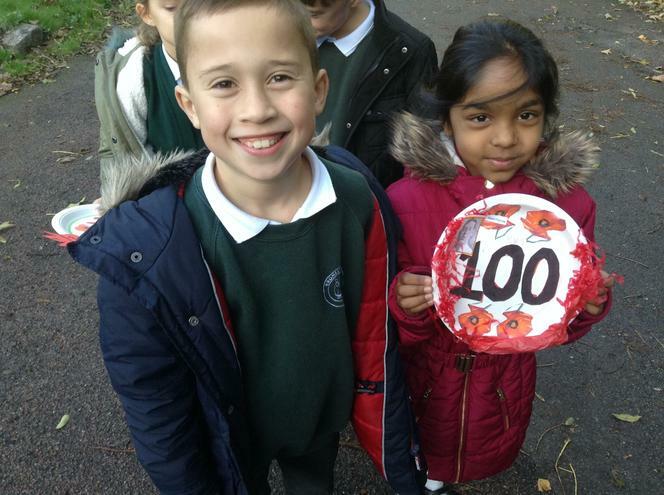 Well Done Woodpeckers- 100% attendance! A busy week ahead. We have to keep our fingers crossed that the weather is kind to us for our sports/ Macmillan Coffee afternoon. Thursday 24th. English continues with non-fiction. I am looking forward to receiving you projects next Monday – 28th September. In maths we are looking at shape, symmetry and refection. Library begins on Monday, thank you parent helpers. May I request that your child returns their book as soon as it is finished, they will not be able to change a book until the previous selection is returned. In Science we will be setting up a ramp investigation linked to our forces topic, reinforcing our investigative skills. In art the children will begin to look at the work of Herkomer our featured artist, who first opened an art school in Bushey. Congratulations to our star of the week. A great first week in a new class and school! 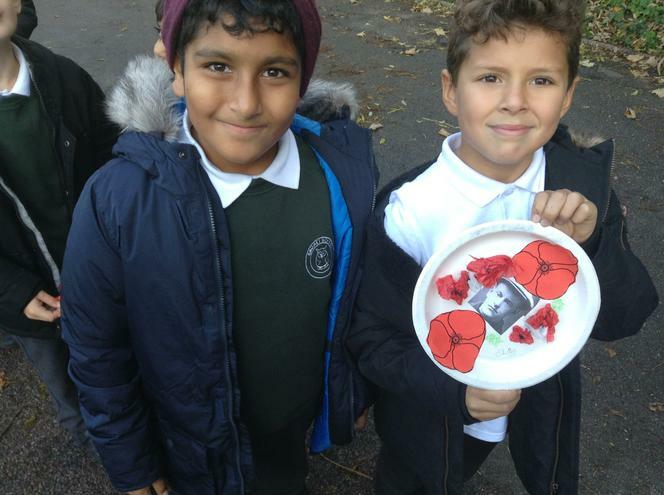 Our English continues looking at key events in the life of Neil Armstrong. We will be looking at the features of biography writing in the near future. I hope you are enjoying your research for your project. Maths this week is re- visiting and extending our addition and subtraction skills. History and Geography continues with looking at the local area. We are hoping to take the children on a few walks around the local are please let me know if you are able to help. Regarding this, if you are able to come in on a Monday at 2.30 to help us with our library slot we would be extremely grateful. 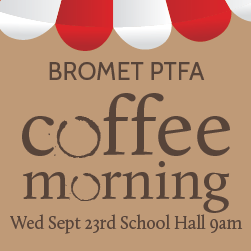 Bromet PFA work tirelessly to plan events to support the school and raise money. 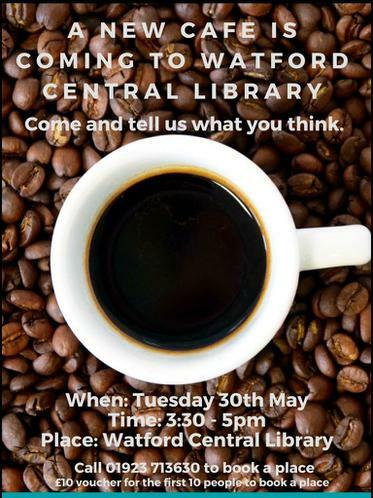 They are holding a coffee morning , if you are interested in finding out more see below. Welcome back everyone. We hope you had a great summer! This week we will be going through rules and routines, sharing homework ( please email or bring this in ) and beginning new units of english and maths. Timetables, newsletters and curriculum webs will be sent out this week too. 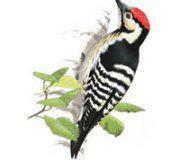 We are looking forward to being in Woodpeckers with you! Mrs Wambeek and Mrs Bridgman. Cannot believe it’s our last week- you have all worked incredibly hard and have been such a caring class. Mrs Bridgman and I would like to say thank you and wish you every happiness and good luck for next year. The children coped very well with the heat last week. May I remind you of the importance of them having a water bottle at this time of year. This week year 3 will finish swimming. We will be watching the year 6 dress rehearsal on Monday. Our maths is decimal notation and in English we will be writing letters to the characters of our thought provoking Christophe’s Story. 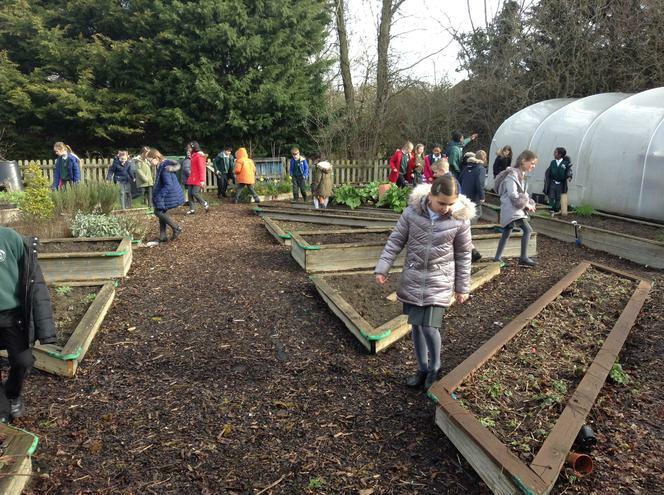 Thursday is the garden open event -2.45pm and open evening – 3.15pm, in the classrooms- a chance to see your children’s work, before it comes home. Reports go out on Friday, may I request the reply slips are returned the following Monday? Thank you. Finally don’t forget Saturday is pop up circus day – there will also be other stalls and activities , so please come along, even if you aren’t attending the circus. We hope you can make it! 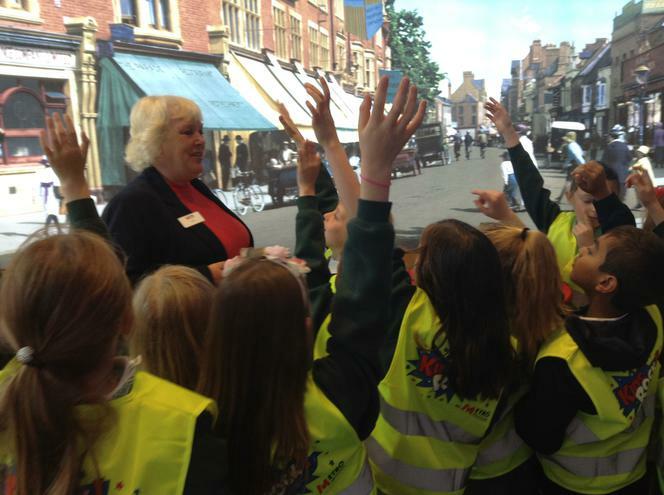 A great week – we had a busy day at the museum, everyone really enjoyed the day. 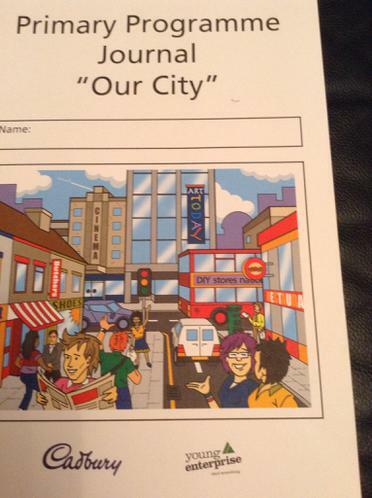 This Friday the children will take part in their Young Enterprise Activity- our City. It is a programme run by volunteers who give up their time to come in and work with the children. Don’t forget year 6 also have their enterprise sale on Friday – 2.30 pm. Our trip is Wednesday- school uniform and sensible shoes please. Don’t forget to bring a snack. It should be a great day. Father”s Day sale and dress up and dance on Friday. In between we will continue our poetry unit and be looking at capacity in Maths, a. busy week ahead. 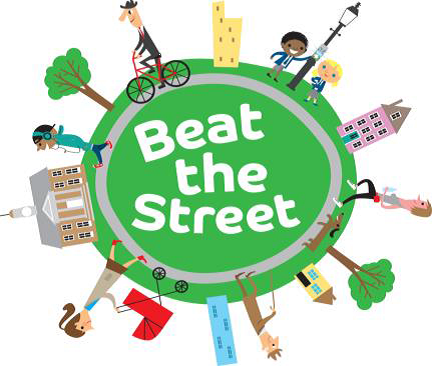 Don’t forget Beat the Street, we are 4th, which is excellent! This week we will be starting a new unit in English looking at poetry and working with fractions in maths. A new topic begins in French and your French booklets are being sent home from last half term to complete for Madame Lawson. Thank you. Friday is non uniform bring a bottle day, if you are able. Don’t forget circus tickets available- come along Saturday 11th July! Packs to follow after half- term. This week we continue to look at mountains in our Art.We will be looking at Mt Fuji and painting this using ink on to silk. In history we will imagine the life of a sailor and write a journal entry in the style of one of Cook’s men. The children are enjoying The Iron Man story and our English is linked to this. In maths we return to place value, ordering and comparing numbers up to 4 digits . We hope you enjoyed your long weekend. This week we will be looking at shape in maths. Our unit in English ends with a report writing session . Check for a new book allocation – coming soon! 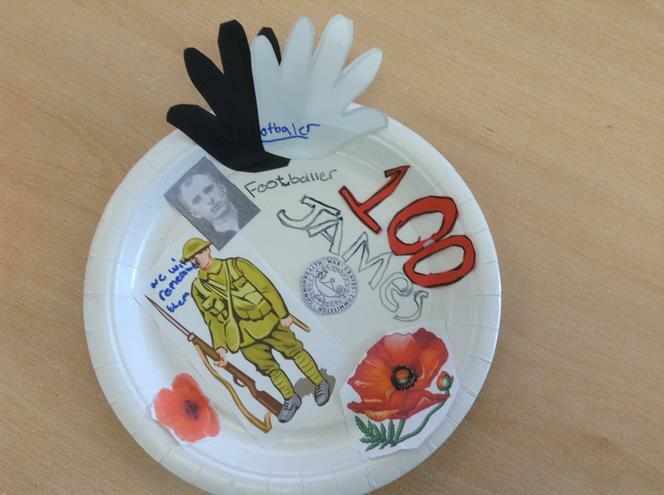 In history we will all be starting a James Cook fact-file. Dance will be from a different continent- cheerleading! 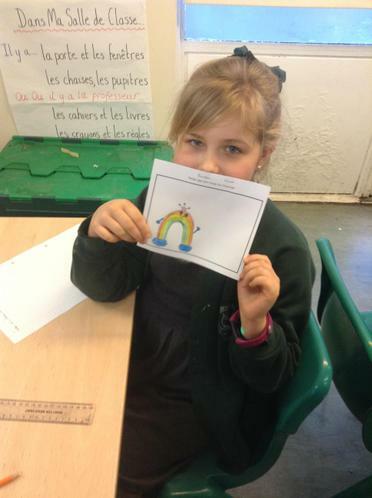 In French our topic is ourselves- the children had fun playing a French version of ‘Simon Says’ last week- fingers crossed we can remember the vocabulary for another go! This week year3 start swimming, a great life skill! In maths we are looking at decimal numbers to 2 decimal places. English – here we continue to discuss and read about The Shang Dynasty in preparation for our report and the wiki entry we will be writing. 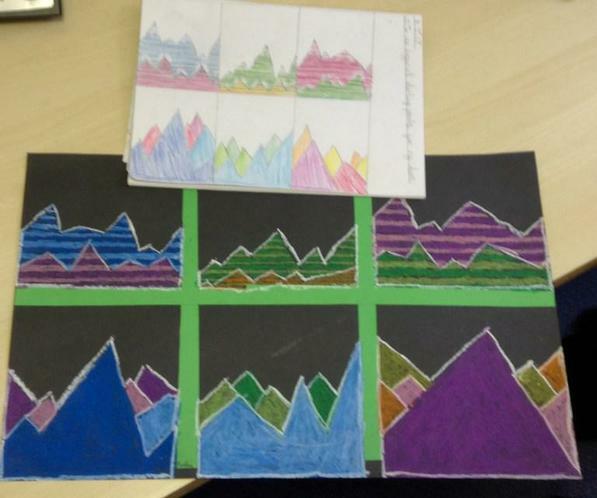 Art we will be looking towards discussion and opinion of work of artists that have painted mountain landscape. Our postponed garden visit is this Wednesday- many thanks to Mrs Turner. A reward for hard work! Another week flies by- the Mother’s Day sale was a great success. Thank you again for taking part in our Cake Sale or donating your £1. This week we will be in the garden on Wednesday afternoon. Make sure you have a coat, although forecast doesn’t look too bad! Keep practising your words for next Tuesday! Spiderwick replies due 23rd- thank you. I hope you all enjoyed the sunshine this weekend. Thank you to all, who made it to the jumble!! Pupil Progress Meetings this week. We are looking forward to meeting with you all again. This year seems to be racing past! The children are starting to learn our class assembly therefore the timetable may have a few changes as the weeks go by. I will try to keep you posted. Good luck to those taking part in the gymnastics competition on Tuesday, two members of Woodpecker Class are in The Bromet Team – Well done! Don’t forget swimming starts again this week for year 4. Thank you if you were able to sign up for parents evening. The appointment sheet will be in the classroom if you weren’t able. Please come in and ask. The chicks have hatched hopefully they will be able to pay us a visit. 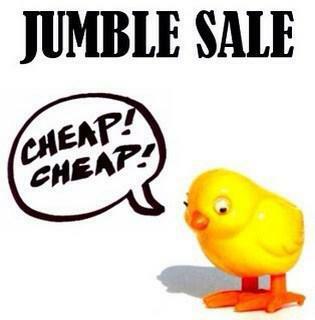 Remember jumble sale on Saturday, please bring in as many bags as you can so we might win the class competition! Thankfully we didn’t have to stop because of the snow! Thank you once again for your support and don’t forget sign up for pupil progress meetings on 27th February. We continue to look at our ebook based on the life and times of an astronaut. Once the book marks are completed the children will be bringing home the log in details to access this at home. More science this week looking at properties of materials and measuring liquids. Another busy week, we will be starting our history topic on Wednesday and homework is linked to this- If you have any problems accessing the internet please come in to class and let me know. Our sports partner from Queens came in last Tuesday and challenged the class to a cup stacking heat. The eight finalists will go through to The County Competition. Date, names and times to follow! Congratulations Woodpeckers! Miss Harkness, Mrs Bedwell, Mrs Bridgman and I were all very impressed with your teamwork and skills! 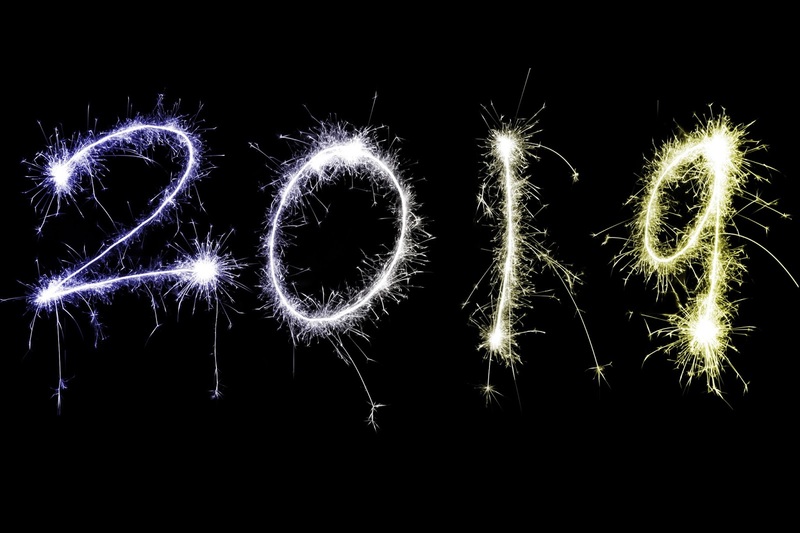 Hello and a warm welcome back to 2015! 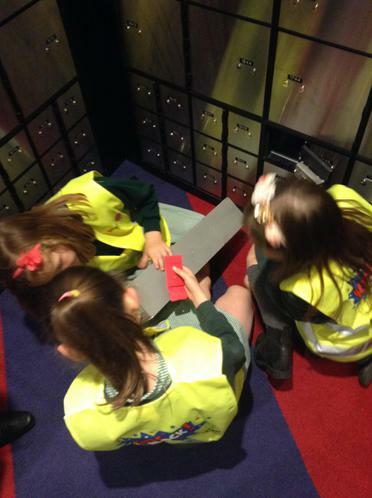 We had a very busy week last week and it looks like being an extremely hard- working fun term! Week 2 starts with swimming for year 4, year 3 will go in the Summer! On Tuesday our sports partner from Queens will be challenging the children in preparation for The County Cup Stacking Competition. Good luck! Don’t forget we are taking part in indoor athletics at WGGS on Tuesday. Please come in to school wearing your PE kit. We will be walking to the girls school and will be back by the end of the day for your parent/ career to collect you. Congratulations to Katie! Well done. Keep watching – new star announced on Friday! Another fun week in Woodpeckers- thank you to Mrs Turner for allowing us to spend time with you in the garden on Friday. Tuesday: French today, Miss Lawson teaching in the afternoon. Wednesday: Miss Lawson teaching this morning.PE kits needed! Thursday: PE kits needed. 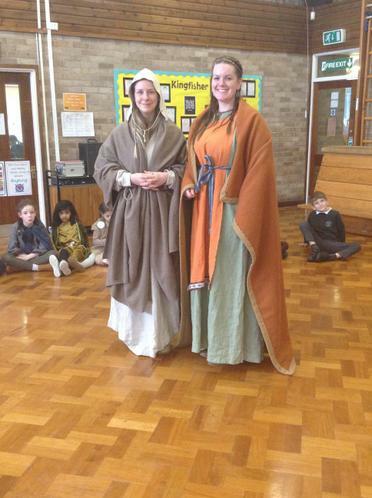 Mrs Bastable and Mrs Bedwell teaching in the afternoon. We hope you have had a great half term. A busy 2nd half ahead, including course, all the fun of Christmas! For excellent role play in English. Well done! Look after ourselves and our environment. Are honest at all times. Dont worry if we make a mistake. Are kind, polite and helpful to each other. Listen to each other and take turns. HAVE FUN WHILE WE ARELEARNING!